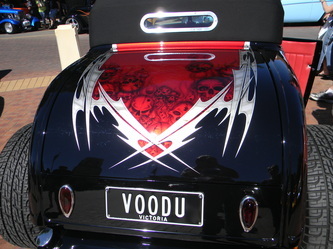 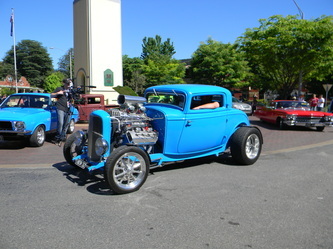 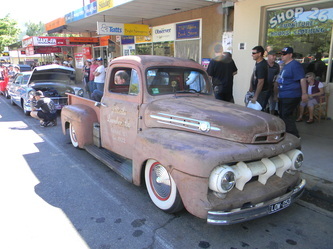 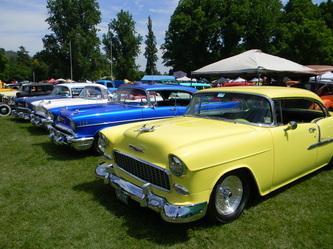 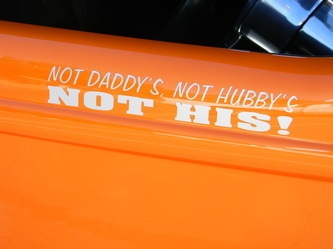 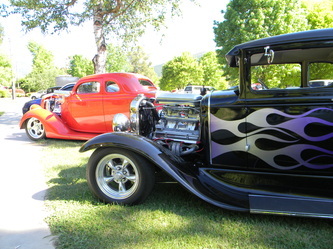 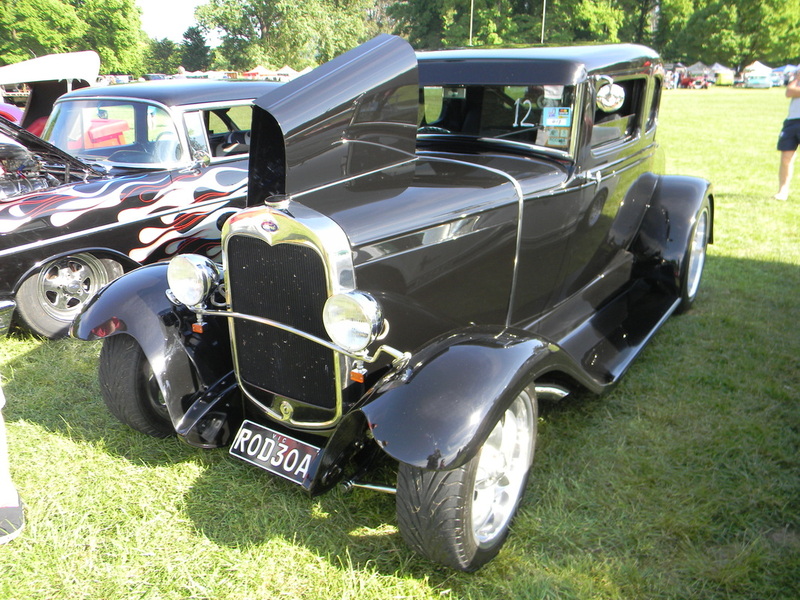 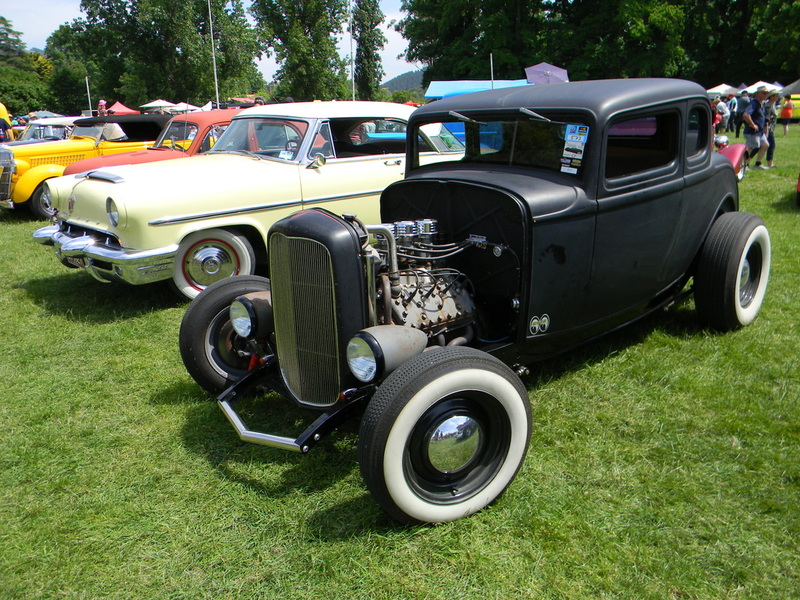 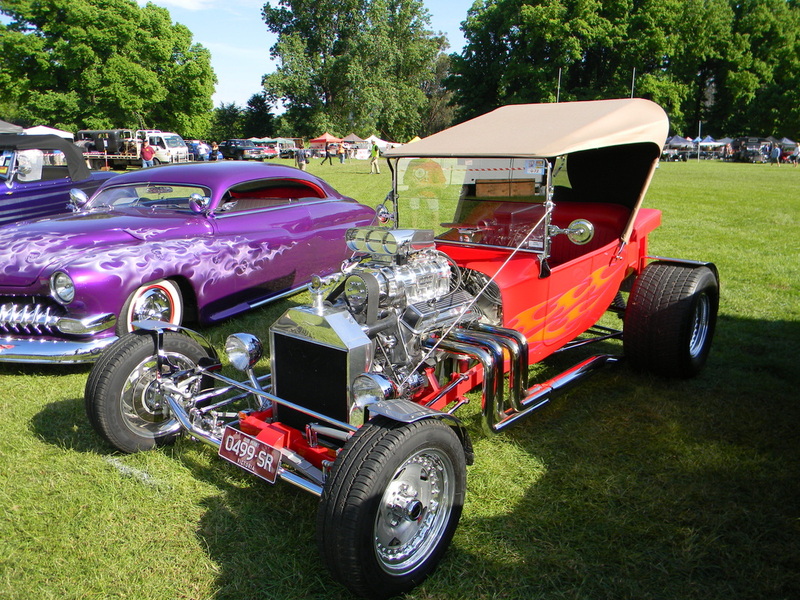 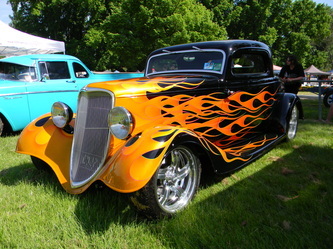 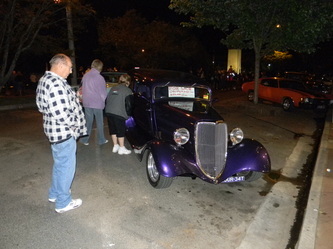 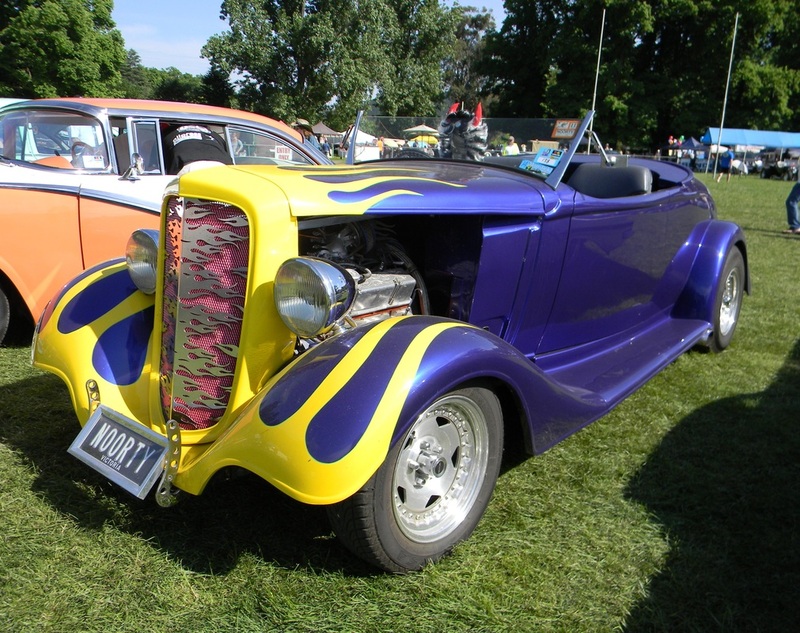 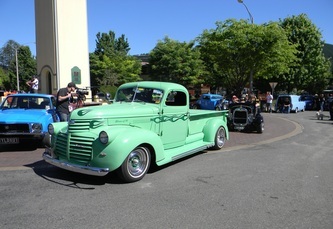 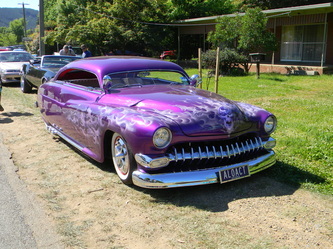 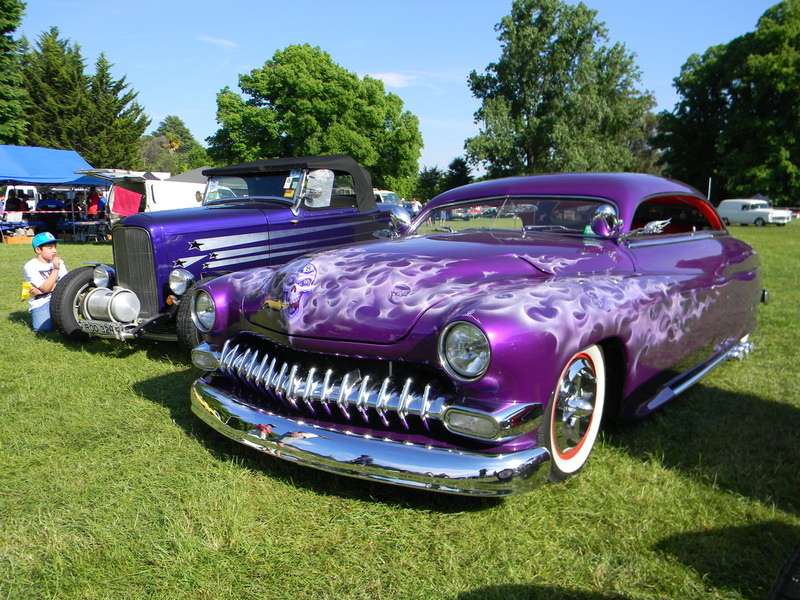 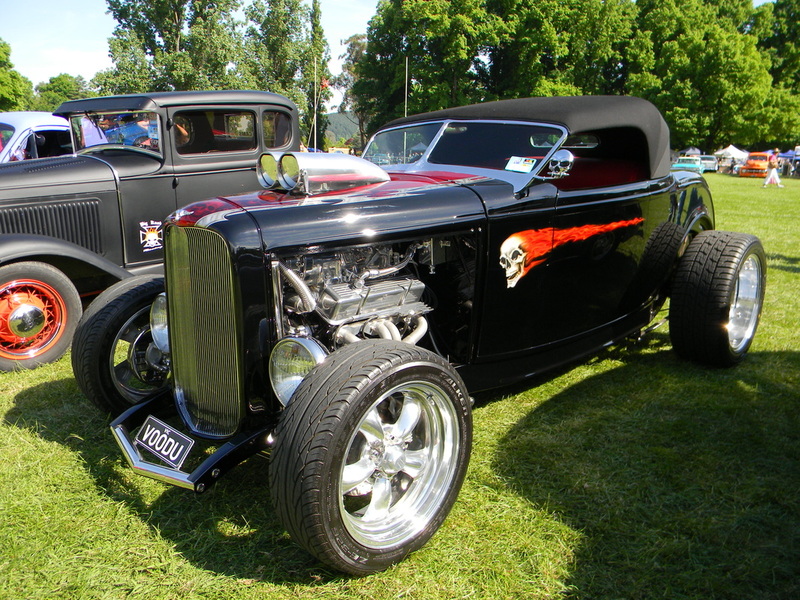 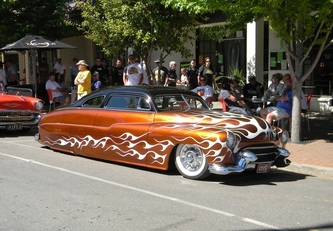 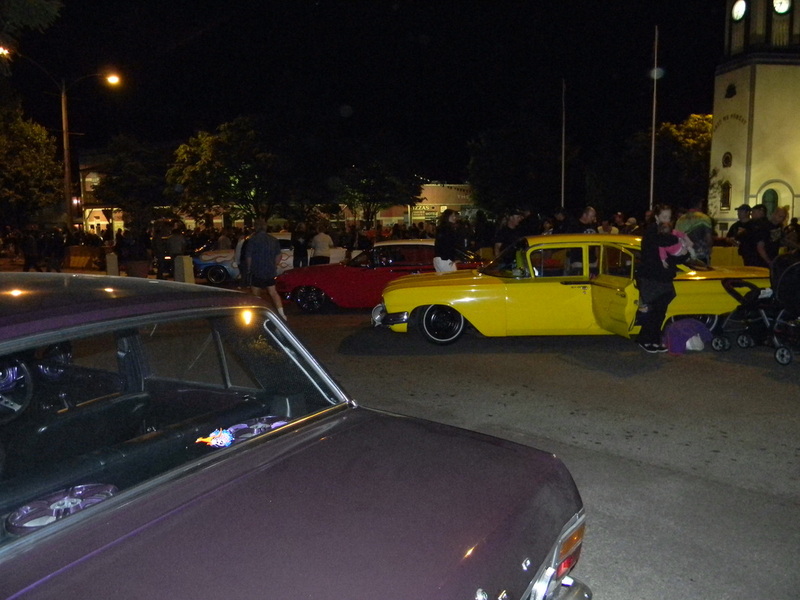 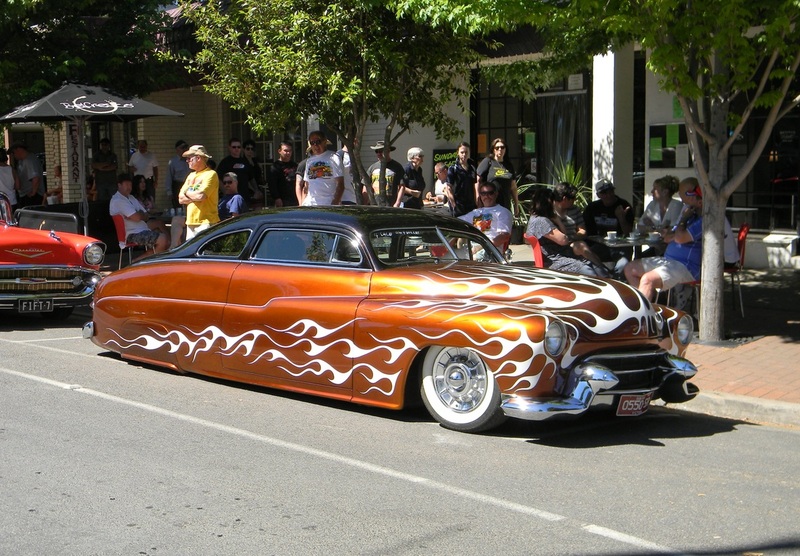 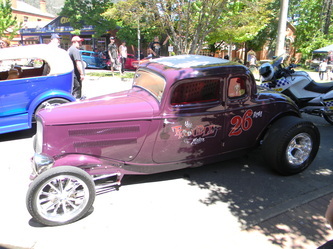 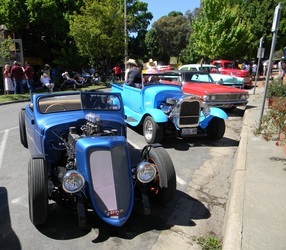 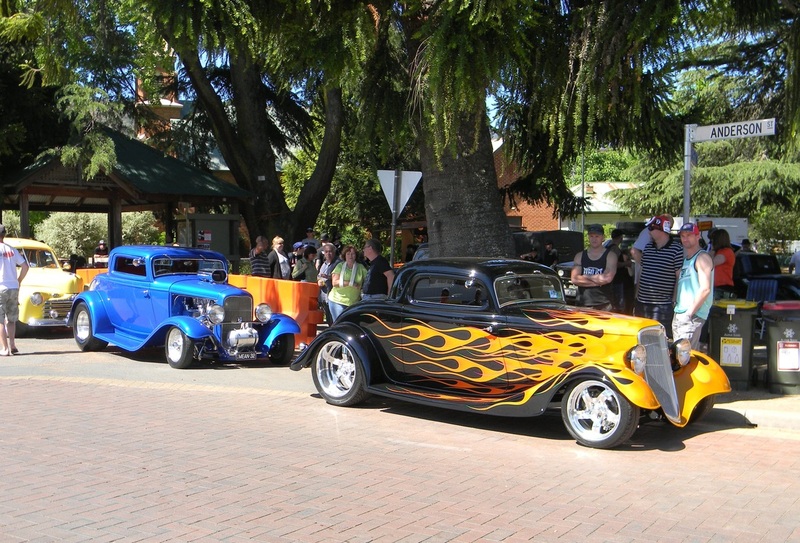 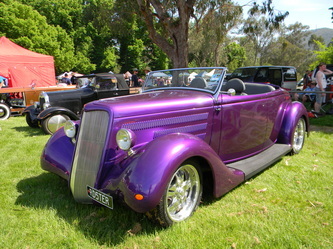 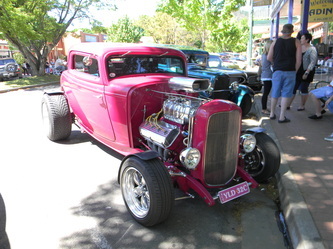 Northern Suburbs Street Rods put on this annual event and let me assure you that it is one of the best events on the calendar. 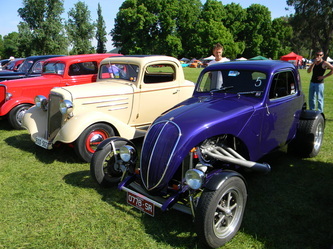 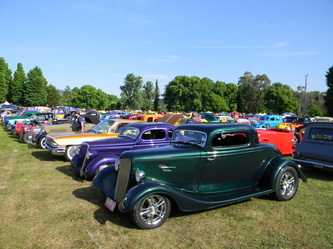 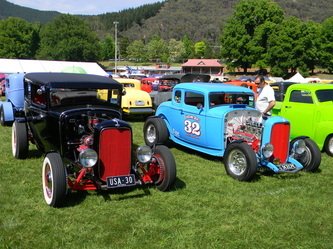 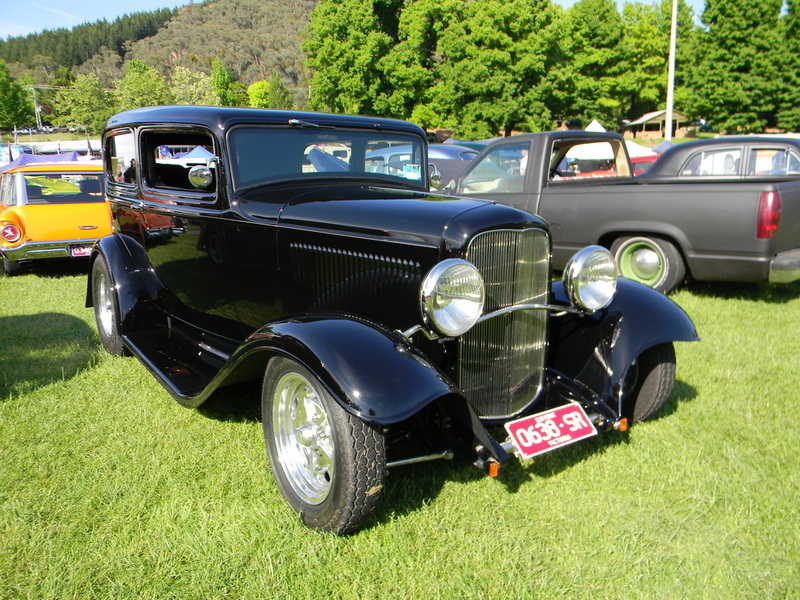 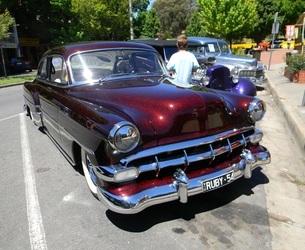 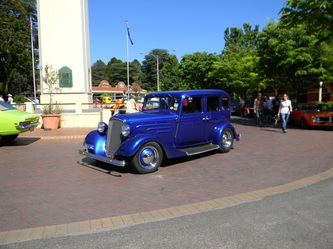 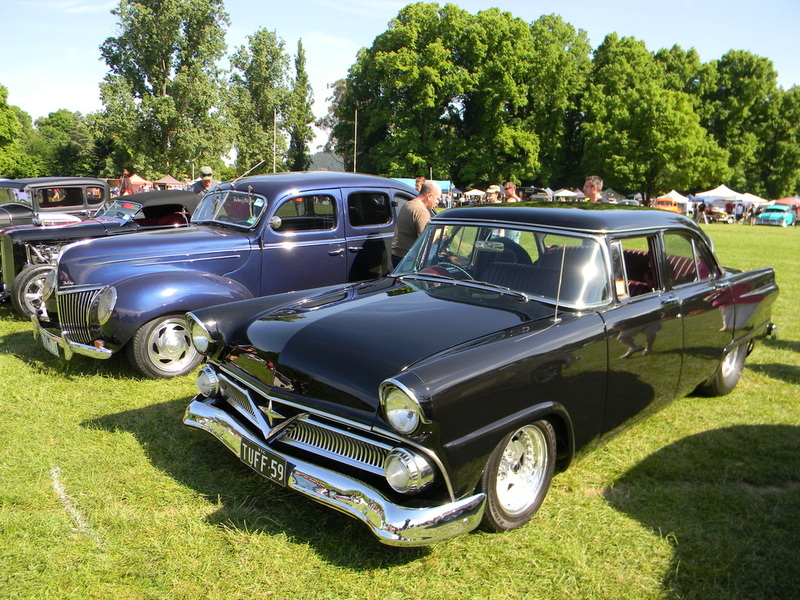 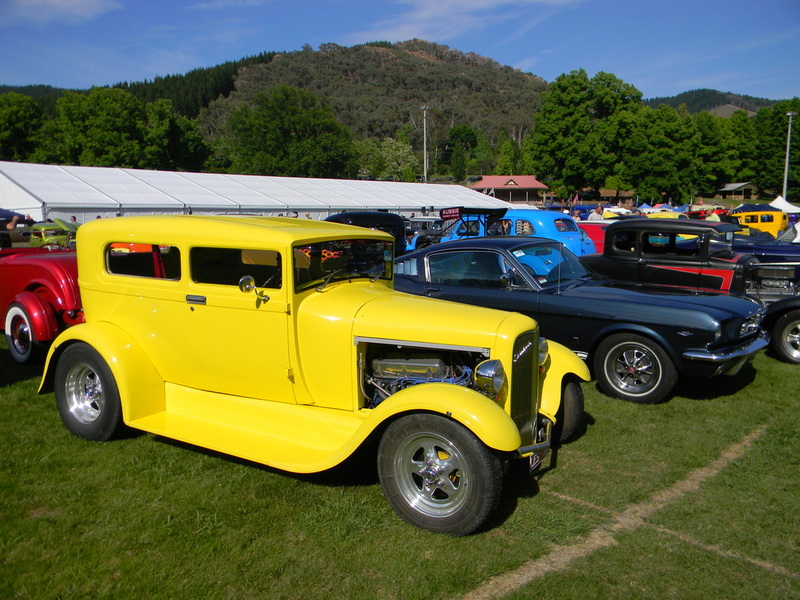 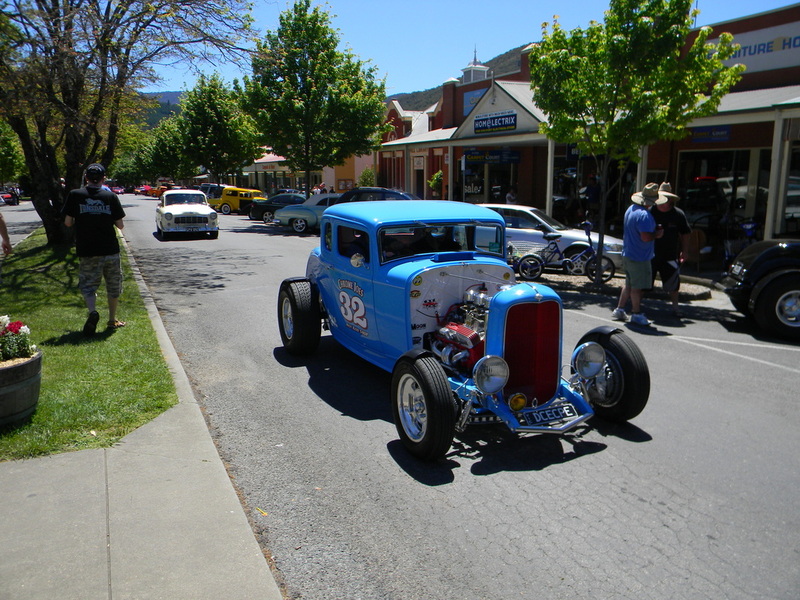 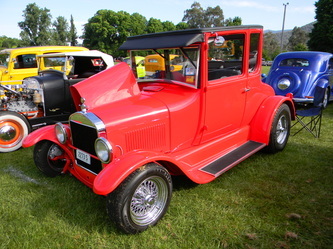 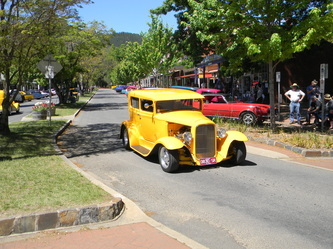 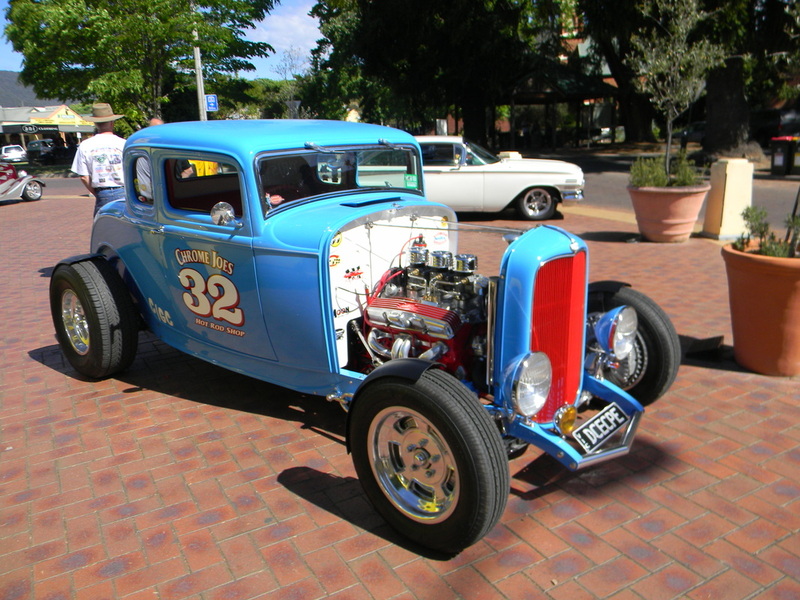 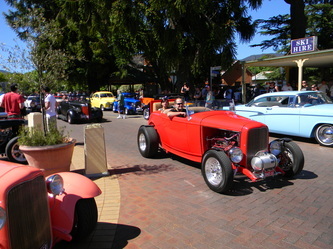 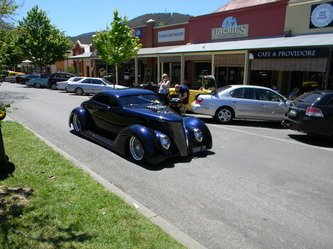 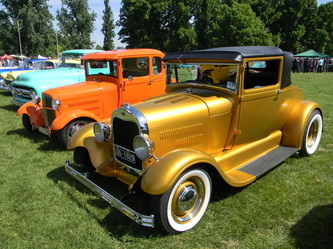 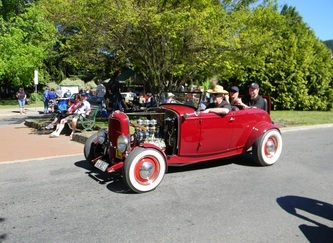 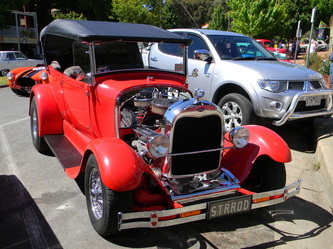 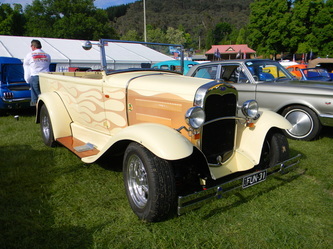 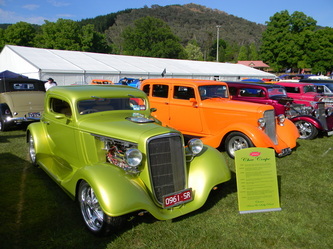 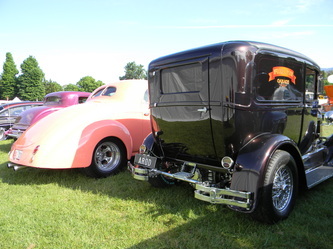 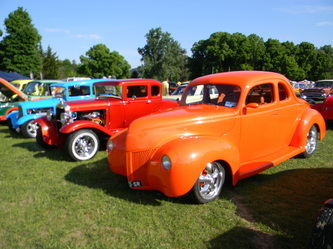 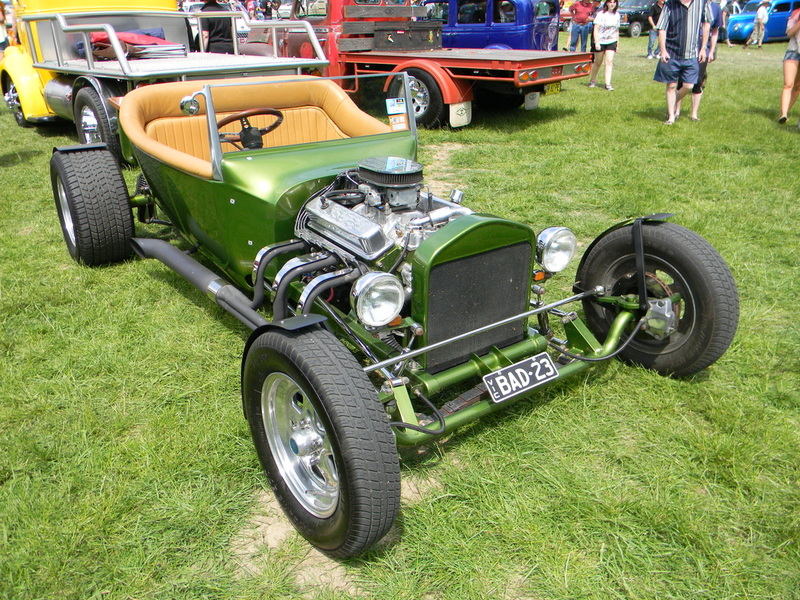 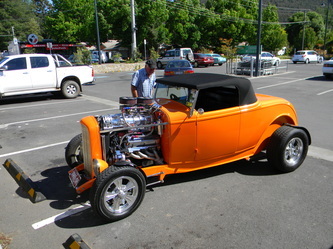 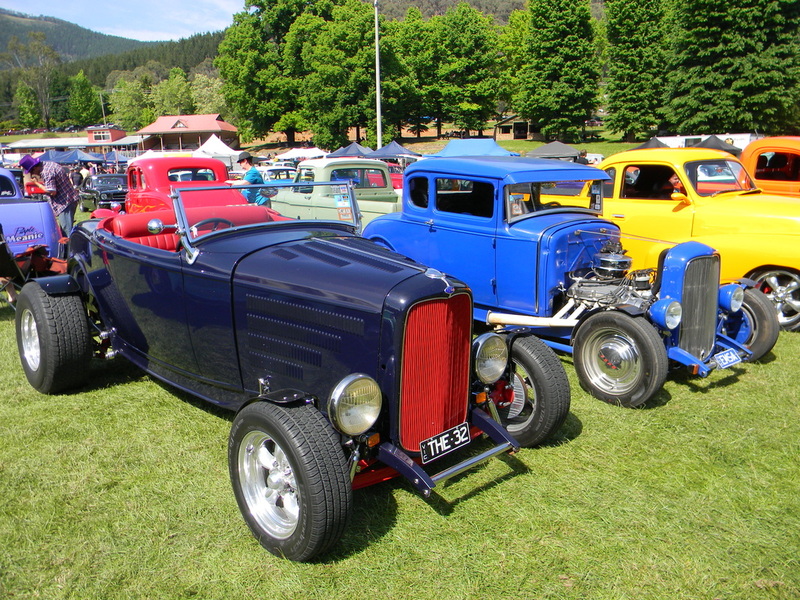 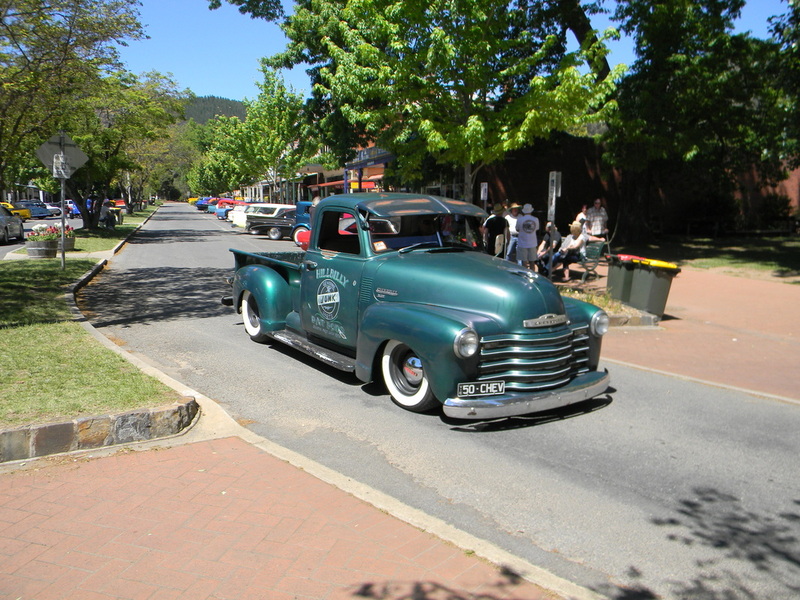 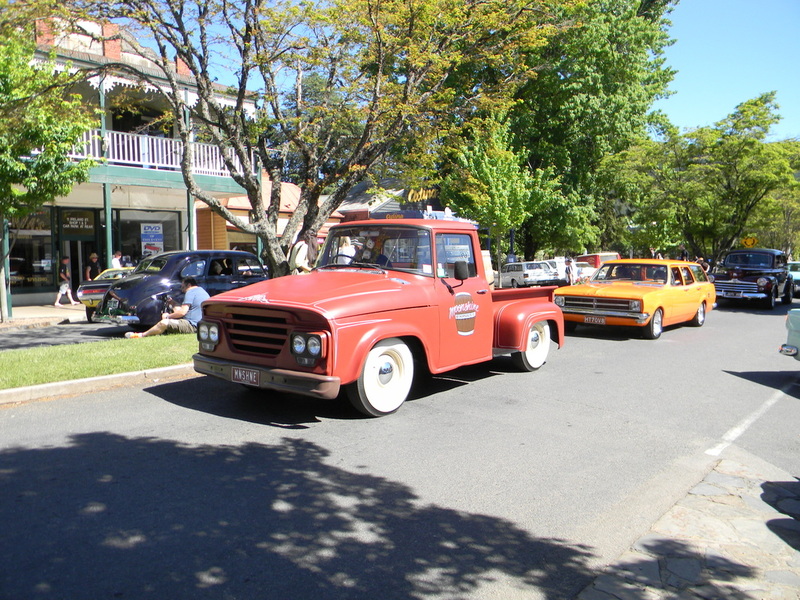 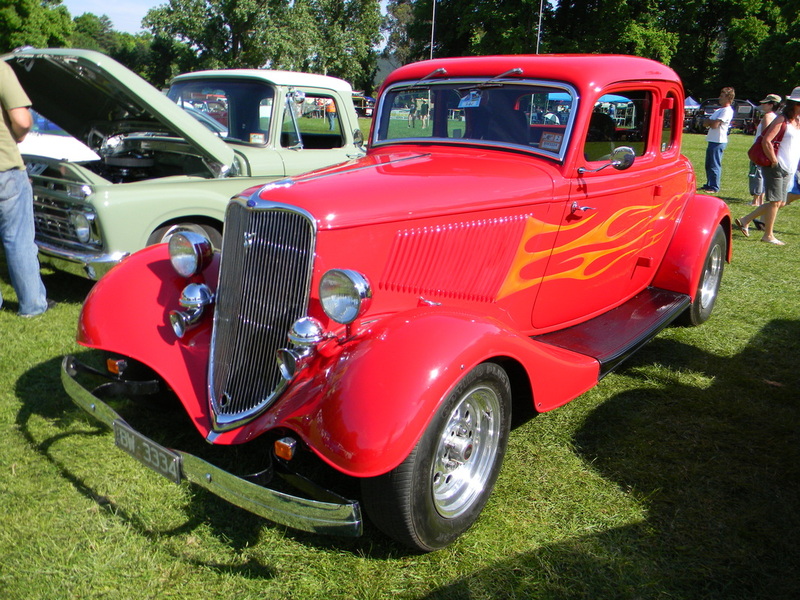 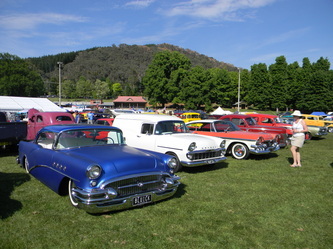 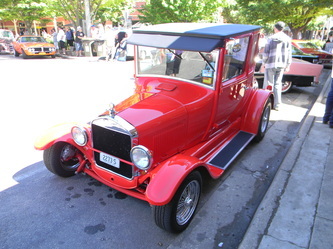 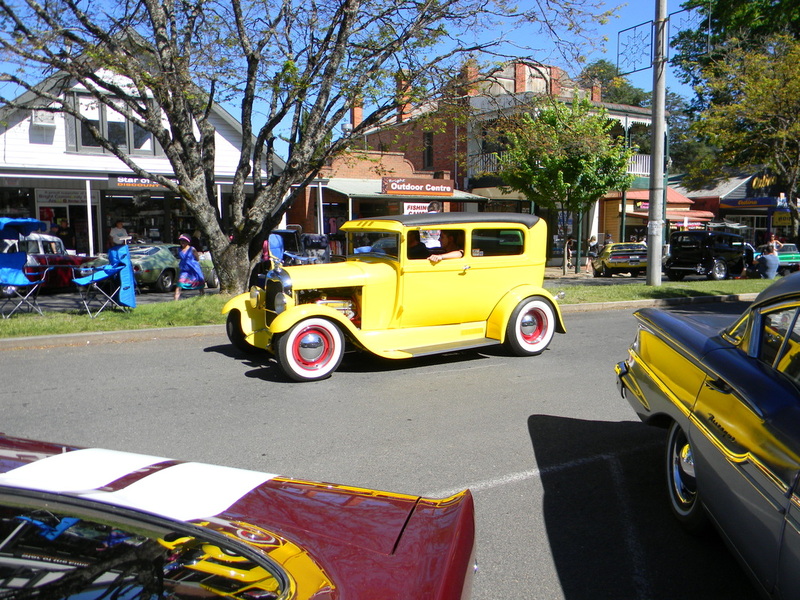 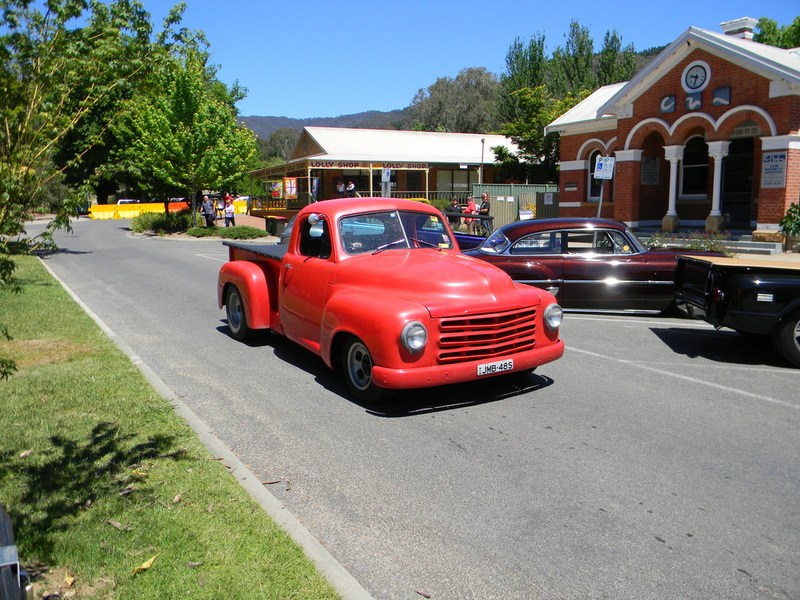 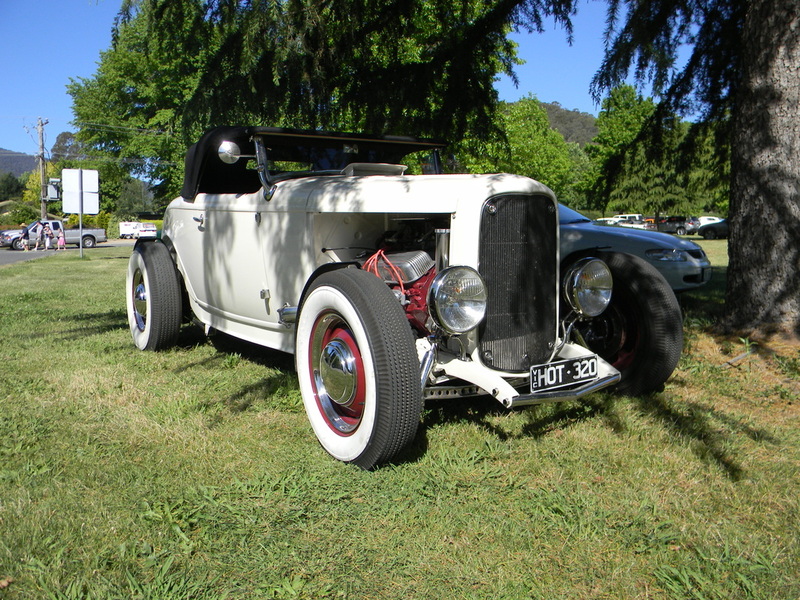 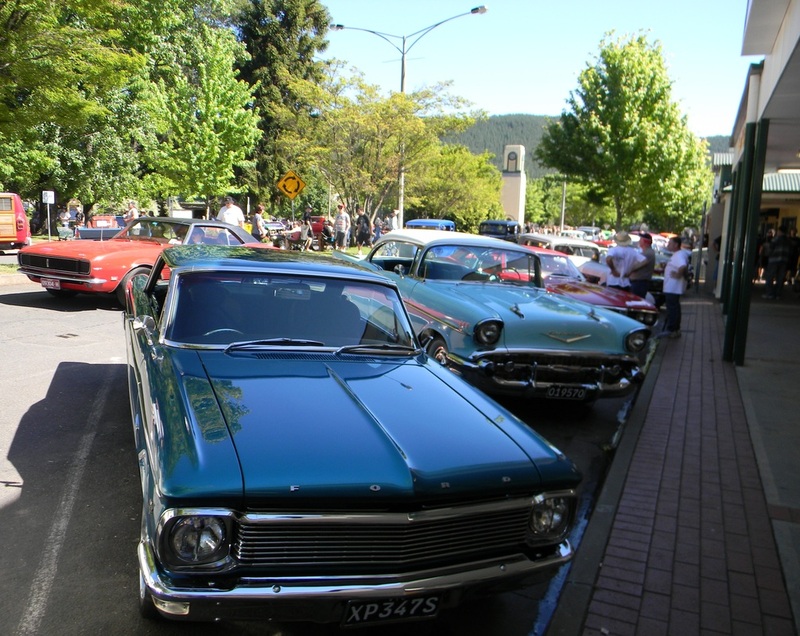 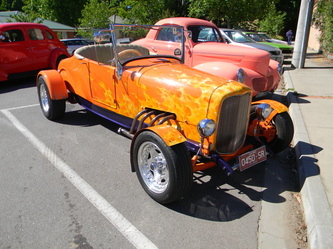 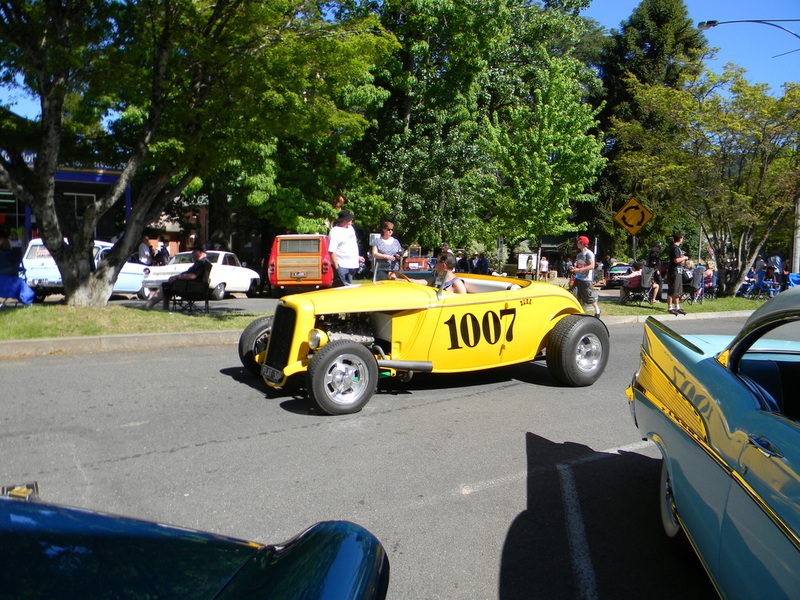 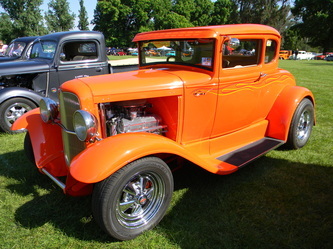 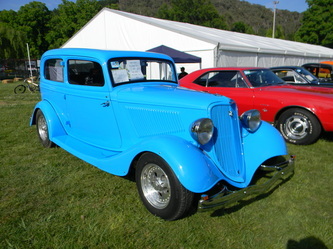 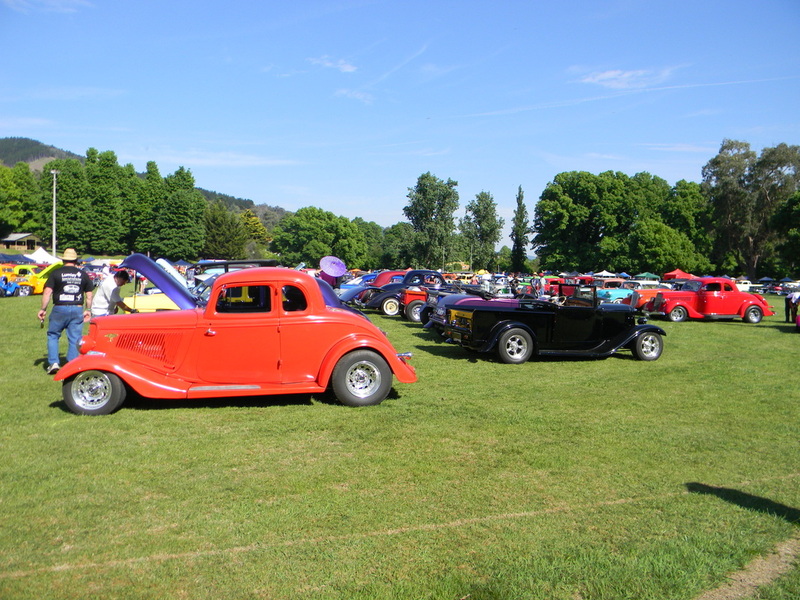 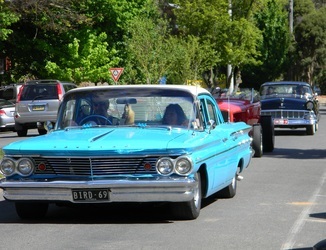 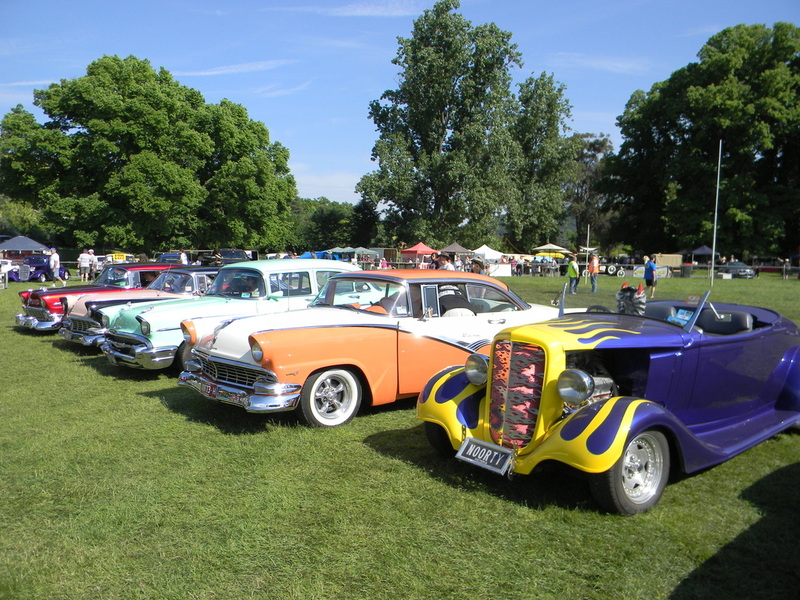 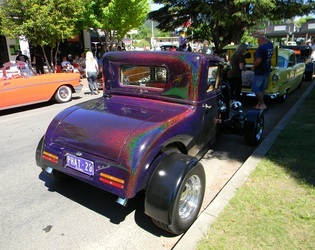 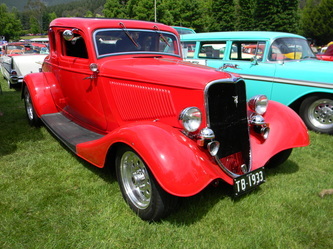 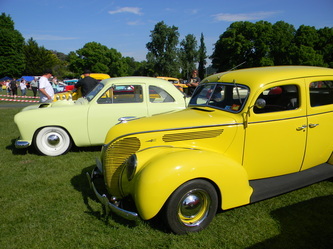 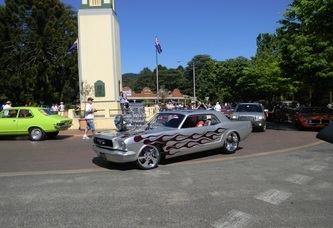 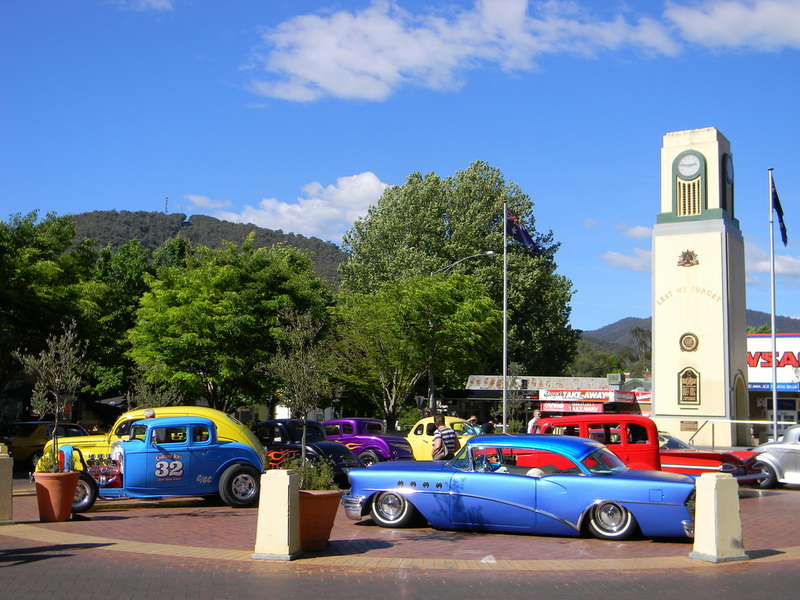 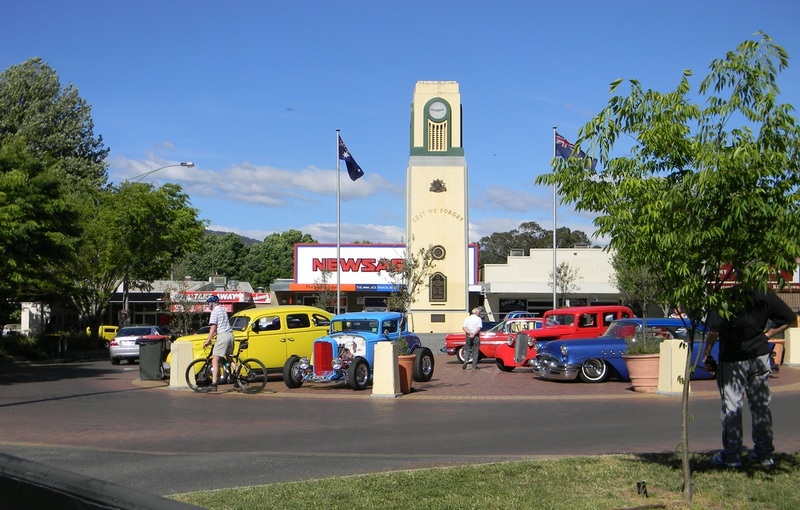 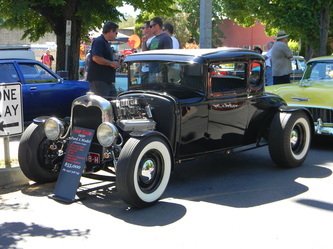 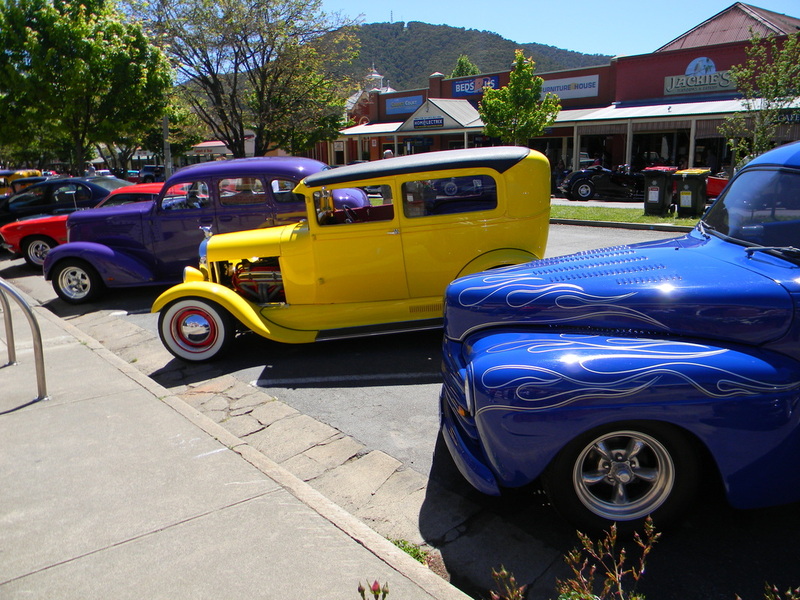 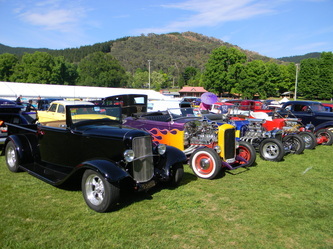 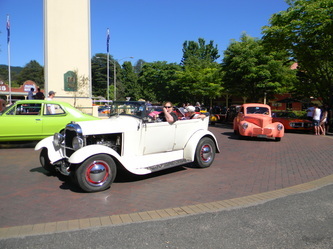 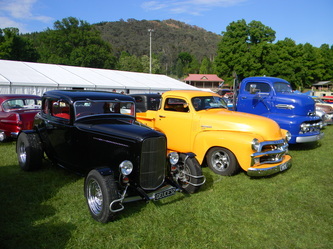 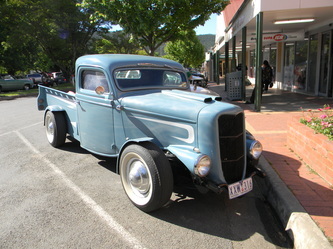 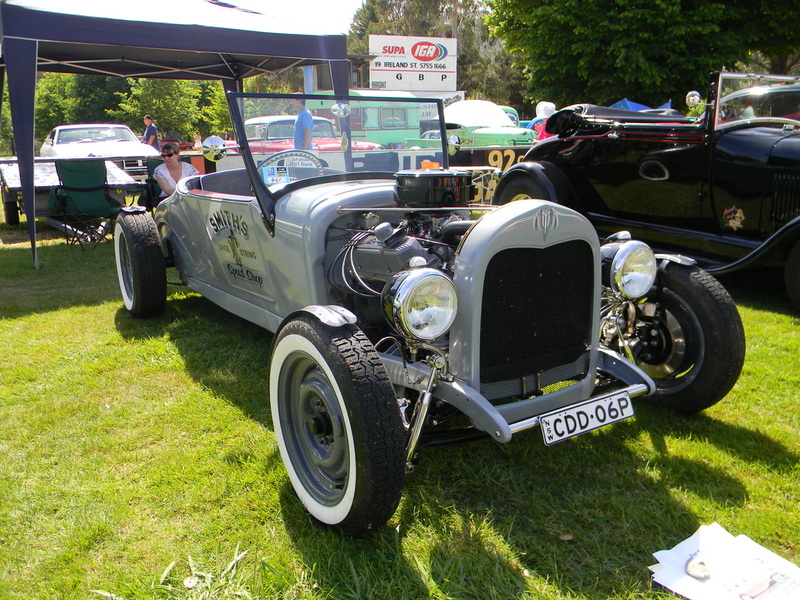 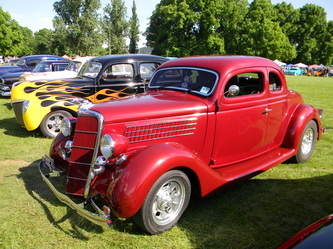 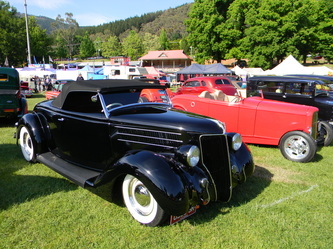 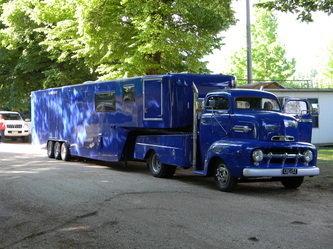 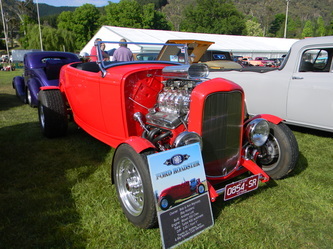 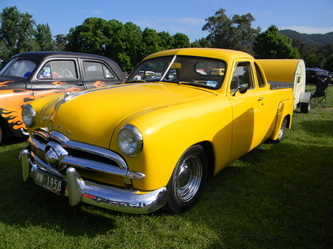 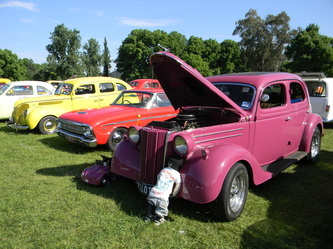 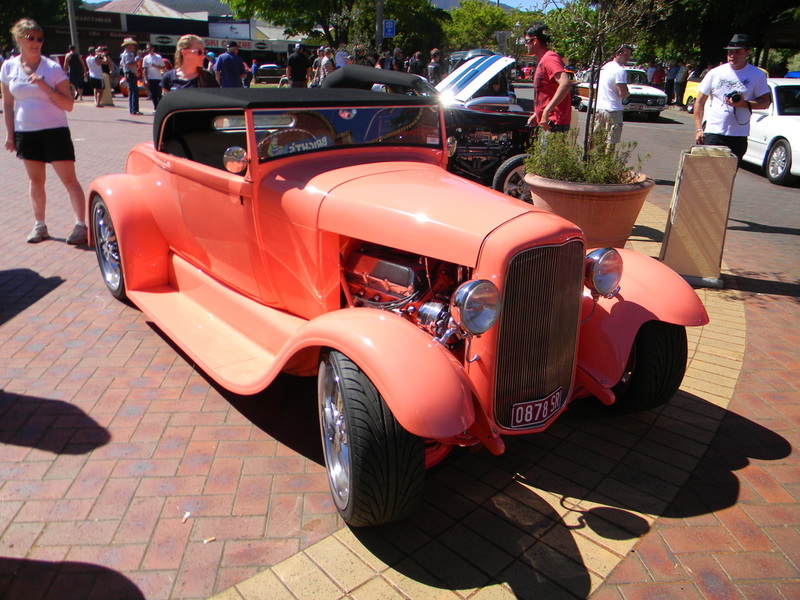 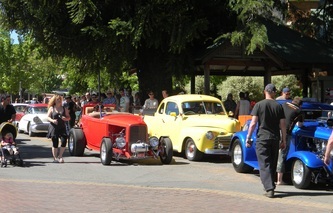 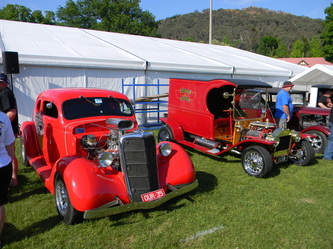 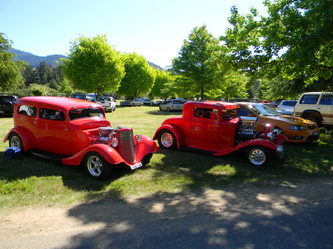 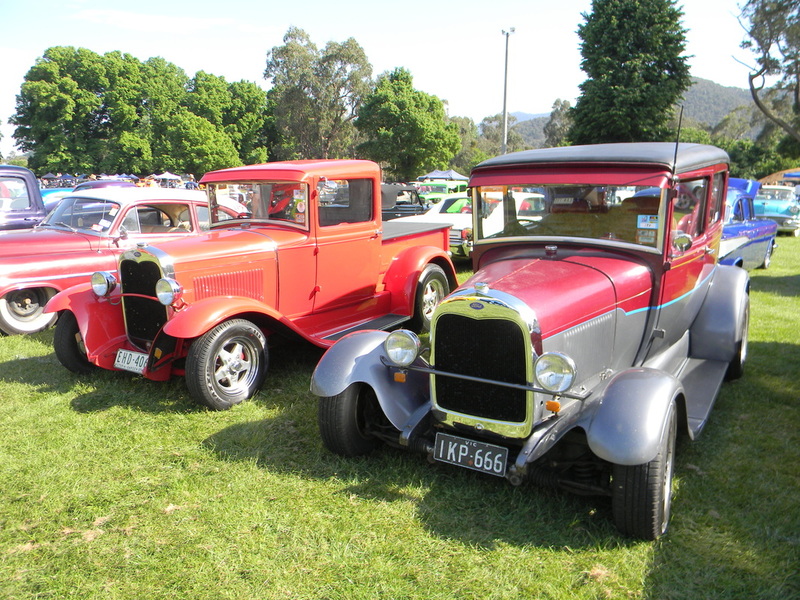 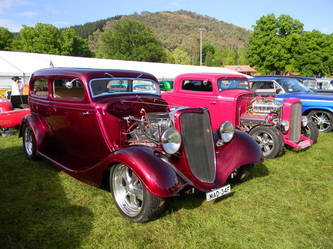 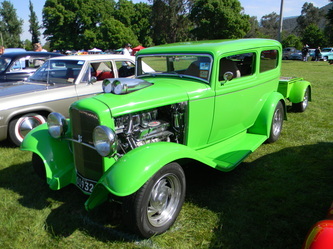 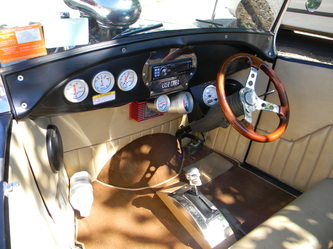 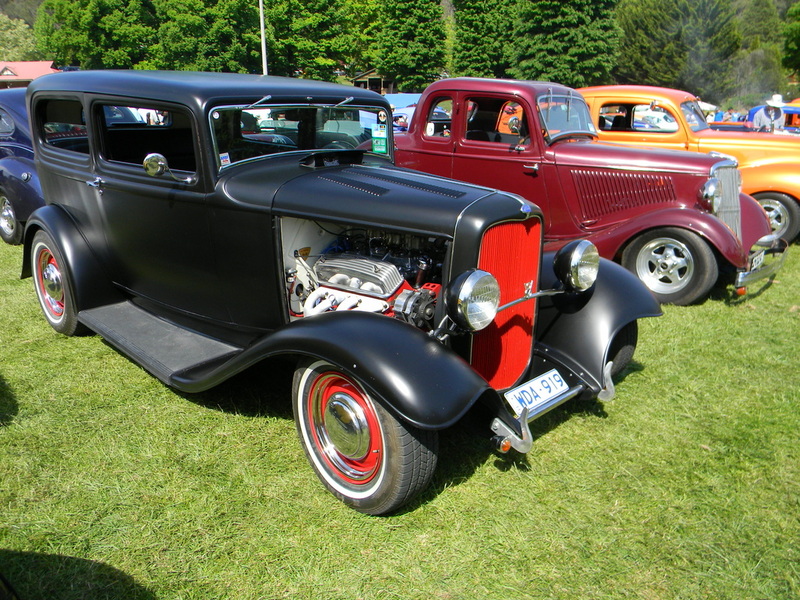 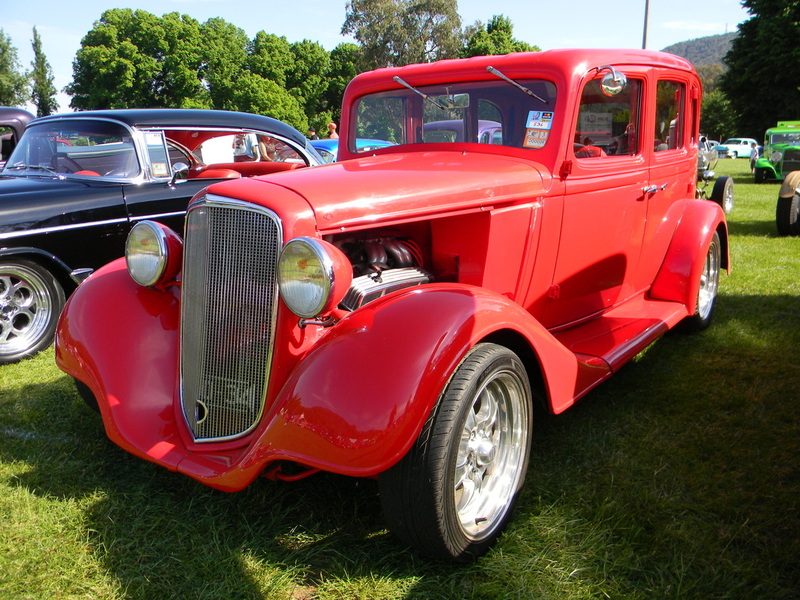 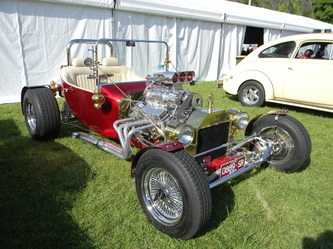 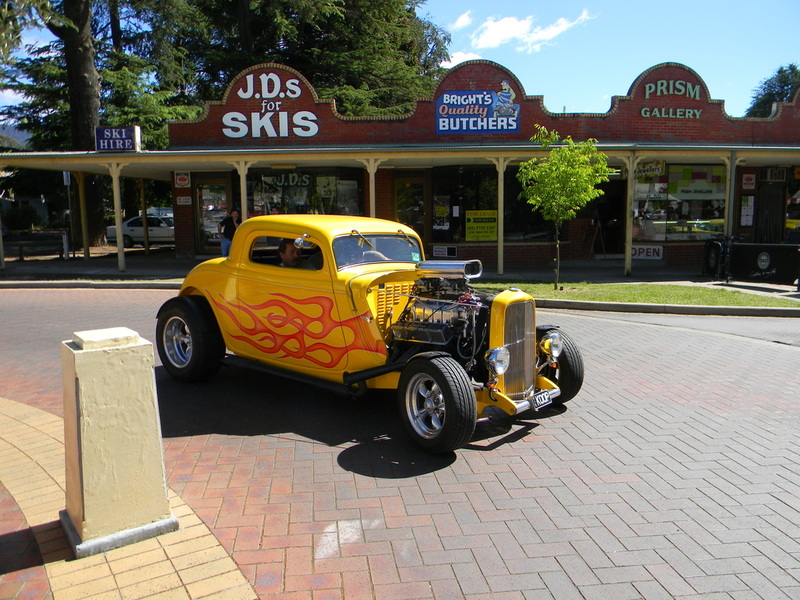 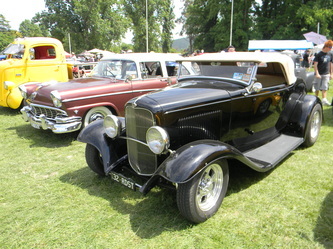 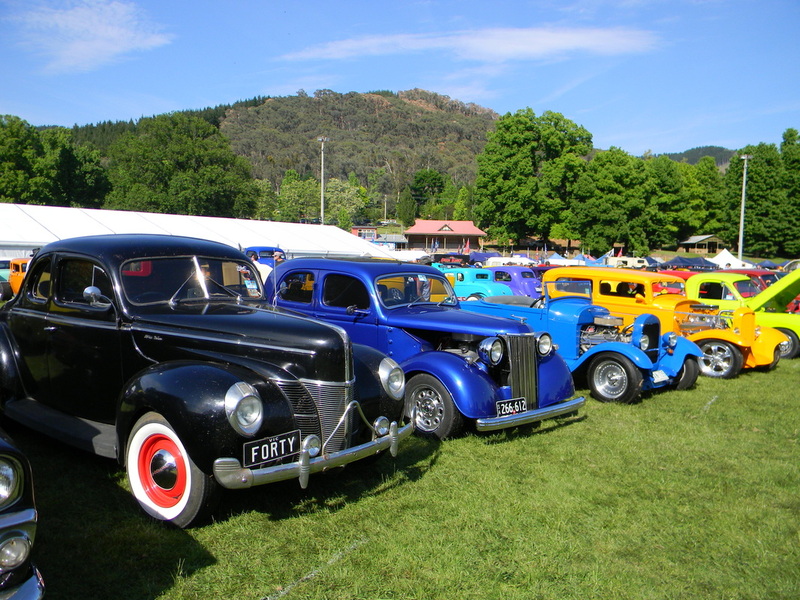 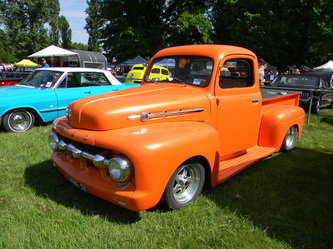 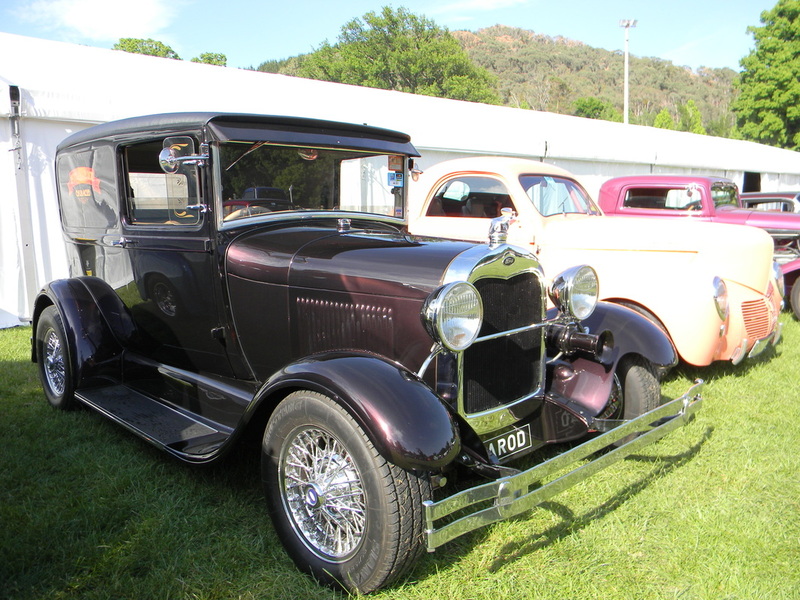 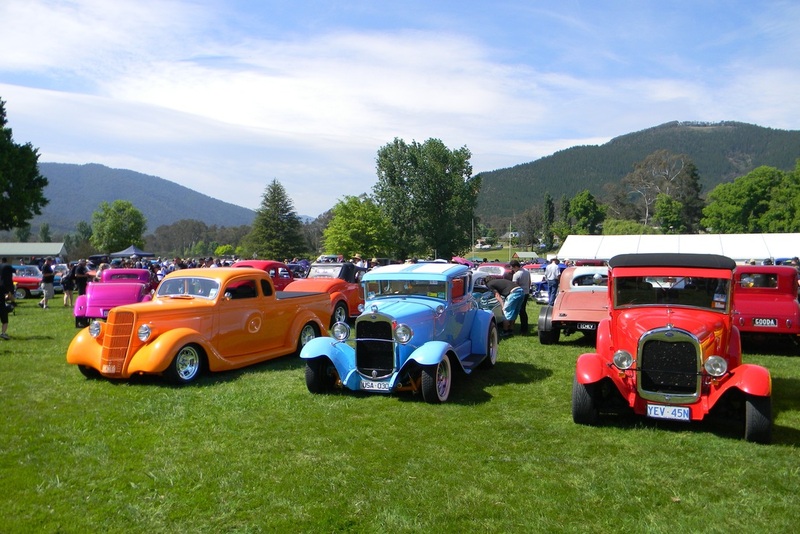 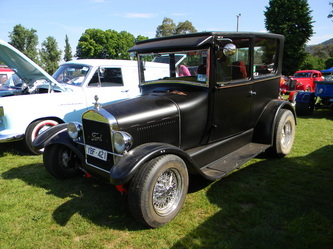 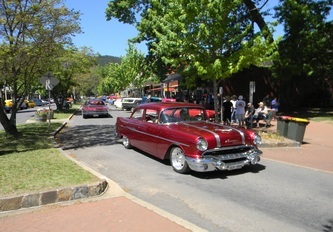 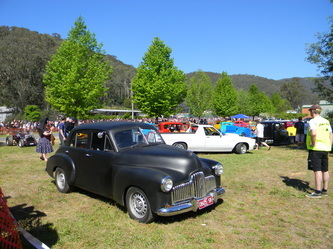 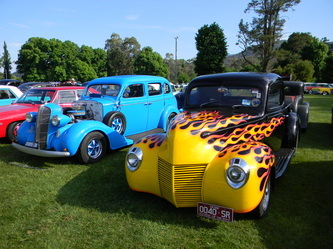 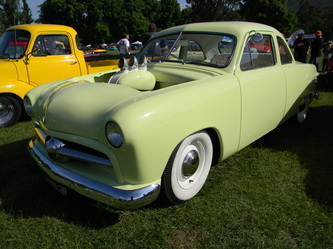 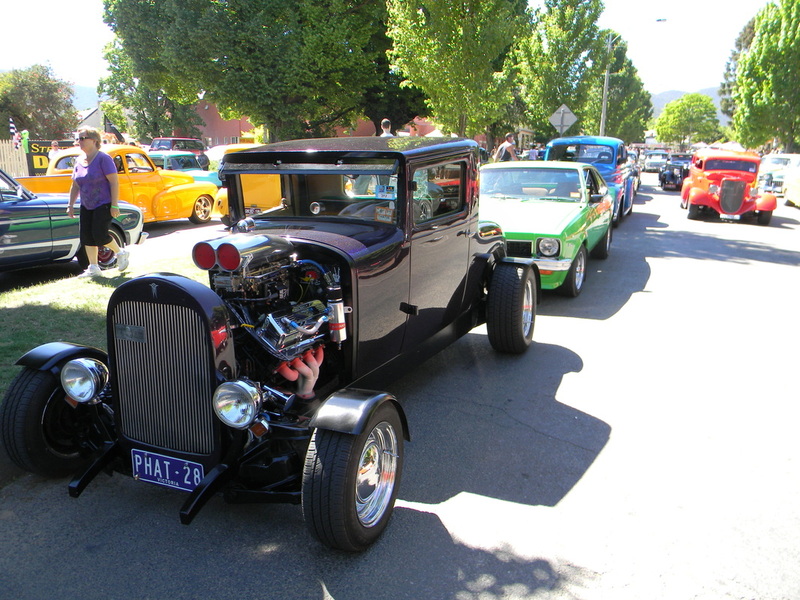 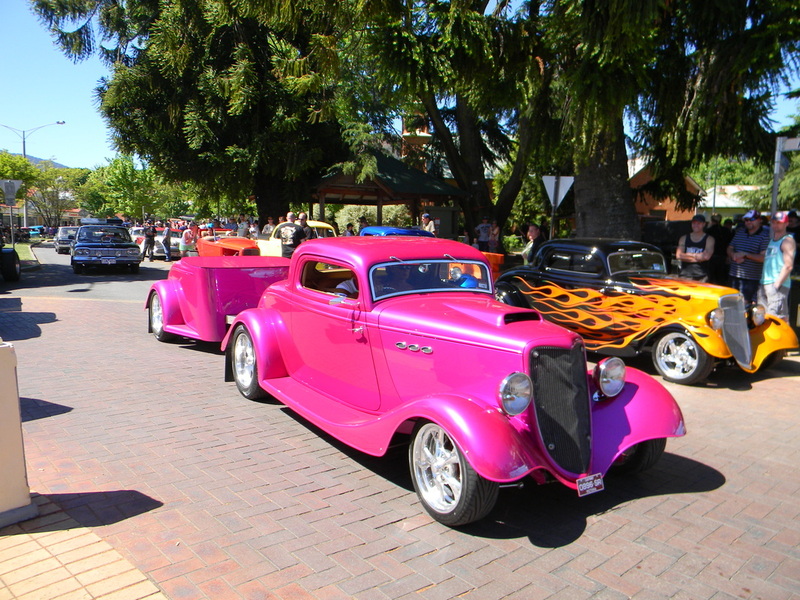 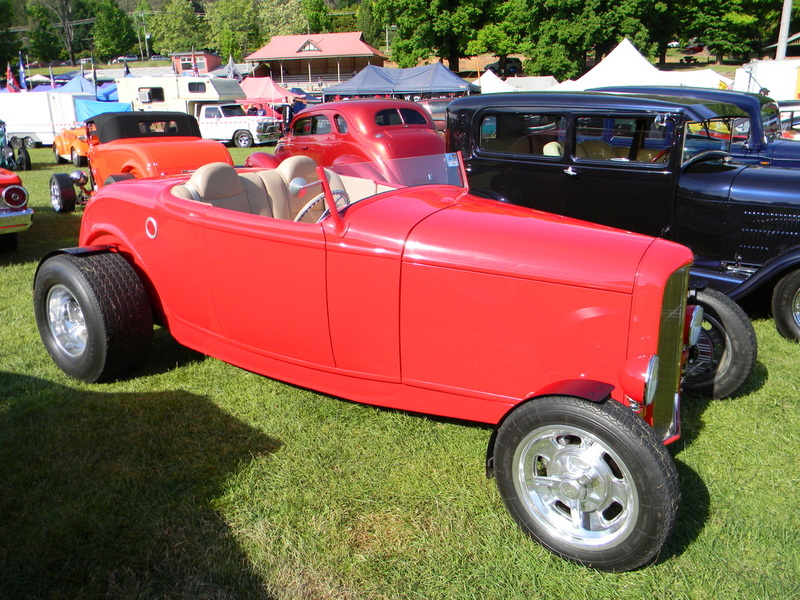 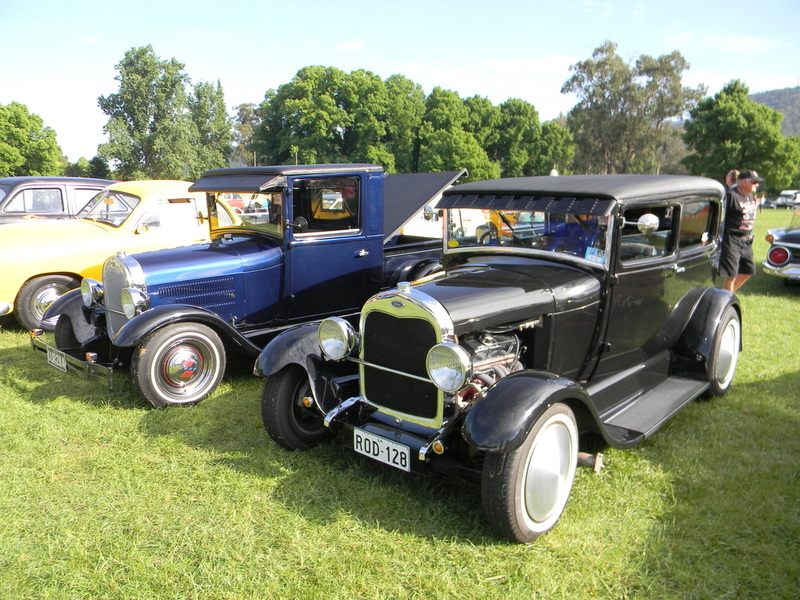 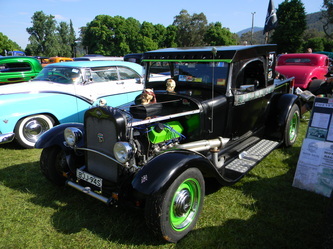 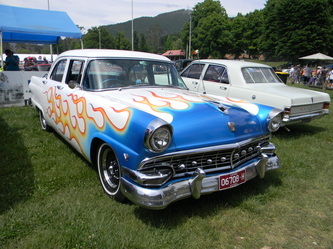 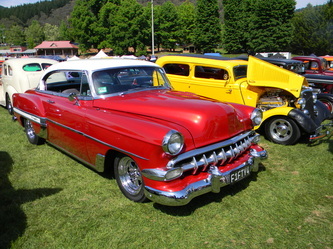 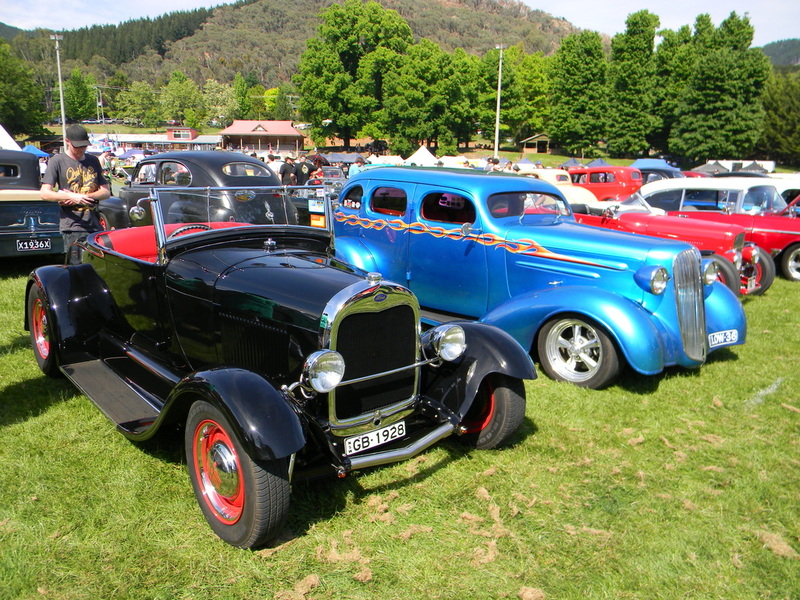 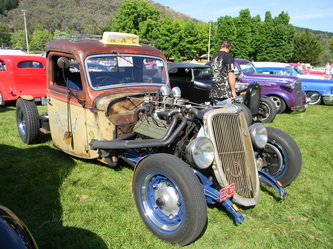 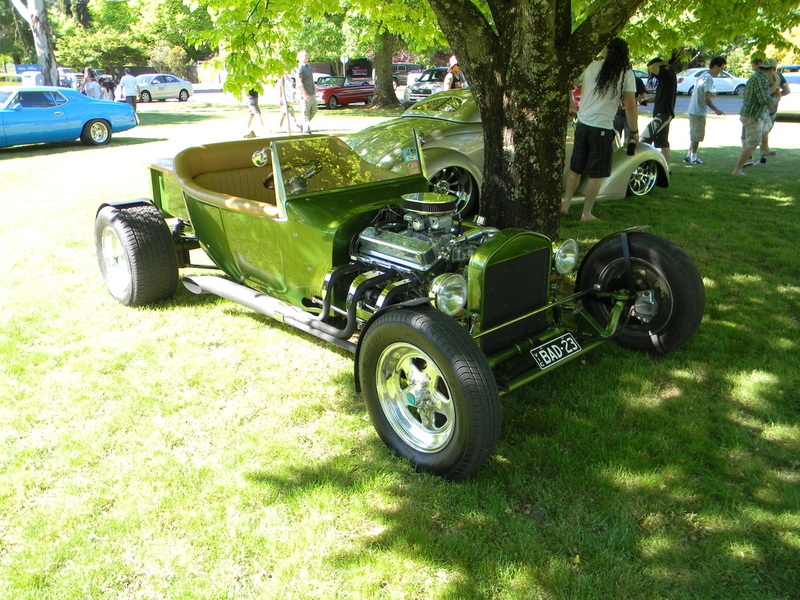 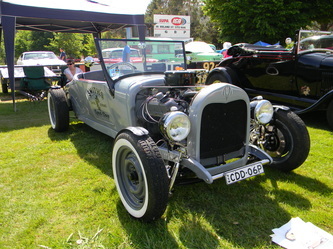 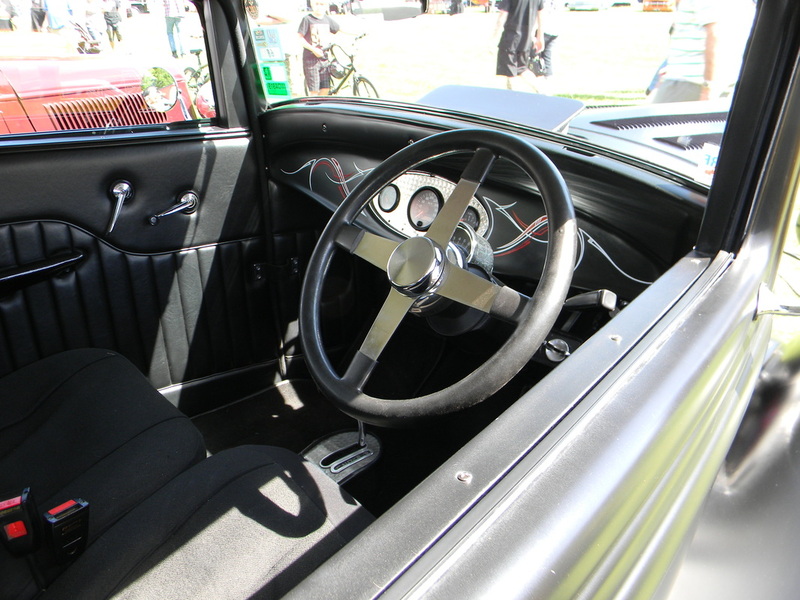 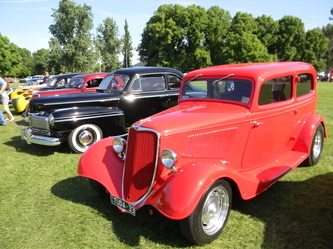 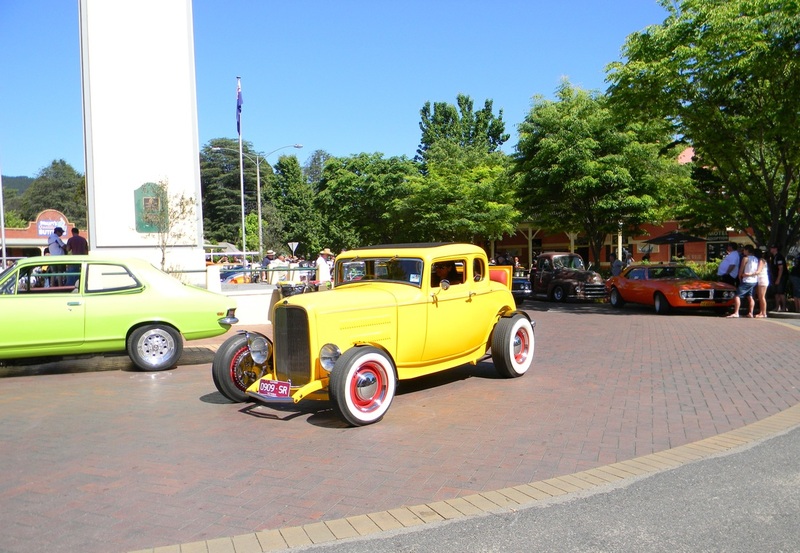 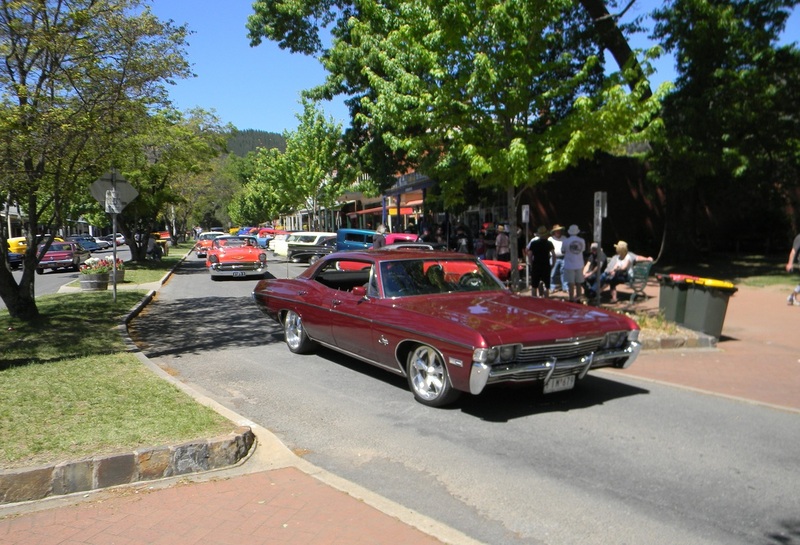 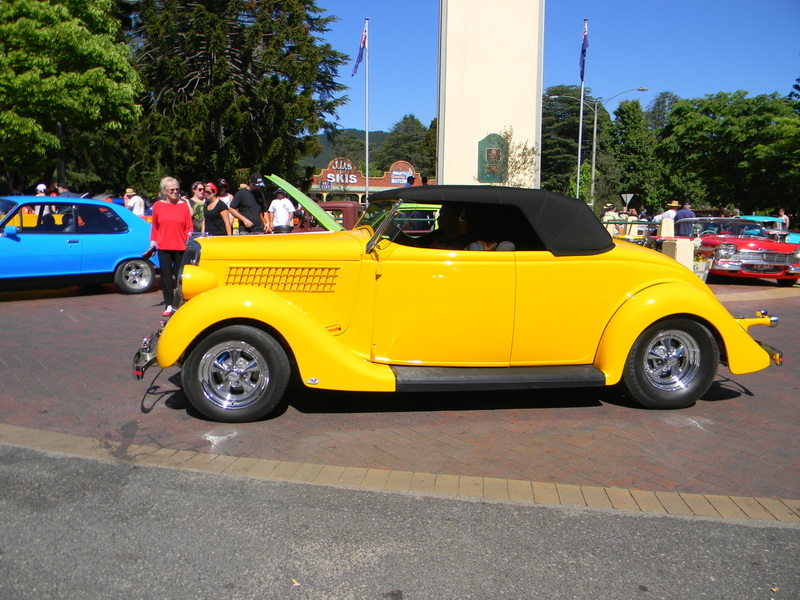 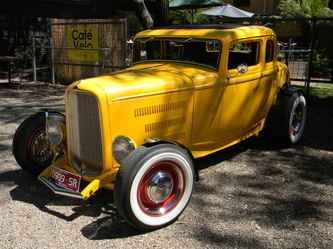 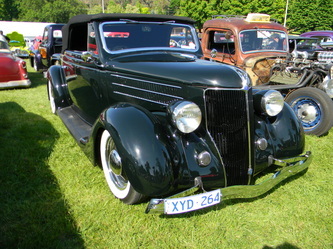 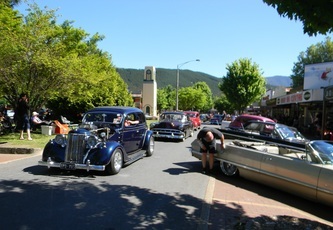 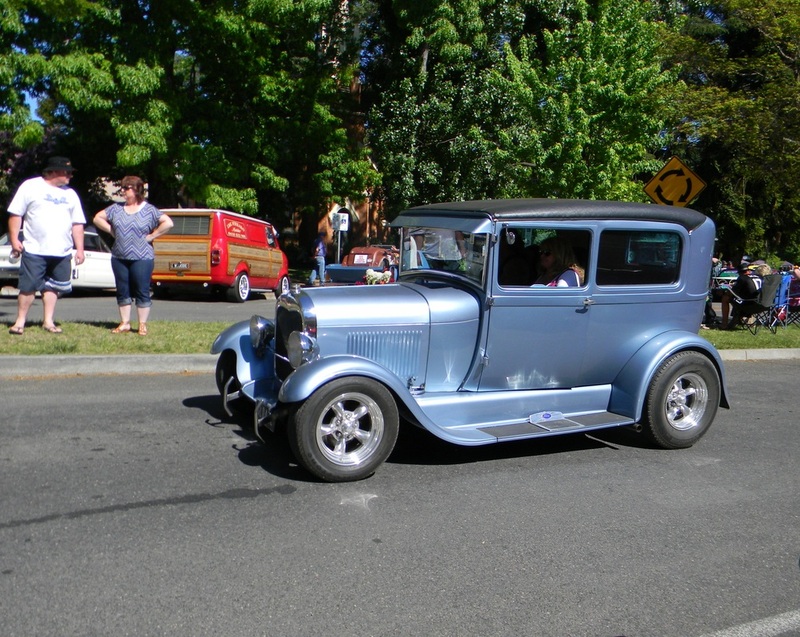 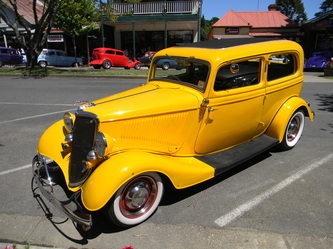 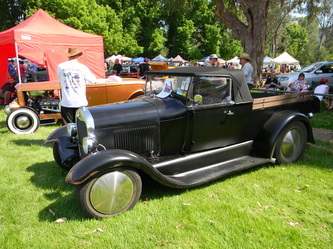 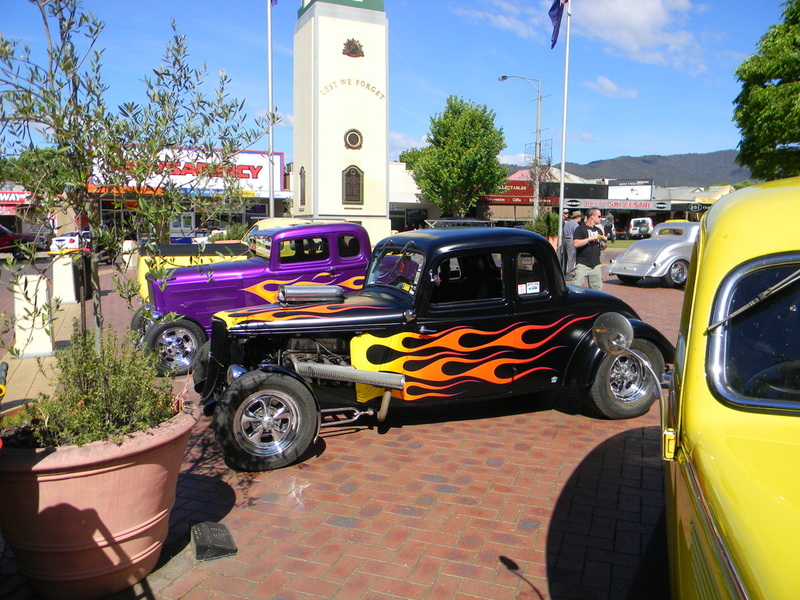 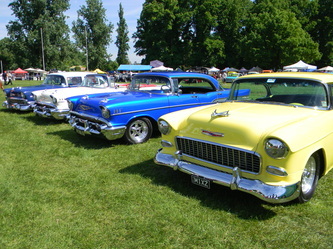 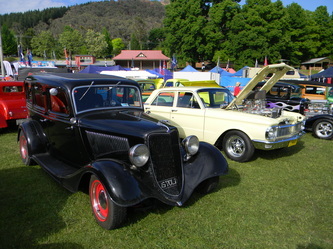 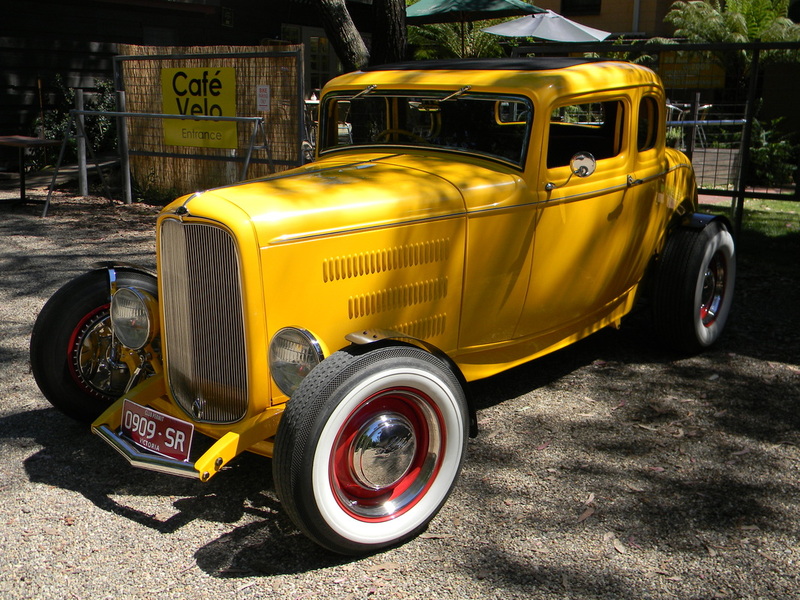 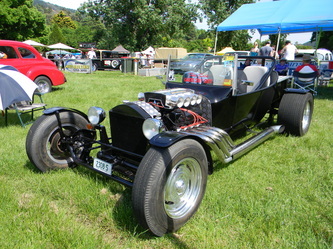 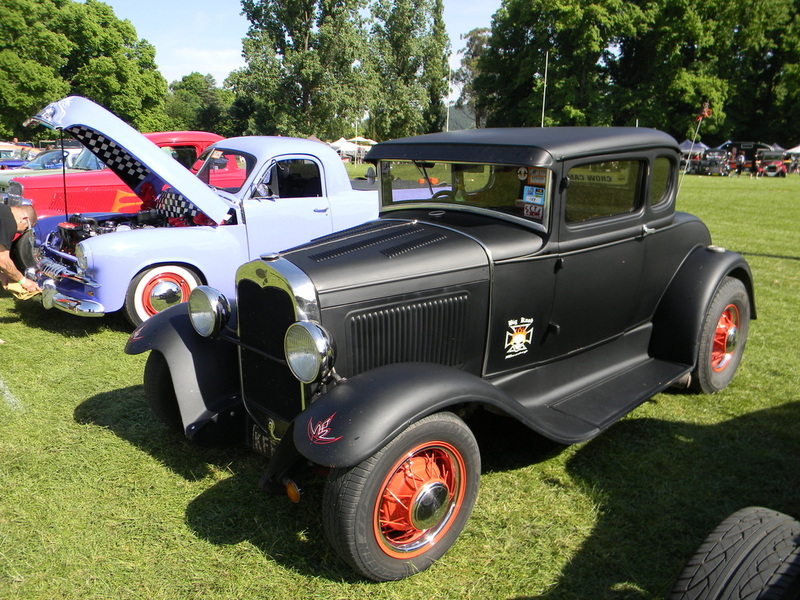 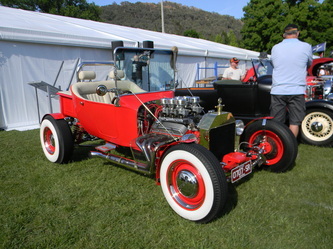 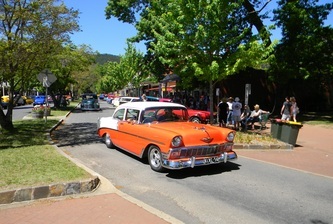 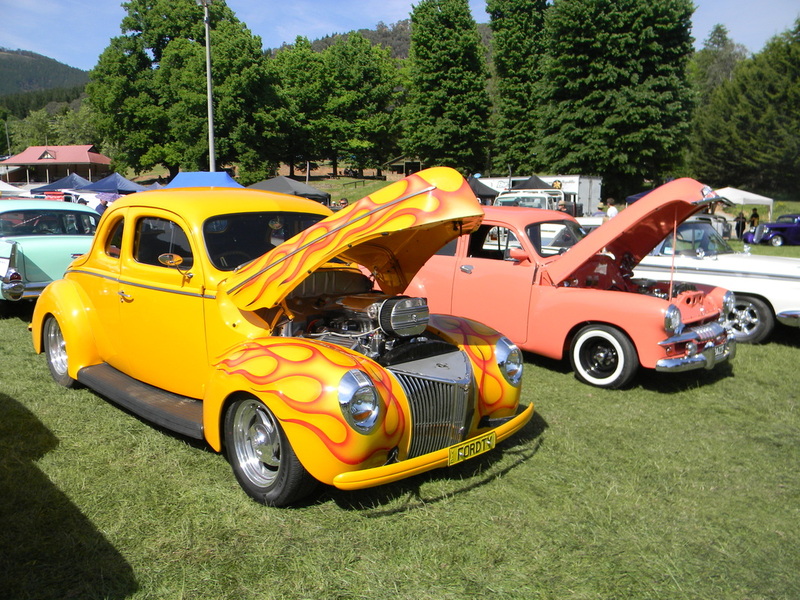 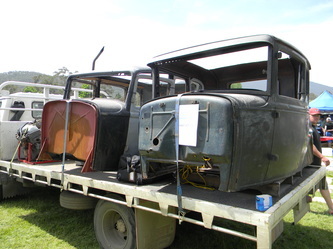 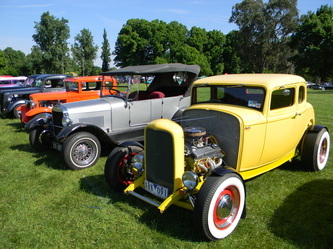 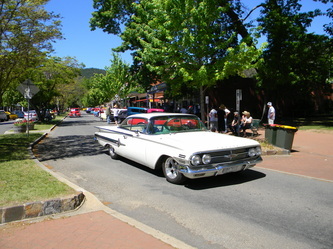 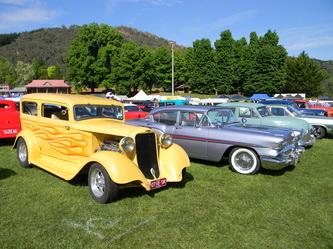 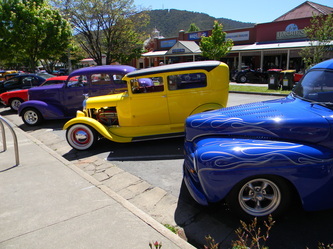 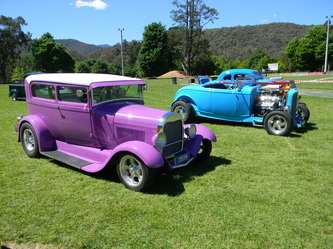 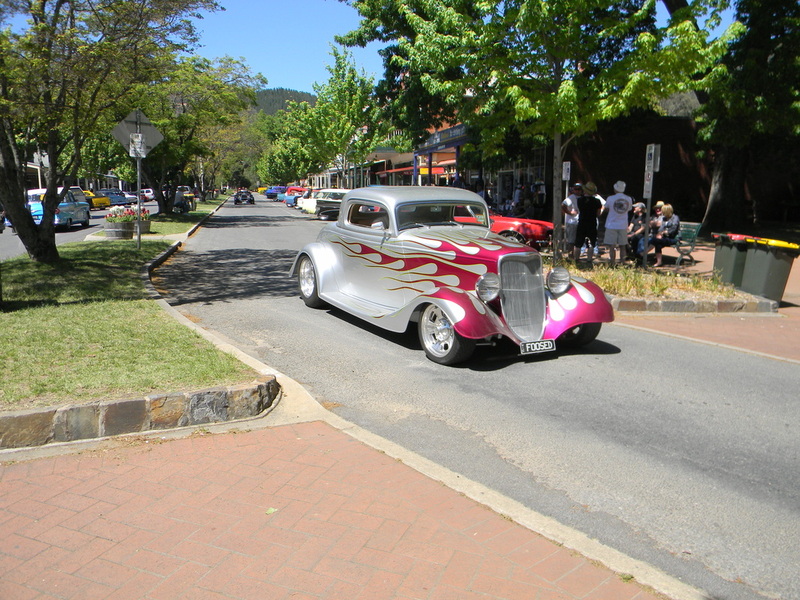 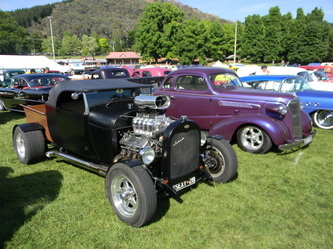 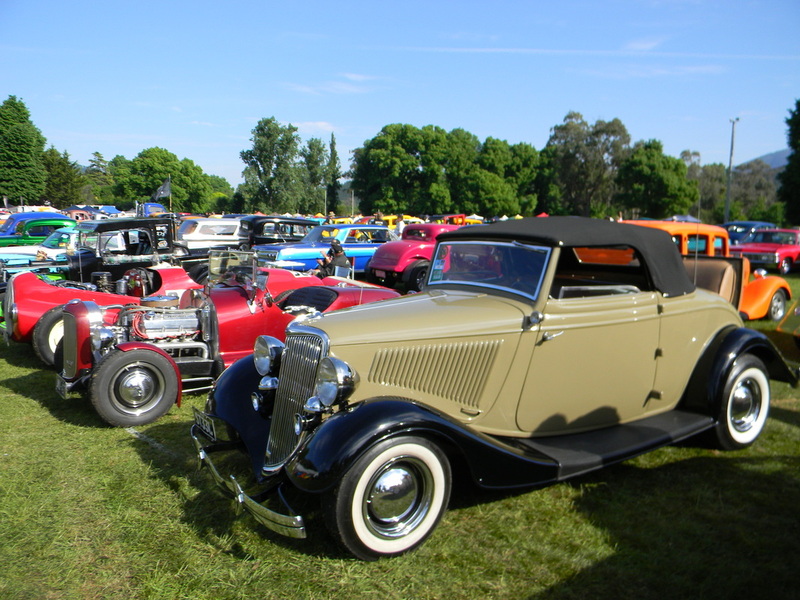 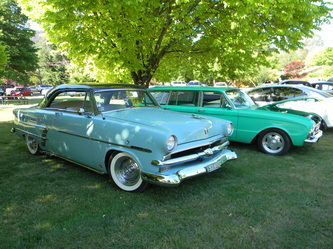 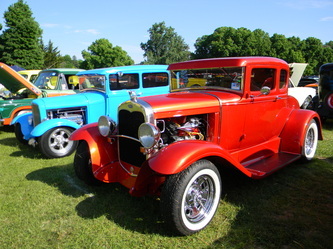 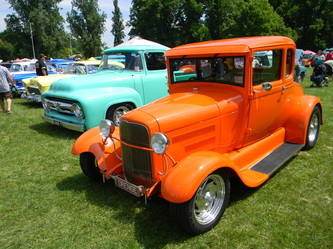 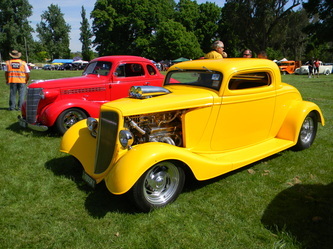 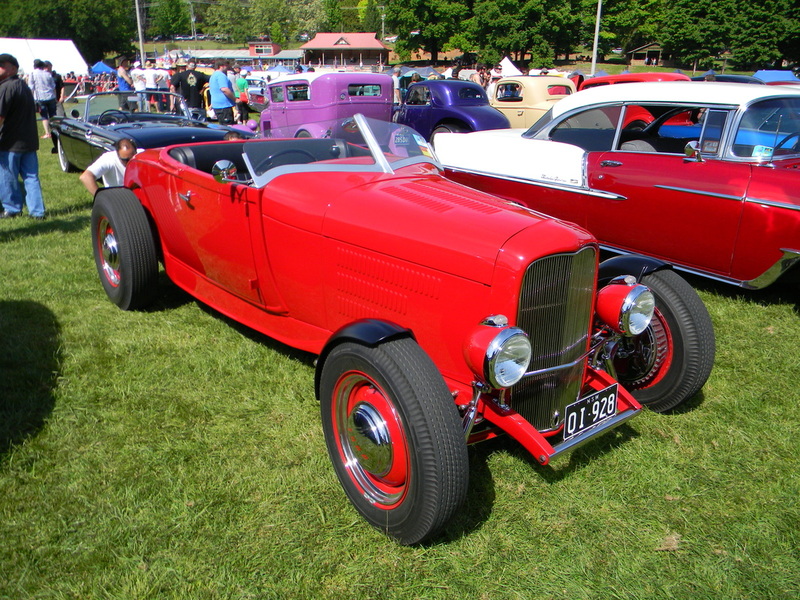 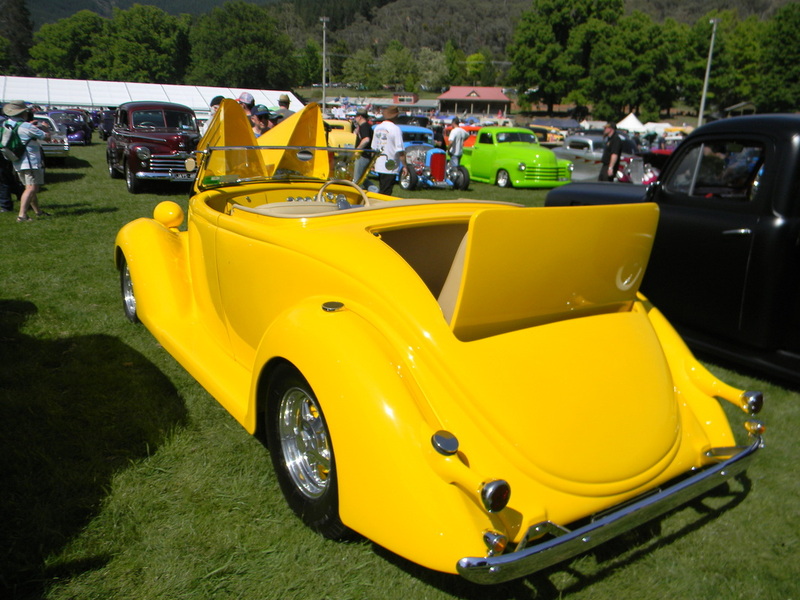 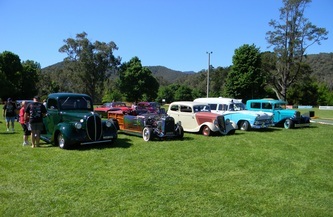 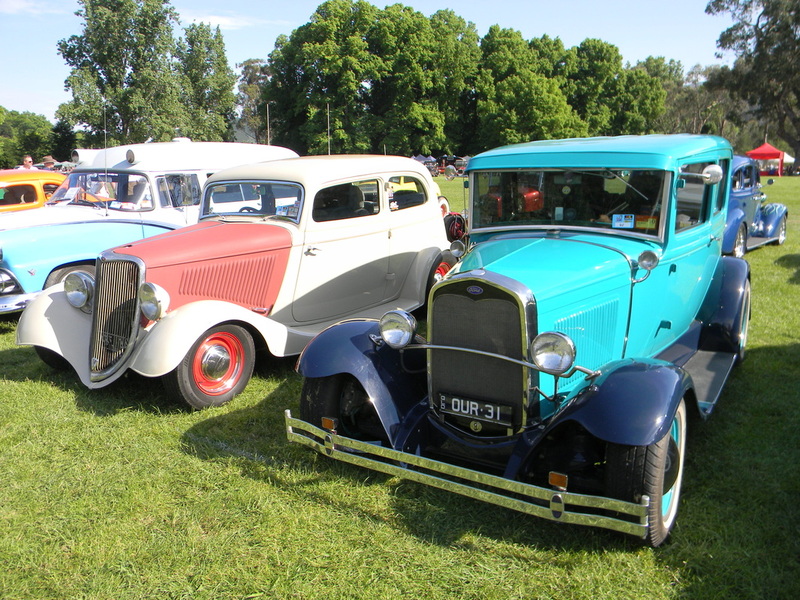 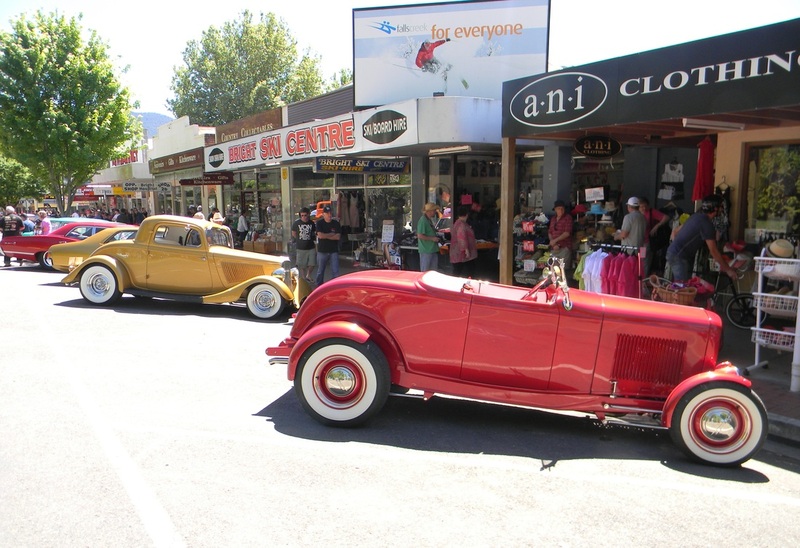 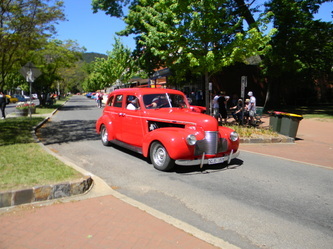 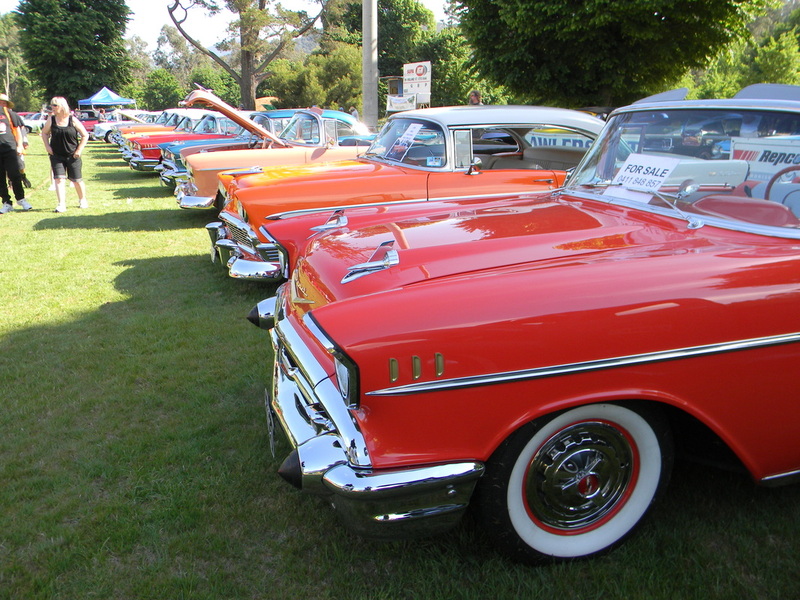 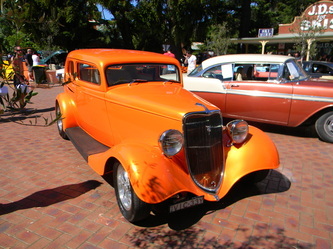 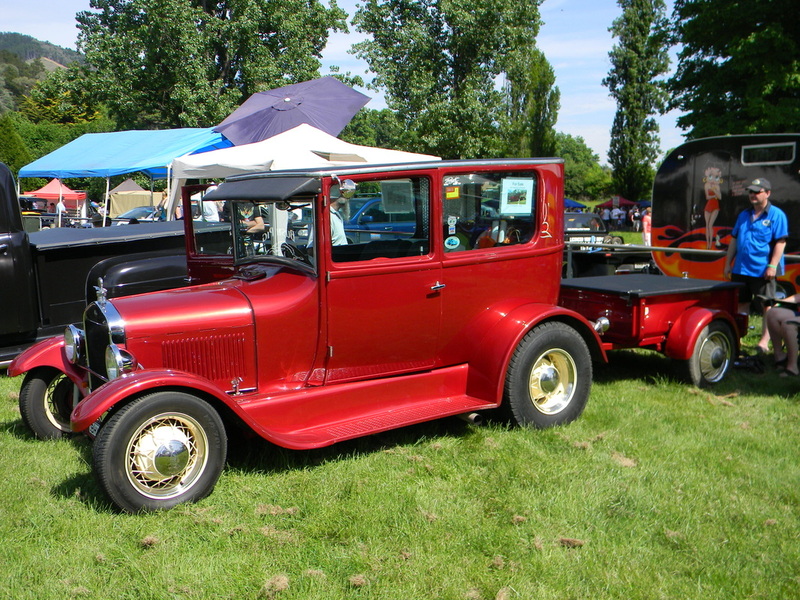 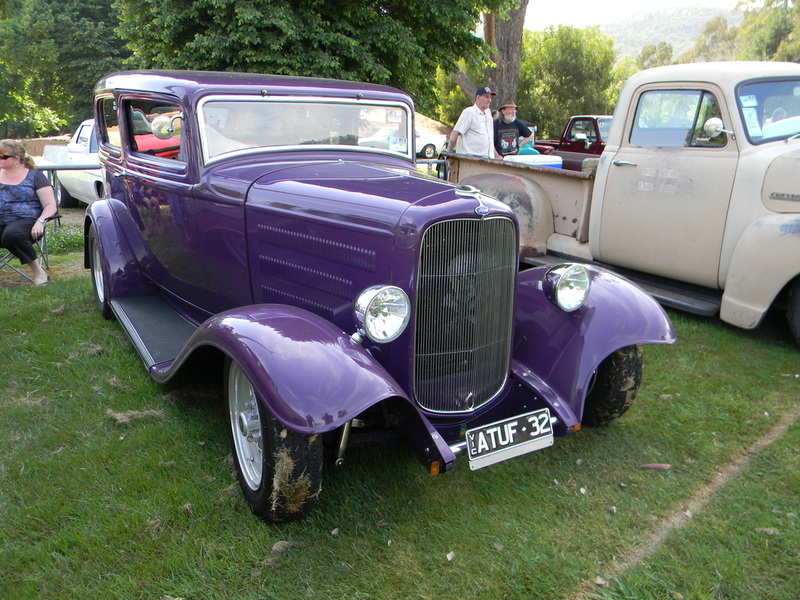 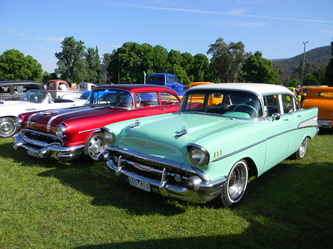 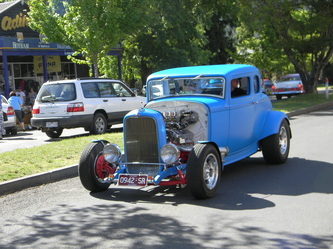 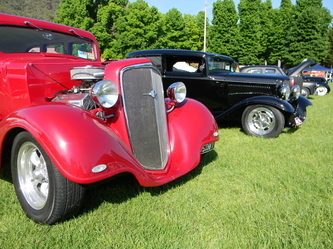 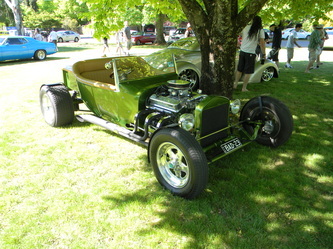 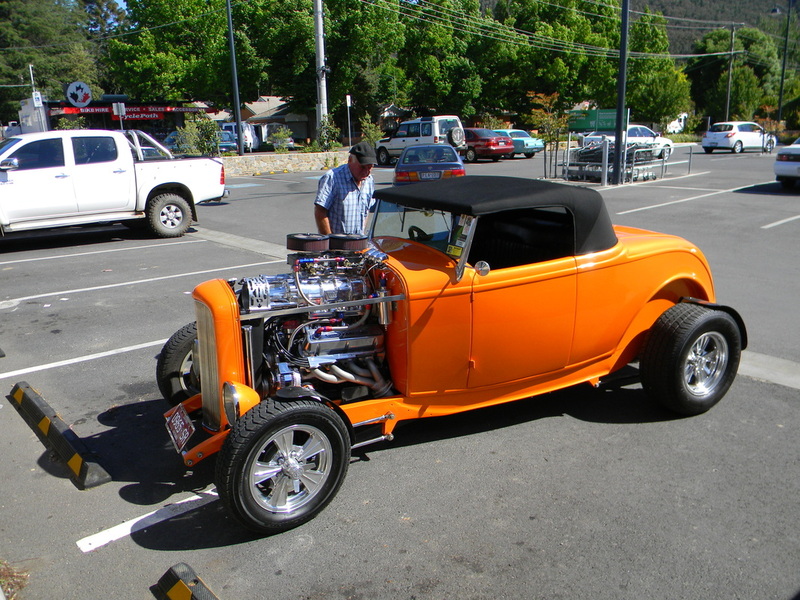 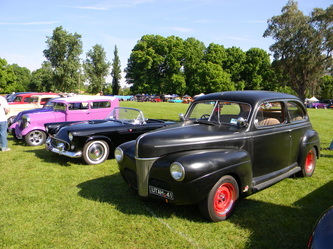 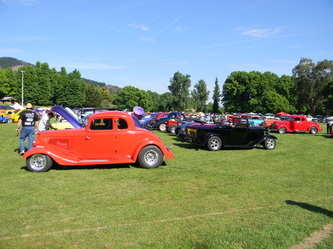 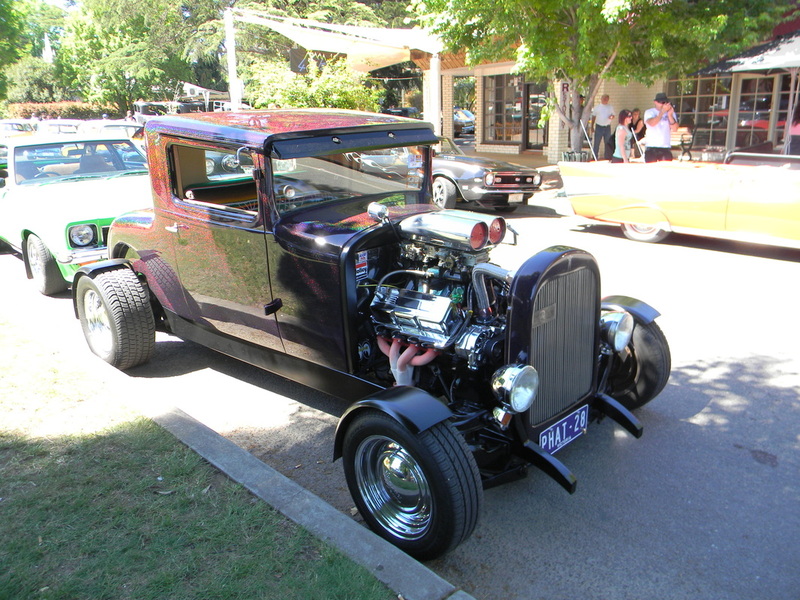 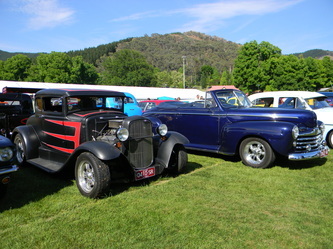 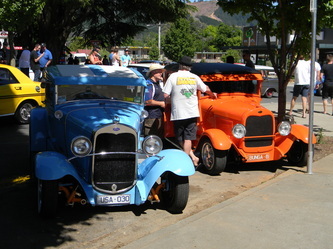 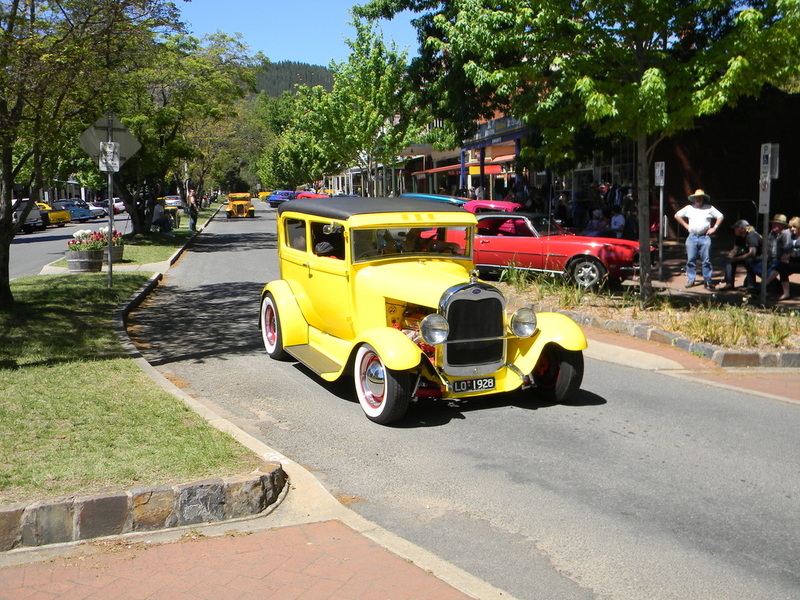 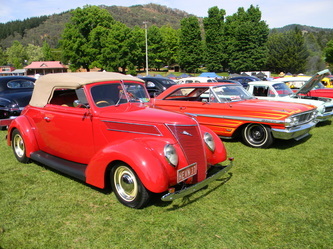 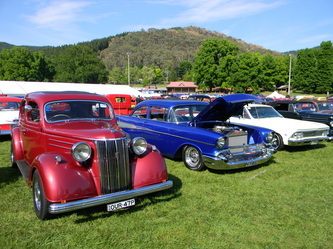 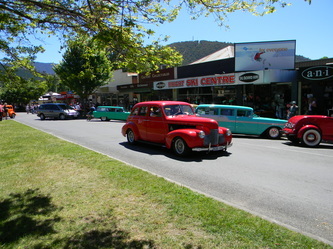 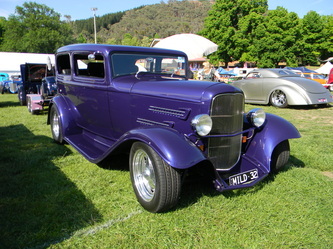 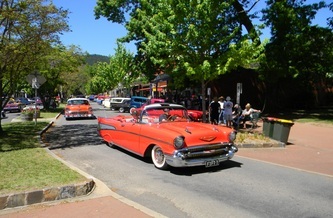 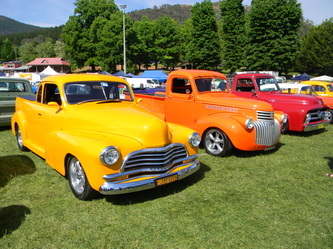 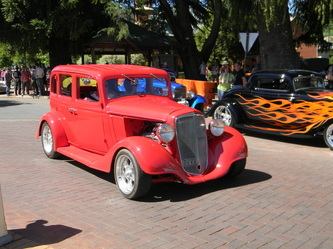 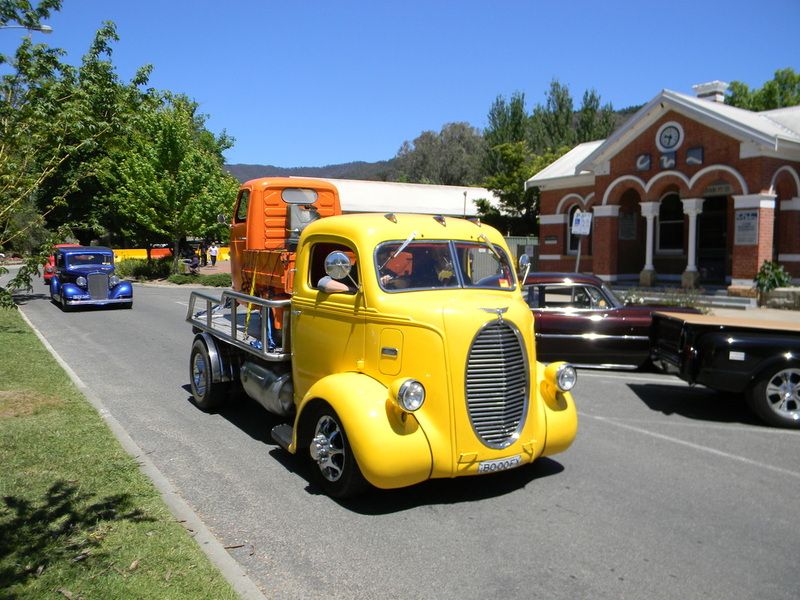 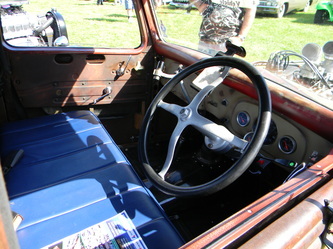 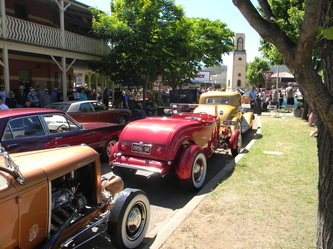 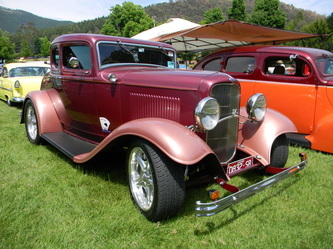 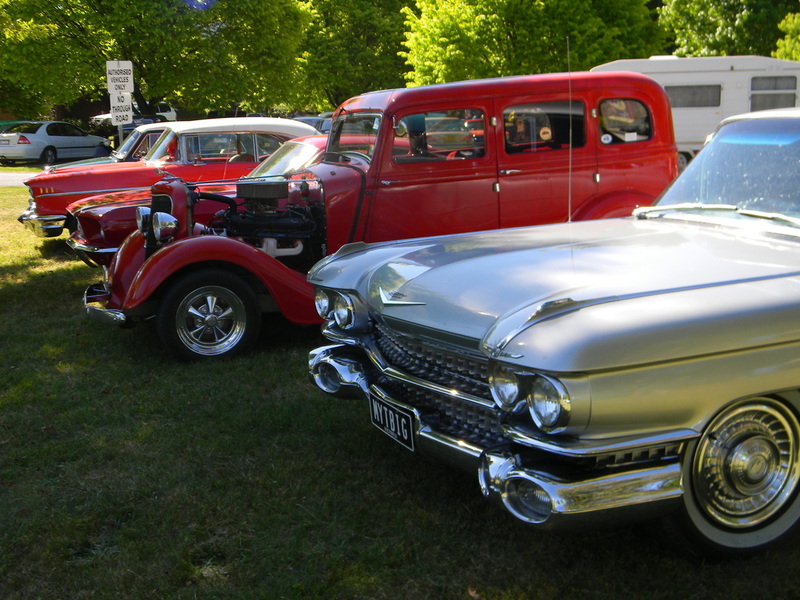 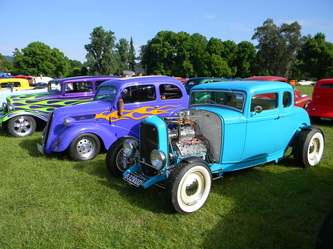 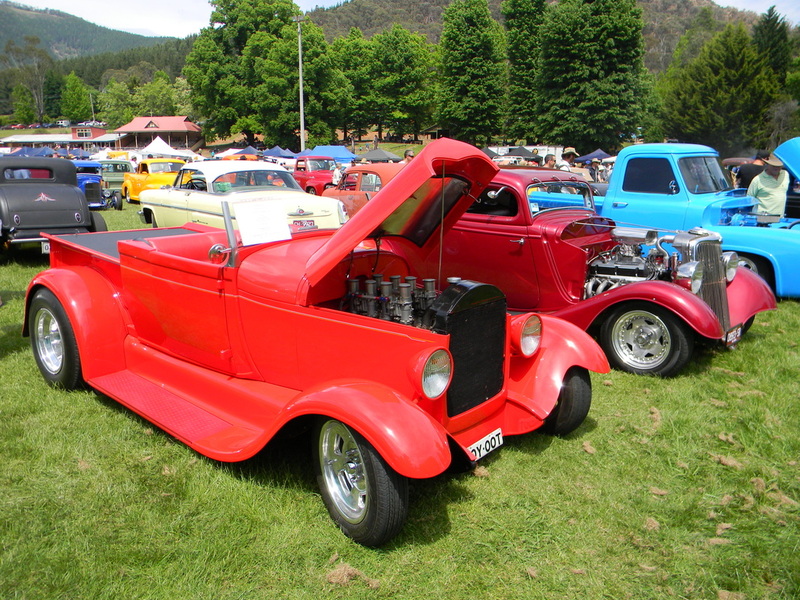 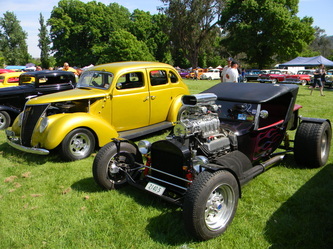 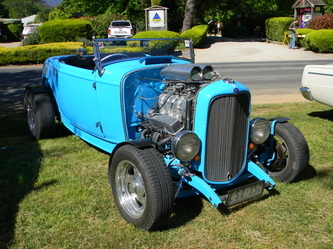 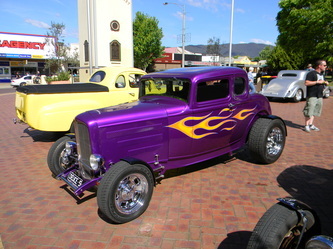 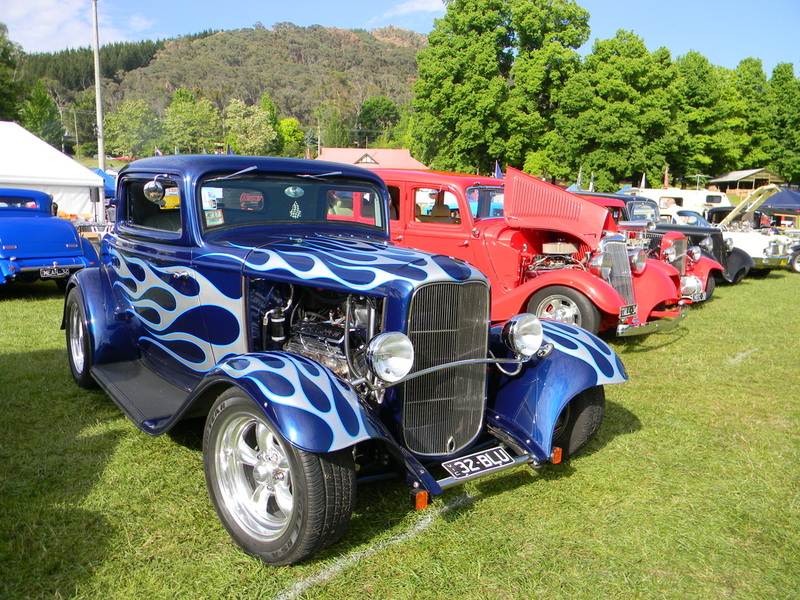 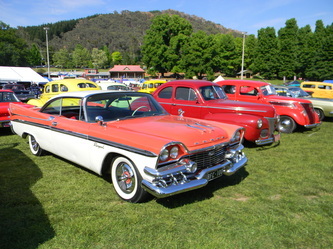 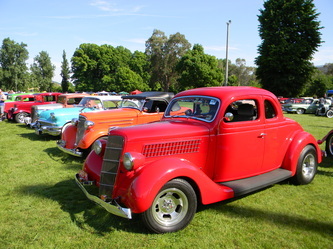 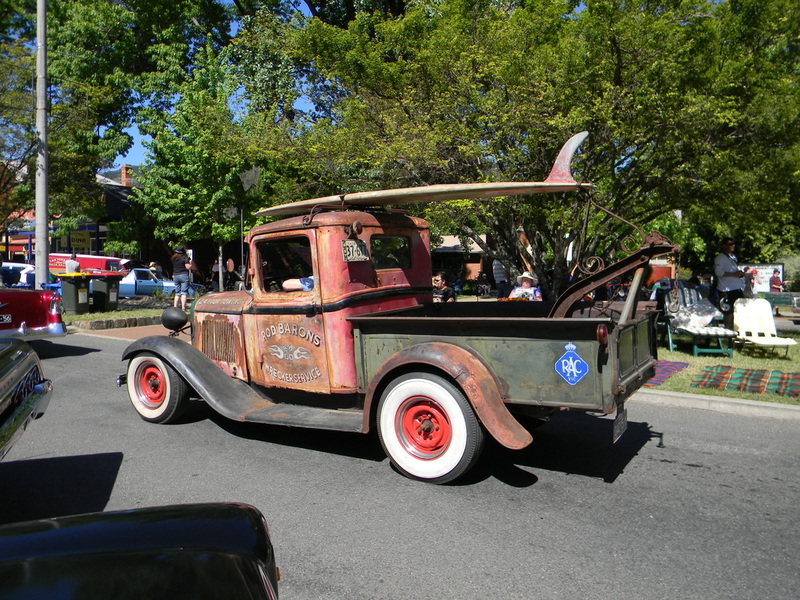 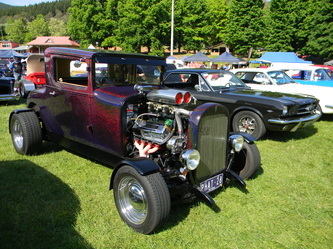 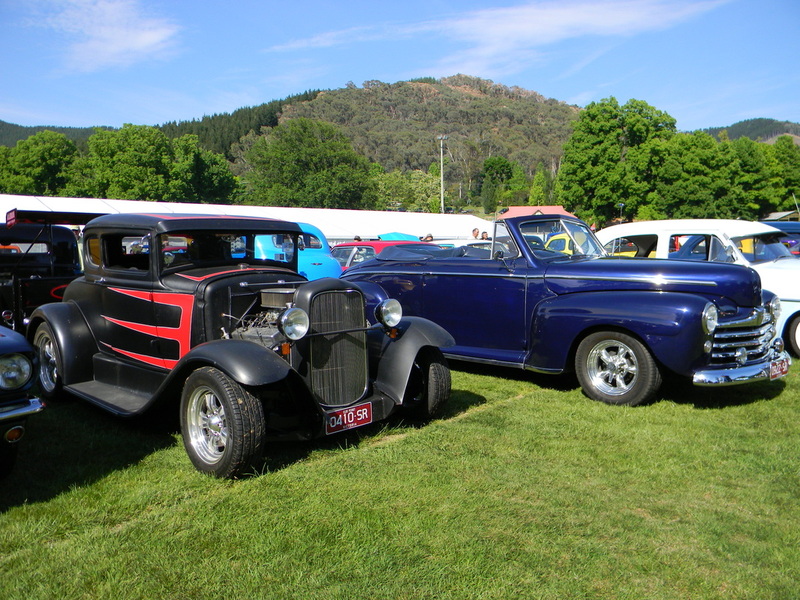 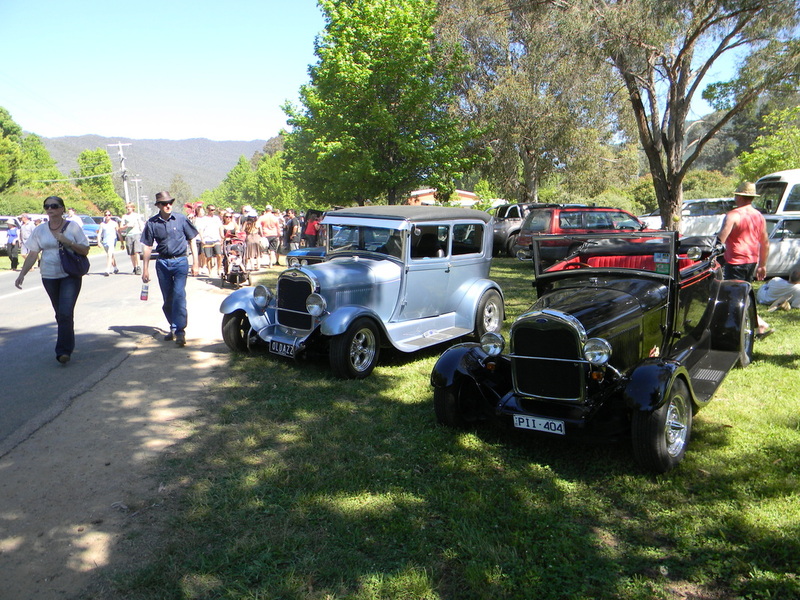 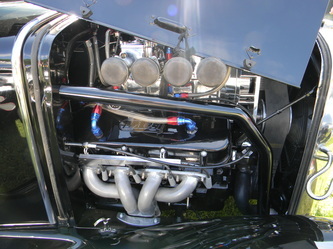 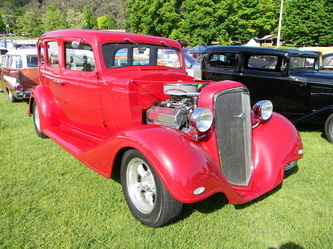 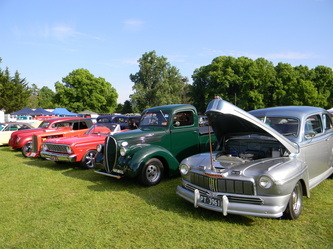 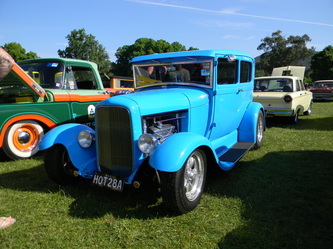 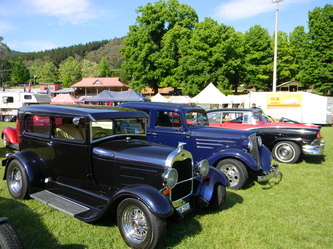 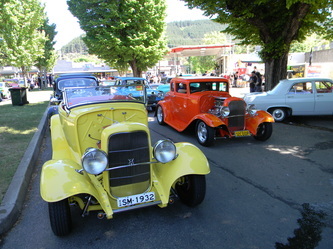 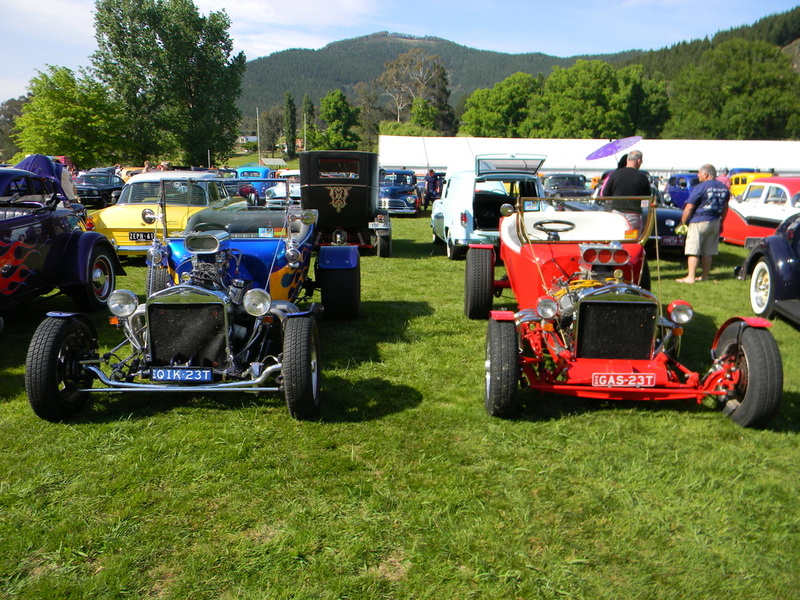 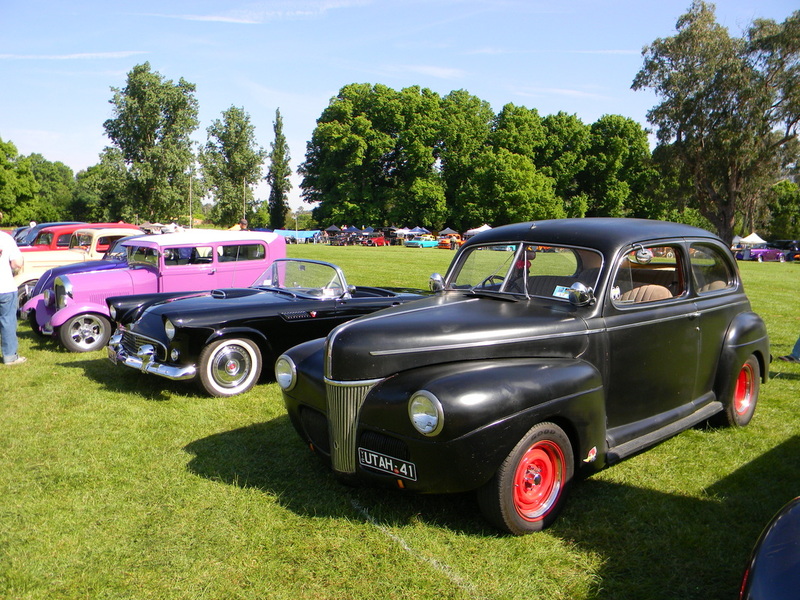 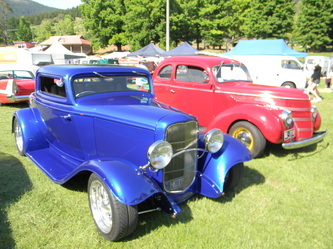 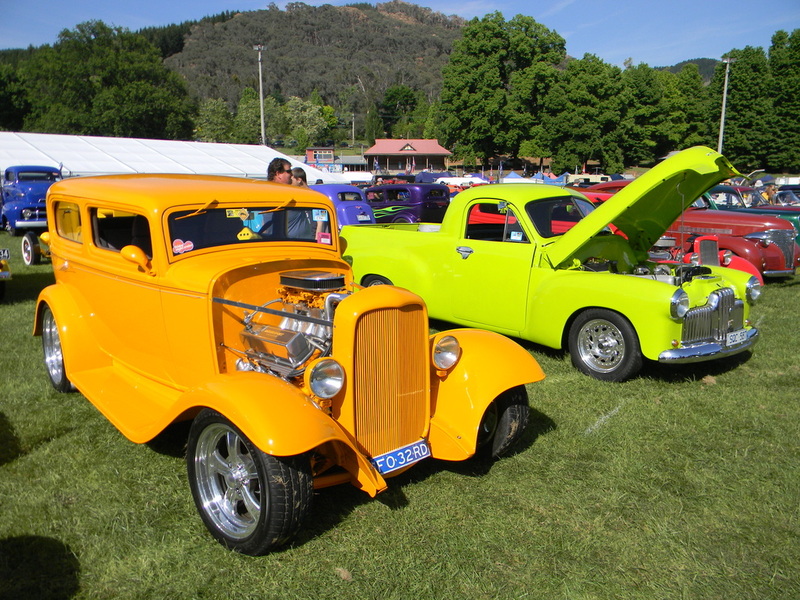 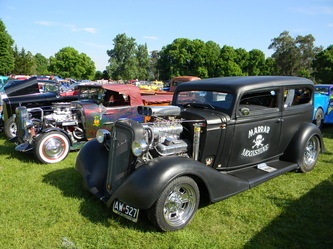 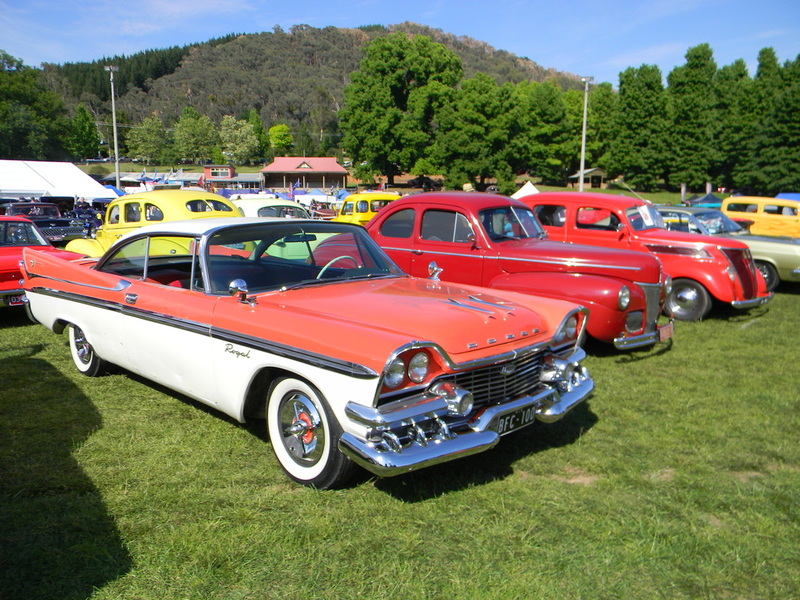 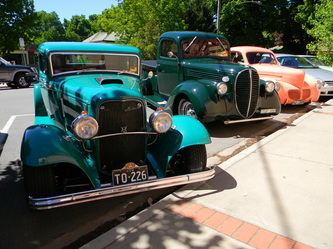 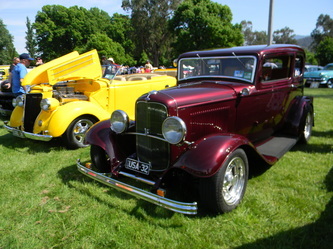 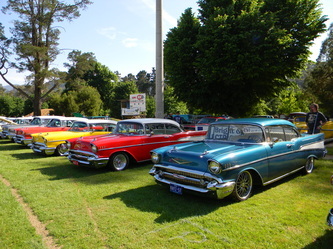 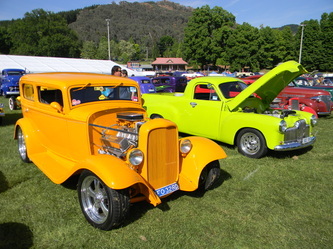 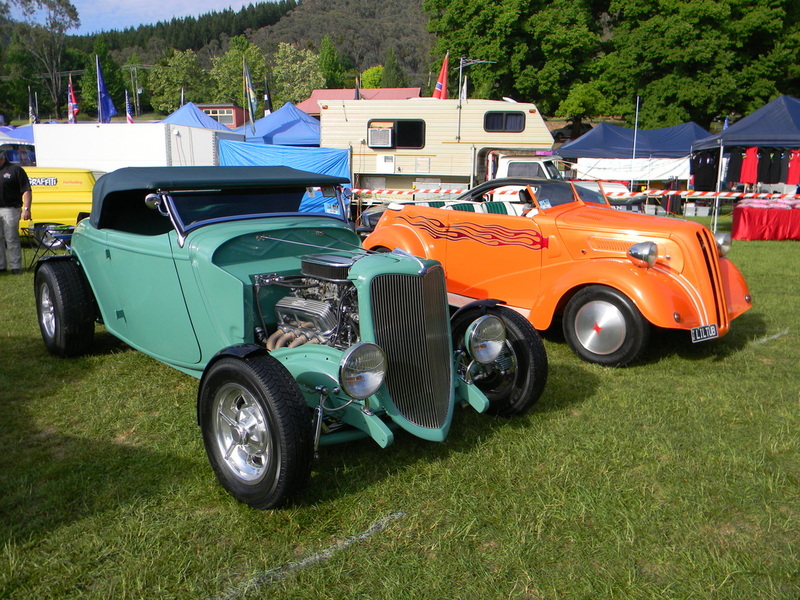 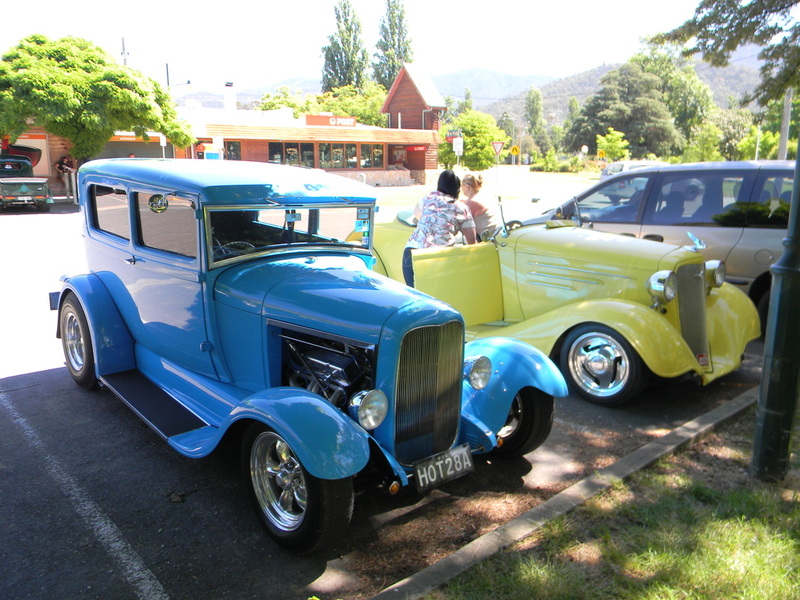 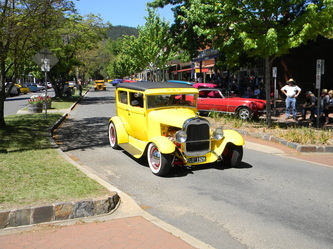 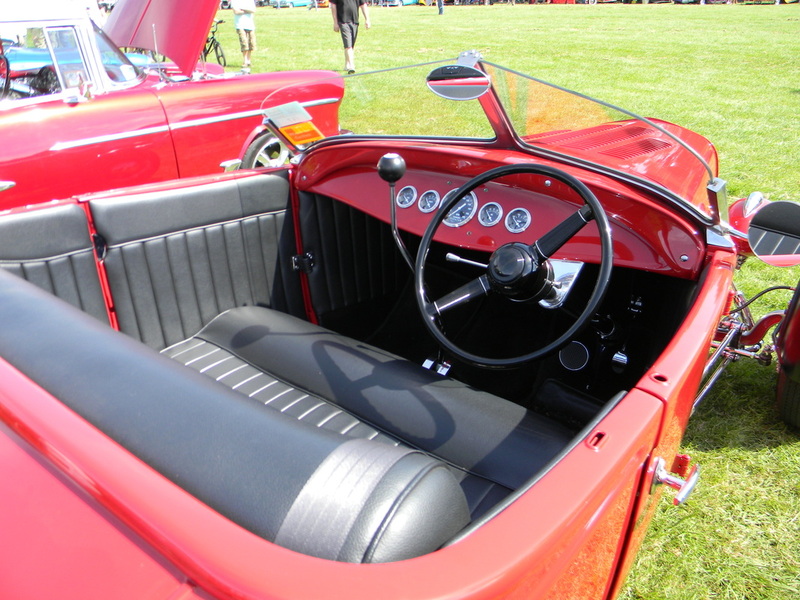 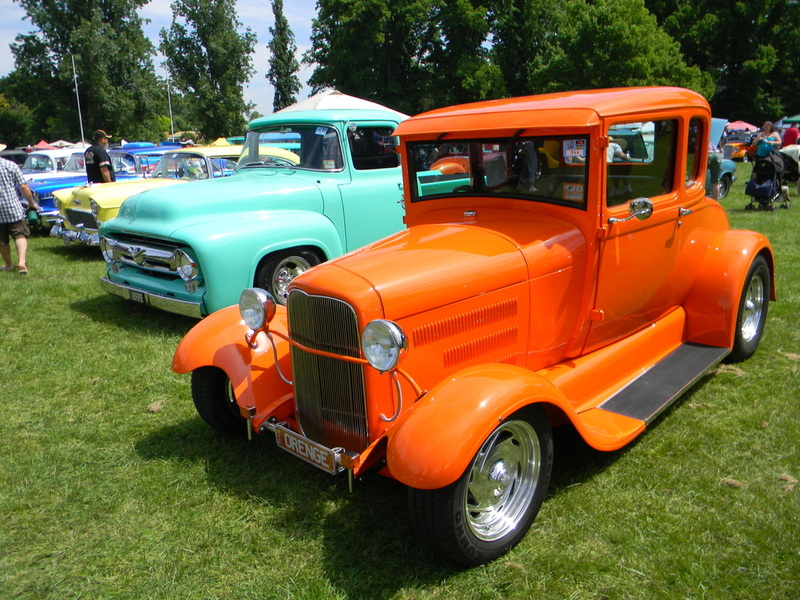 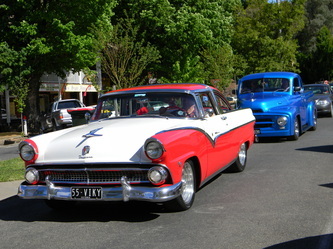 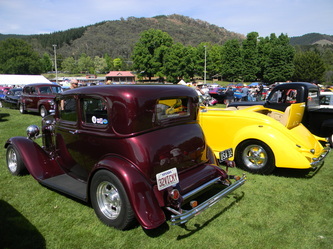 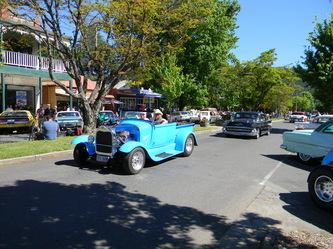 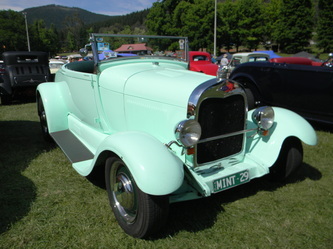 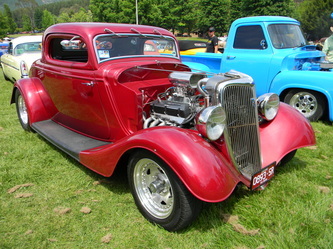 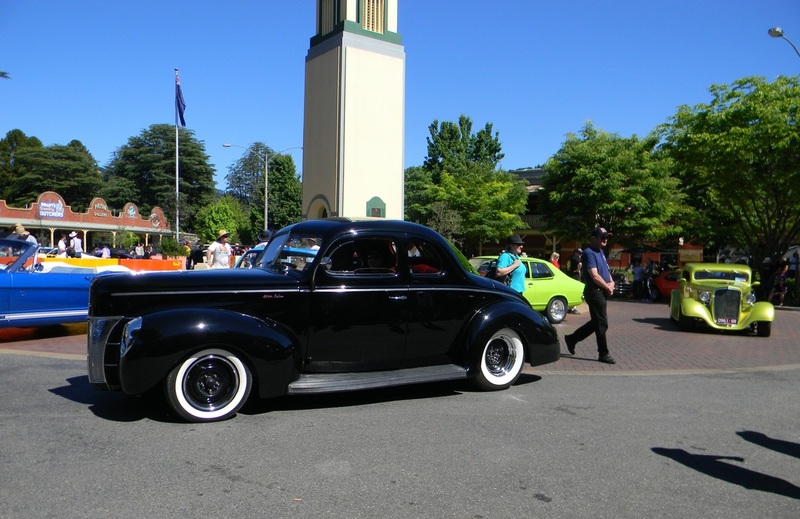 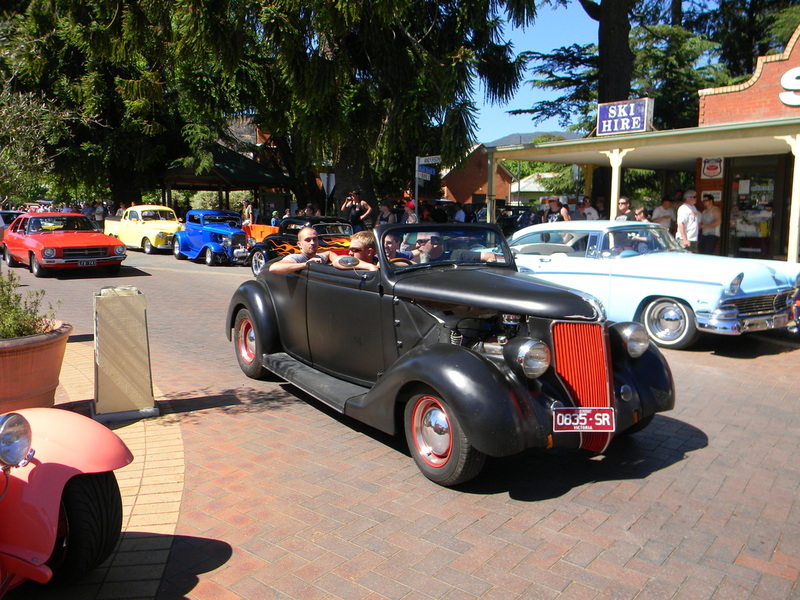 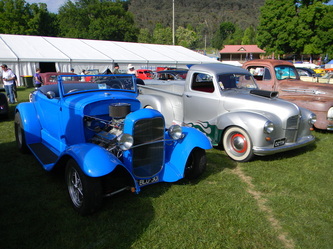 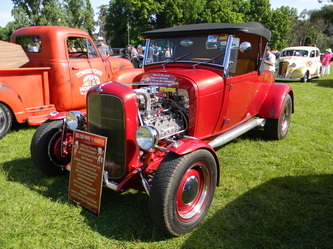 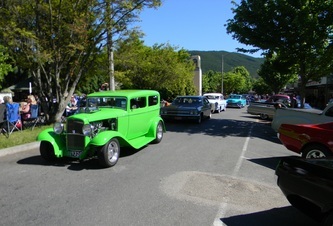 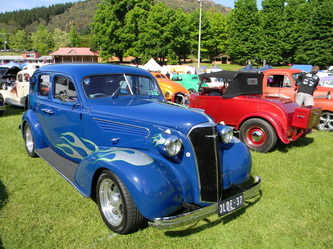 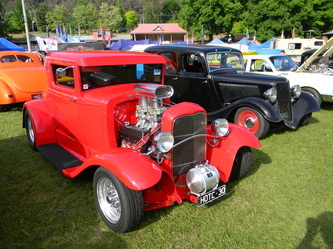 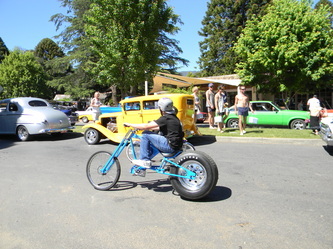 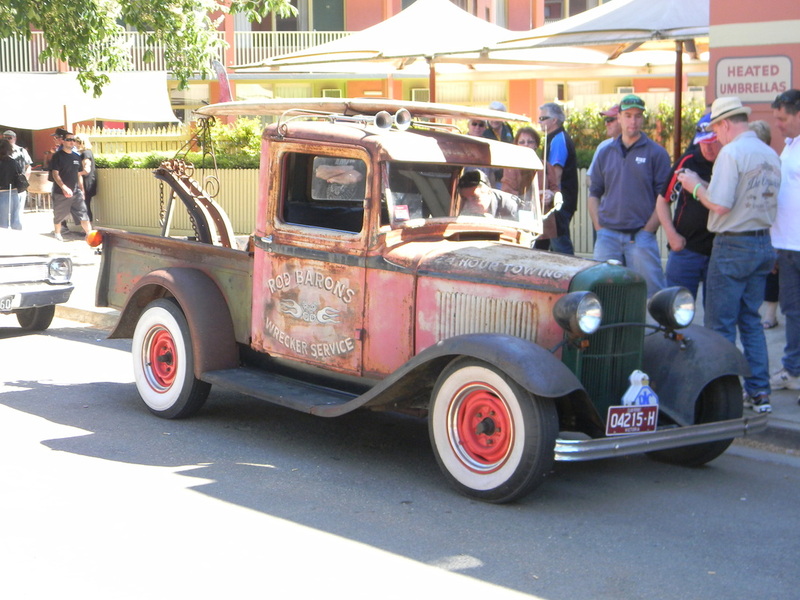 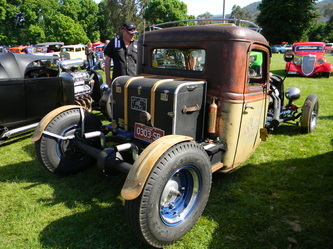 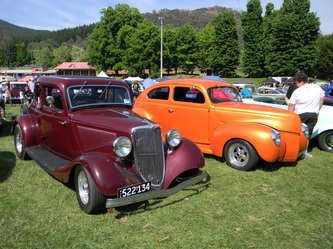 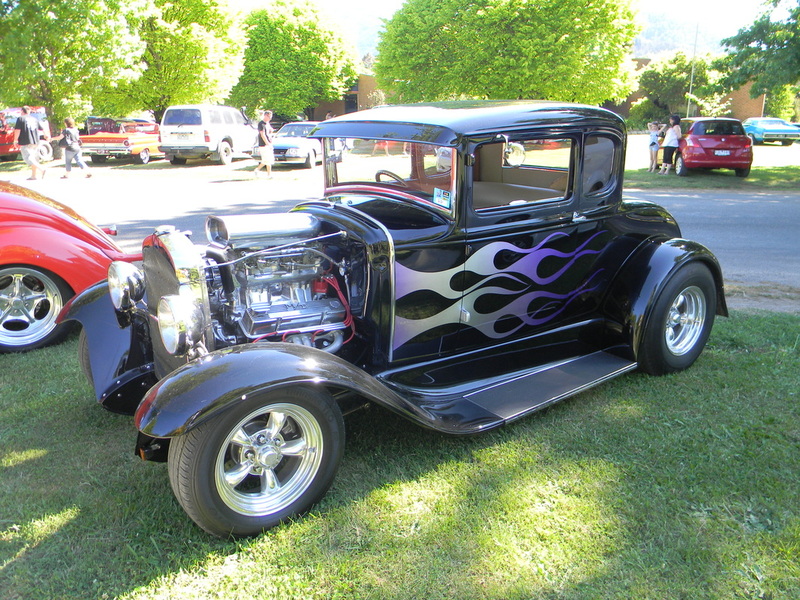 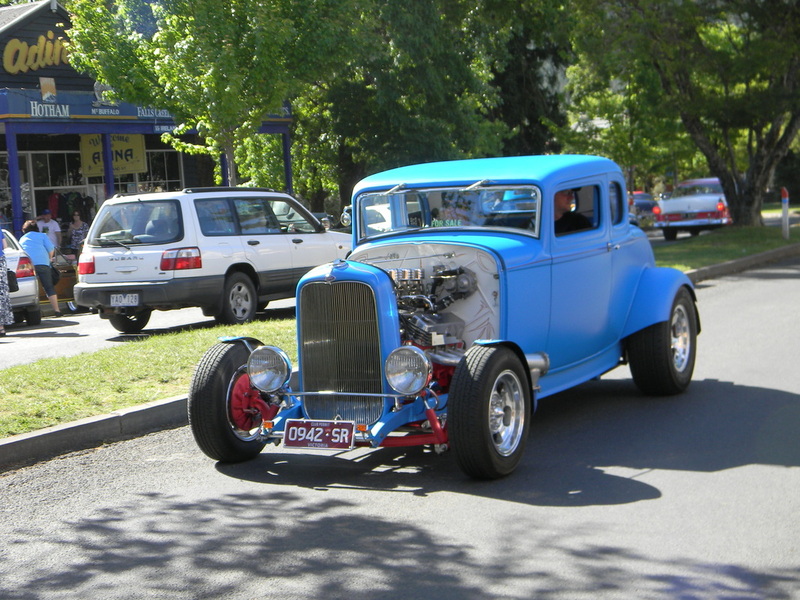 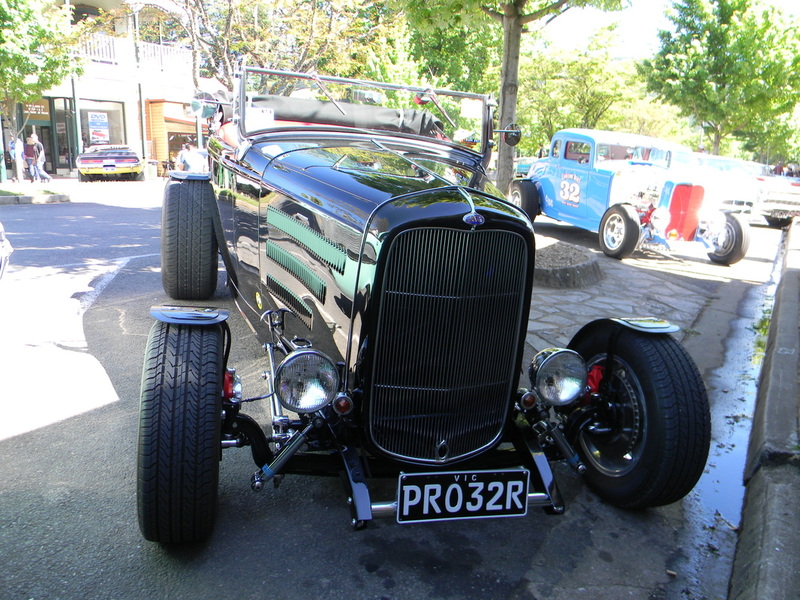 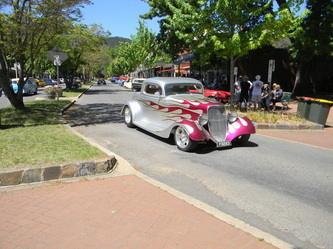 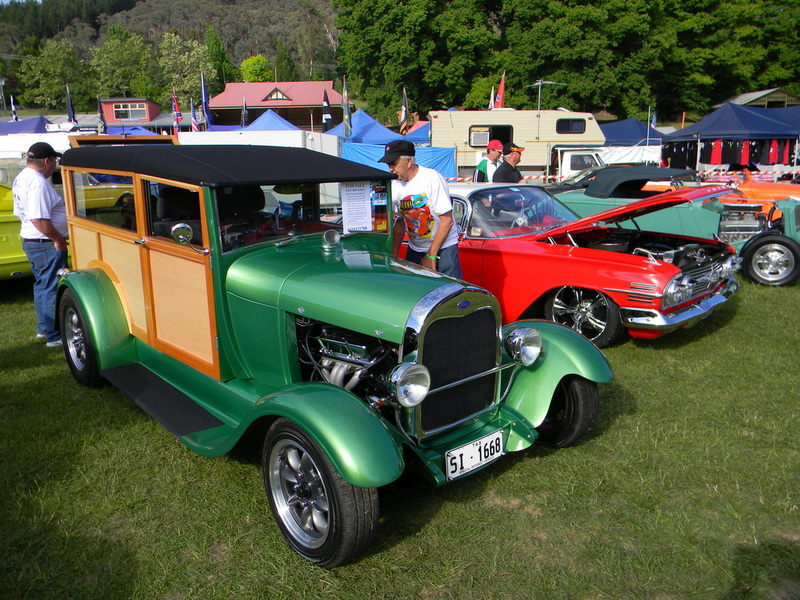 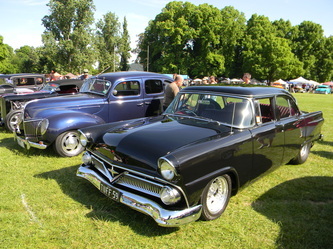 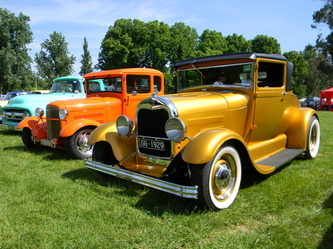 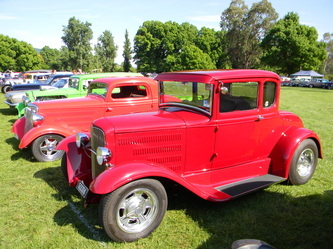 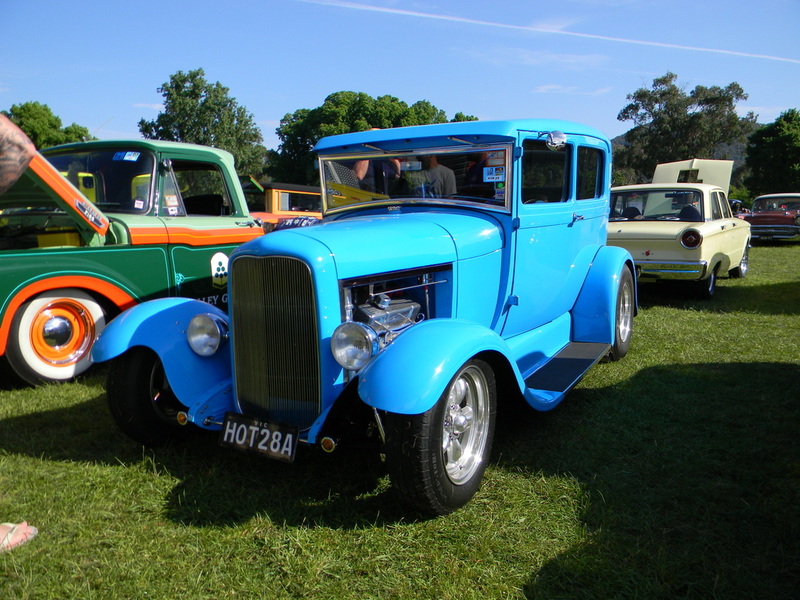 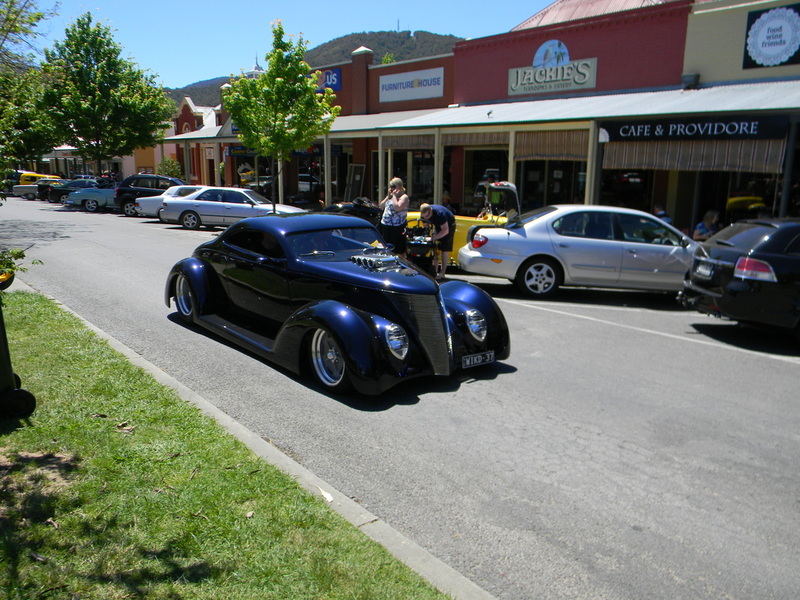 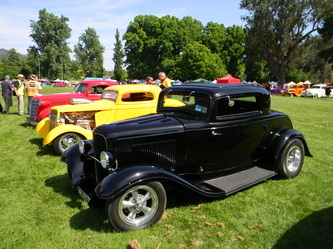 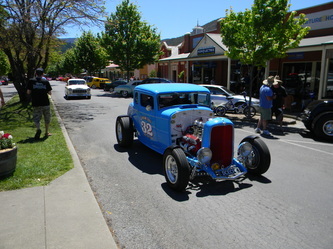 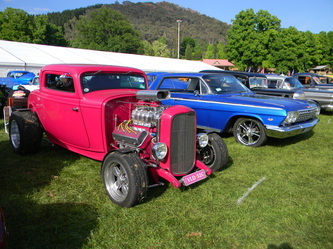 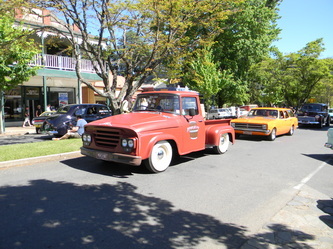 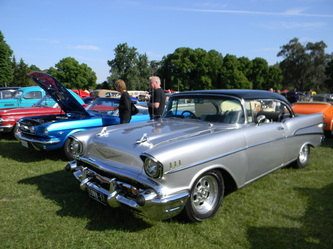 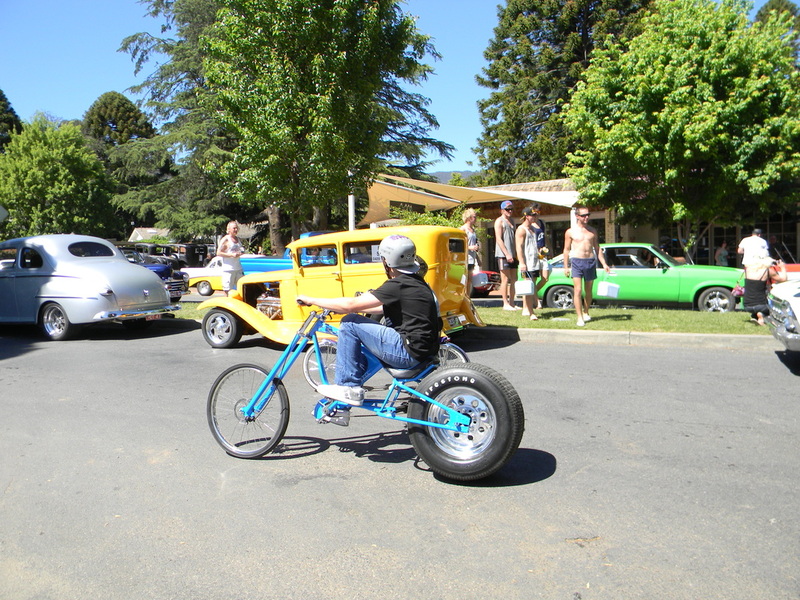 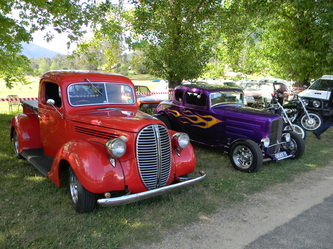 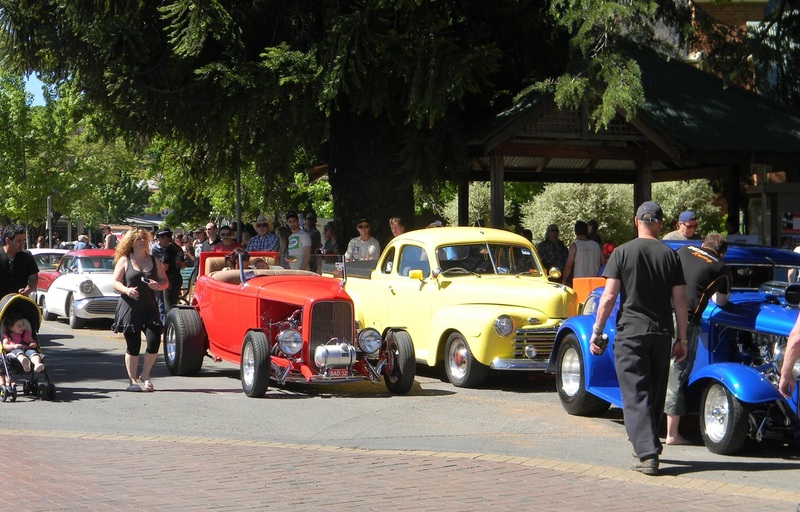 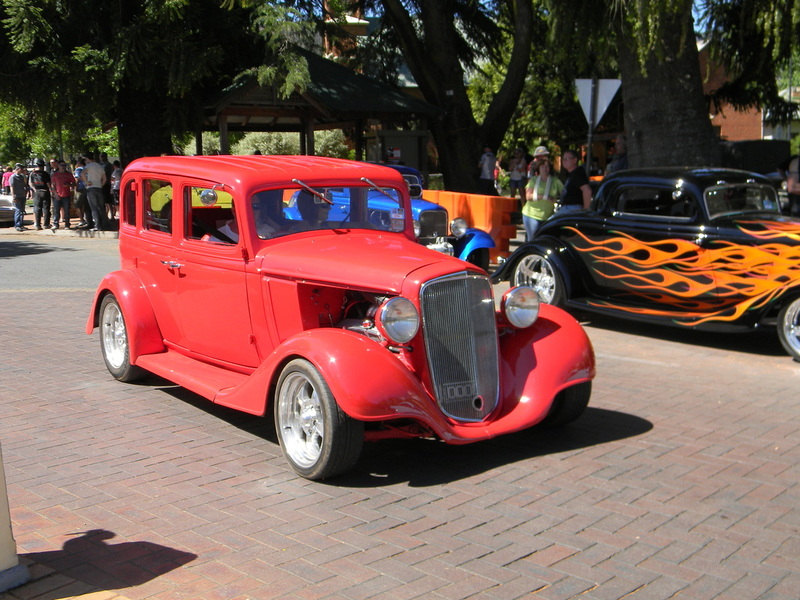 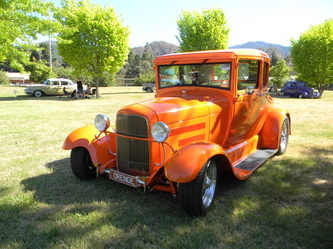 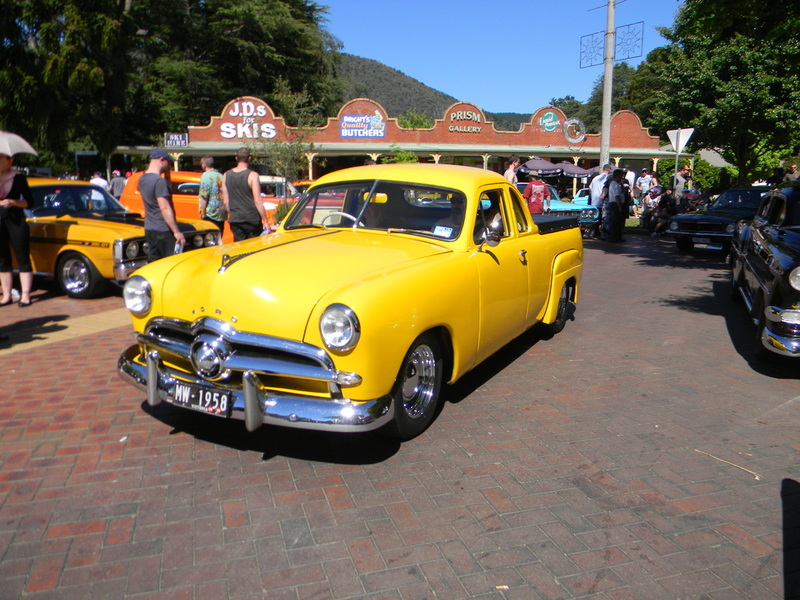 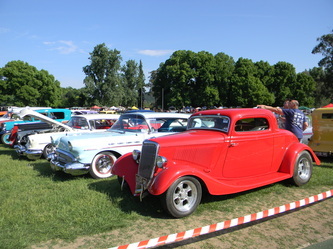 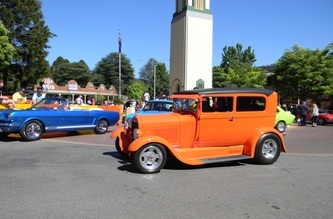 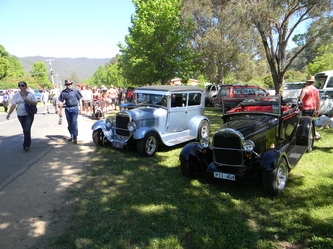 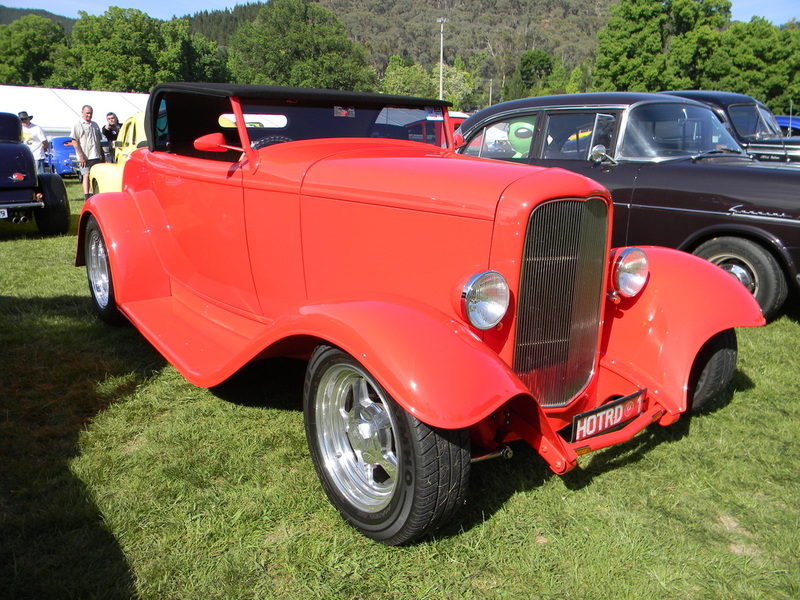 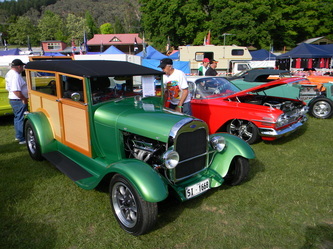 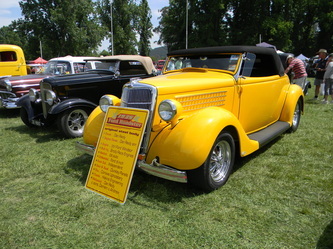 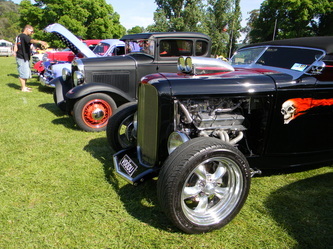 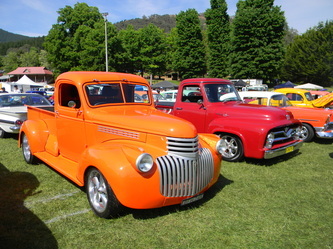 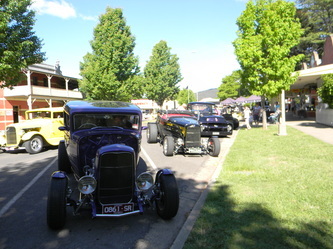 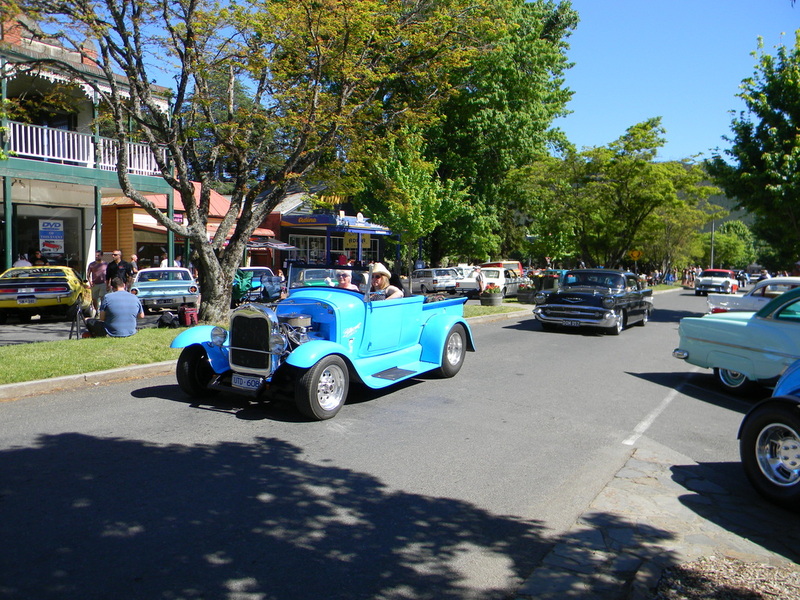 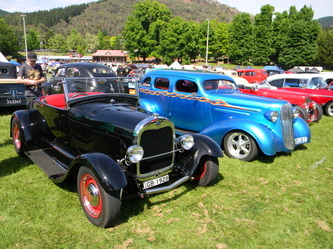 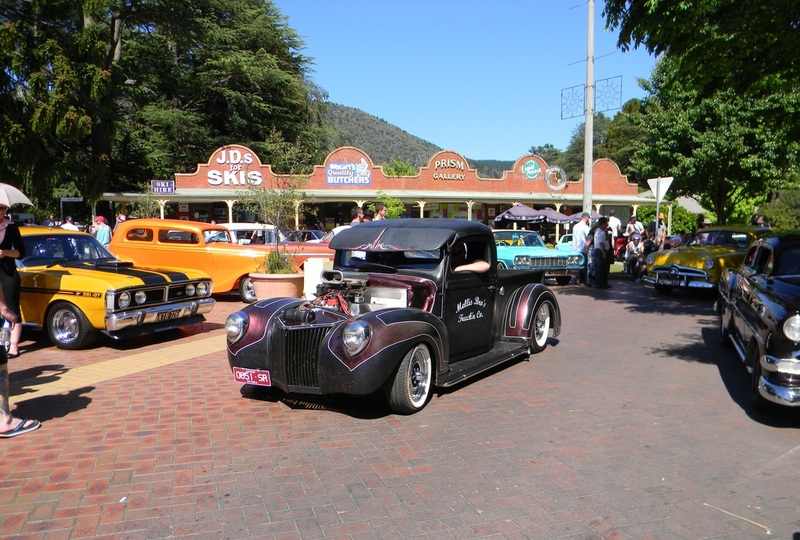 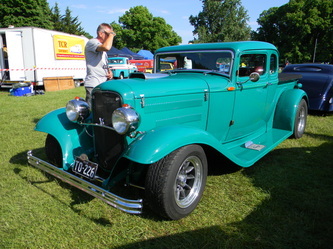 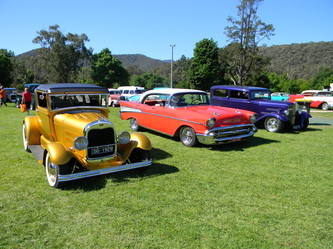 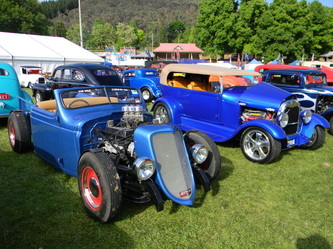 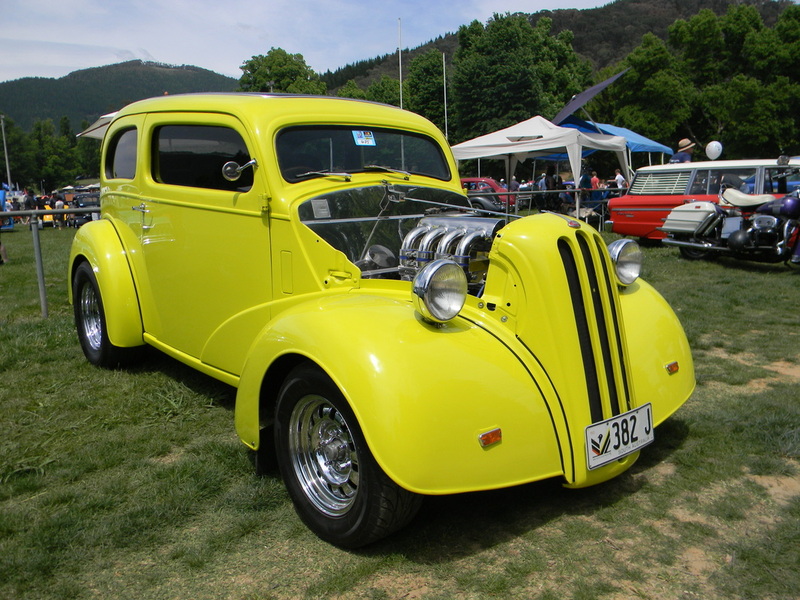 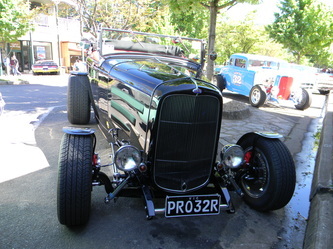 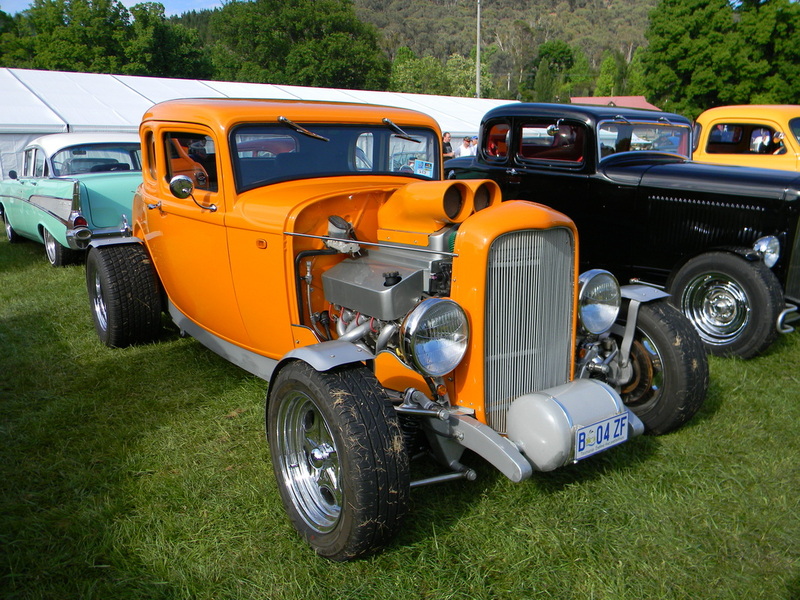 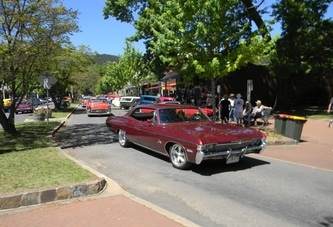 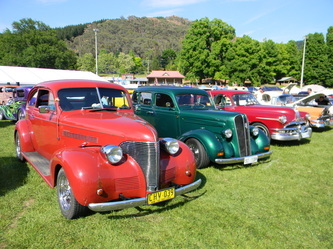 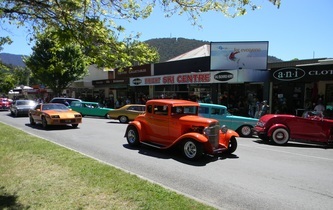 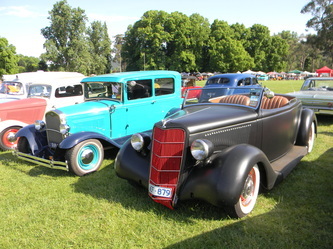 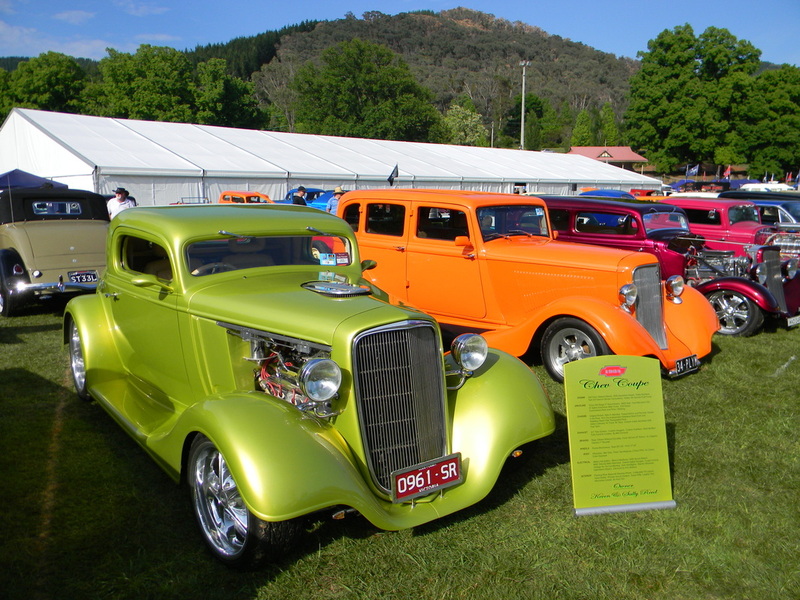 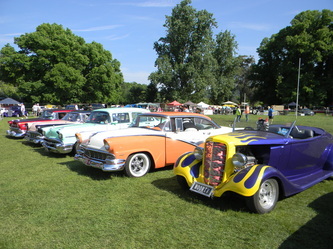 Bright is alive with rods and classic vehicles and while around 800 enter the event a similar number of rods just turn up to be in the town at the same time. 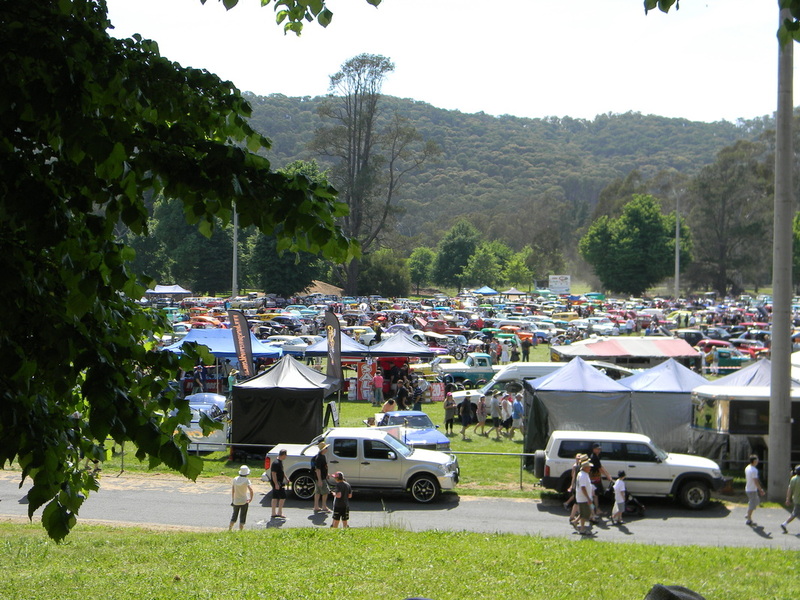 Then there are those that do not have a vehicle on the road at present who come to enjoy the atmosphere increasing the crowds to around 15,000. 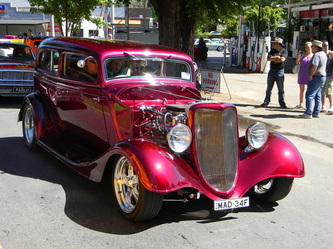 You can, and many do, just sit on the side of the road and watch rods pass by all day and into the night. 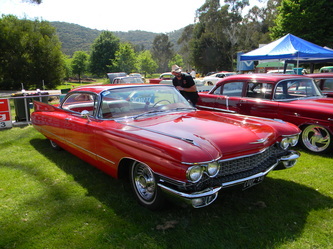 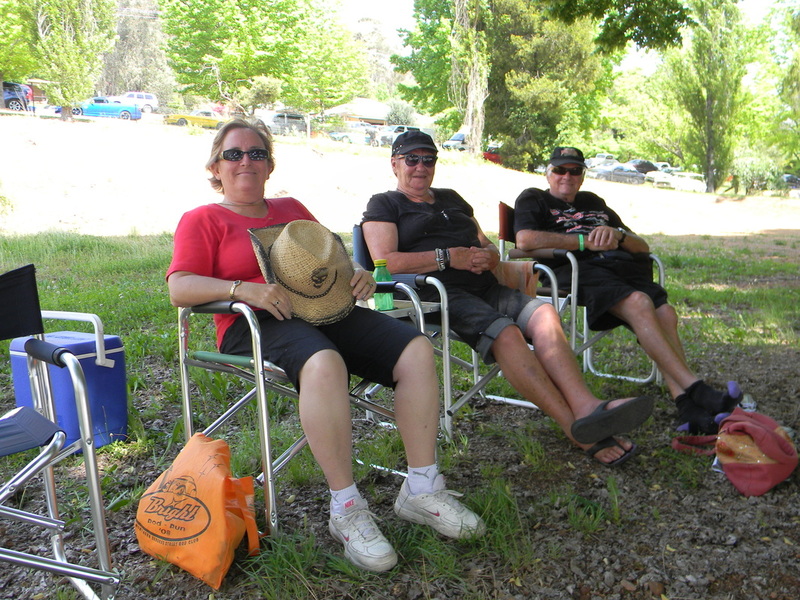 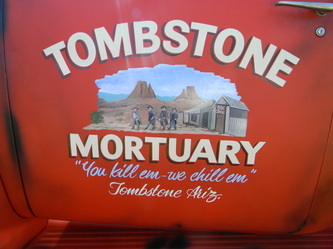 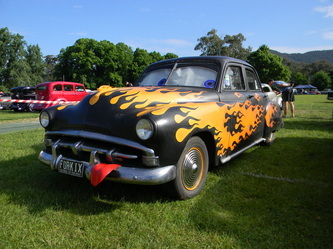 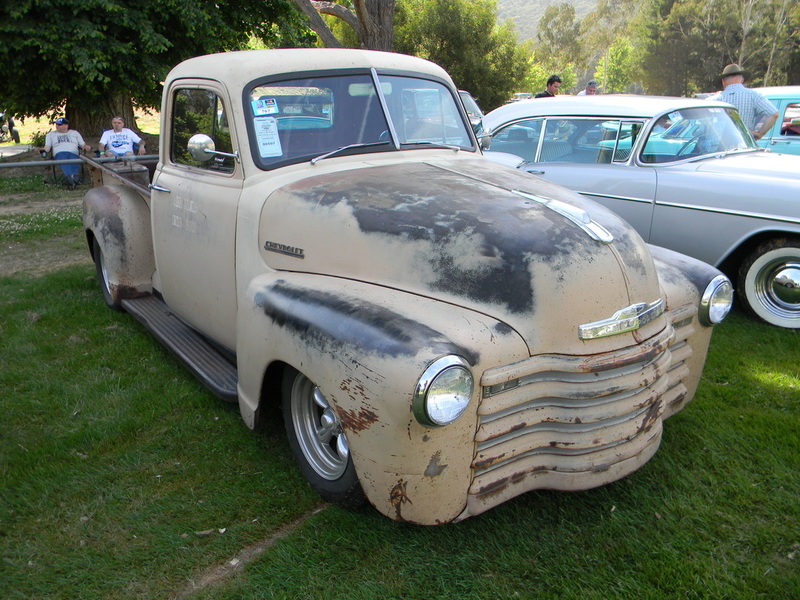 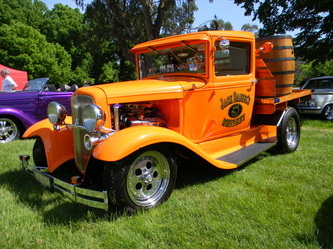 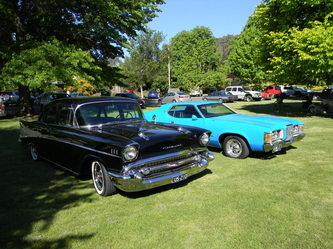 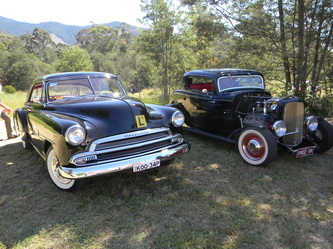 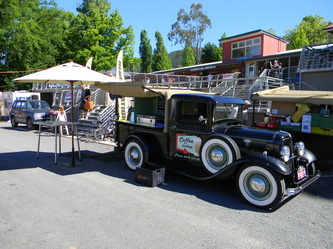 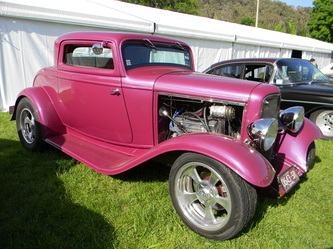 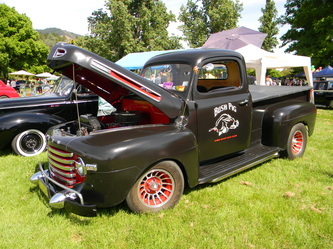 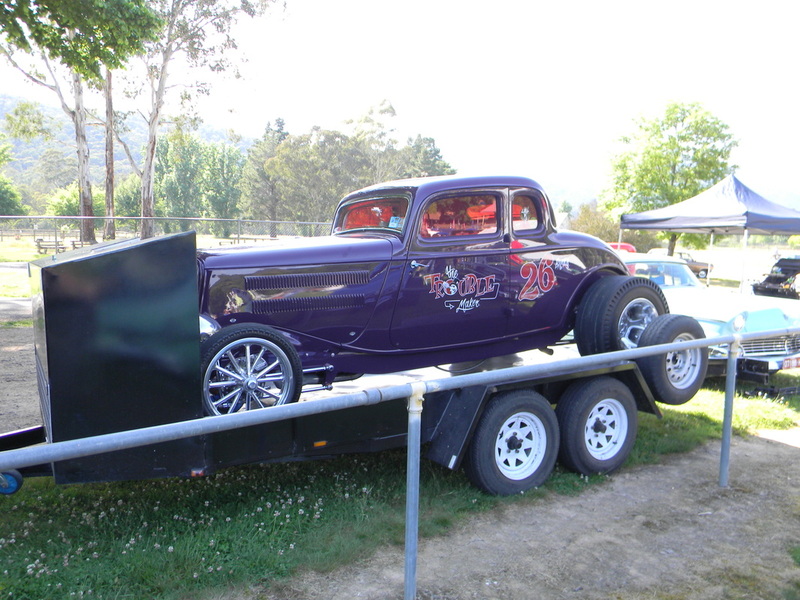 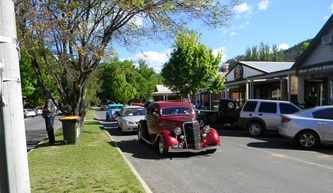 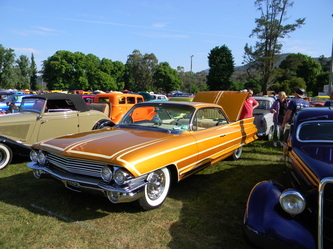 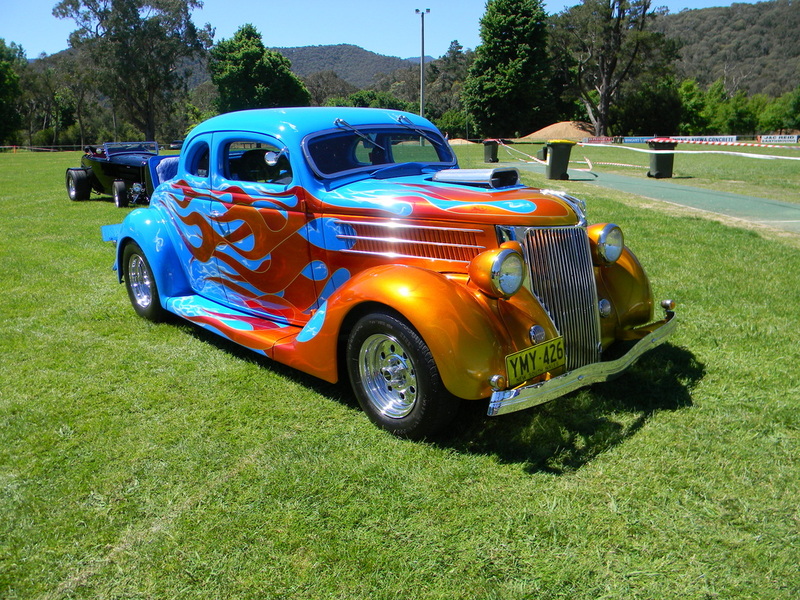 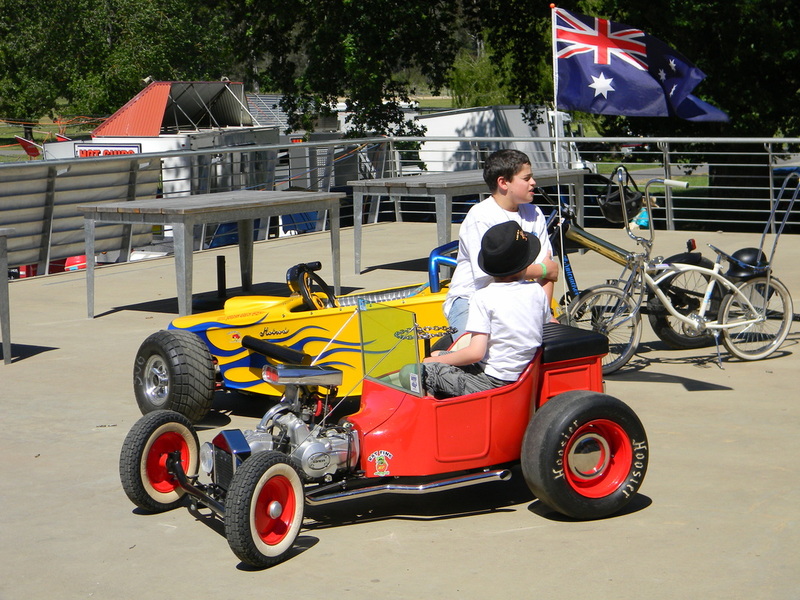 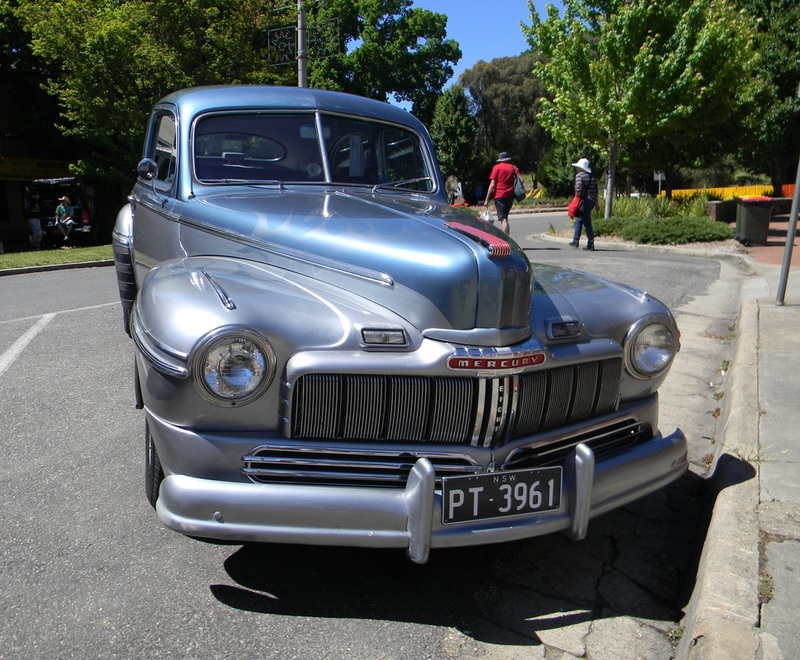 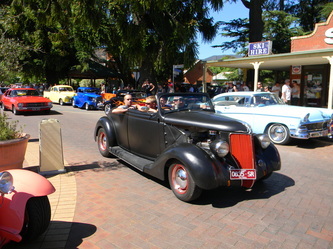 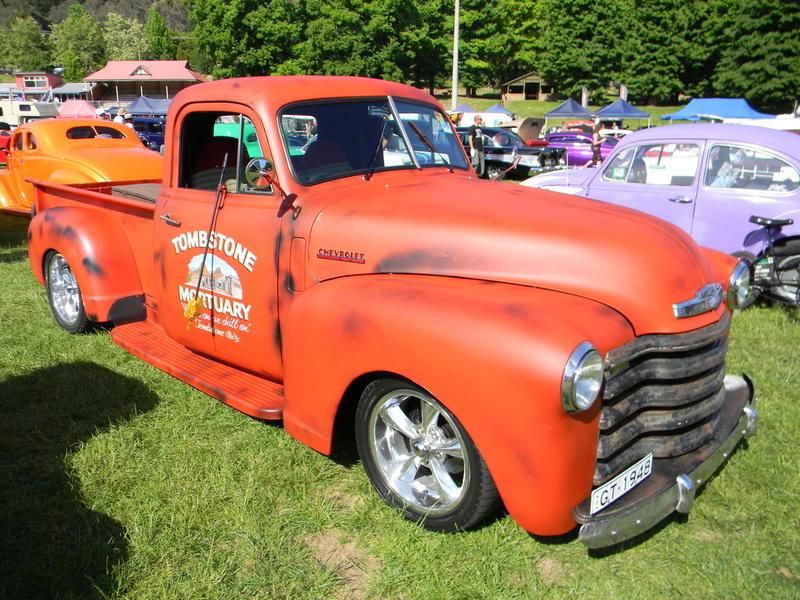 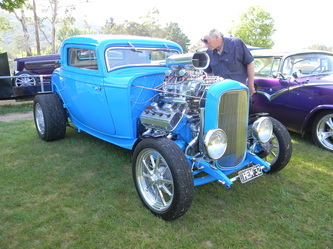 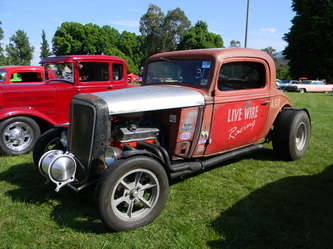 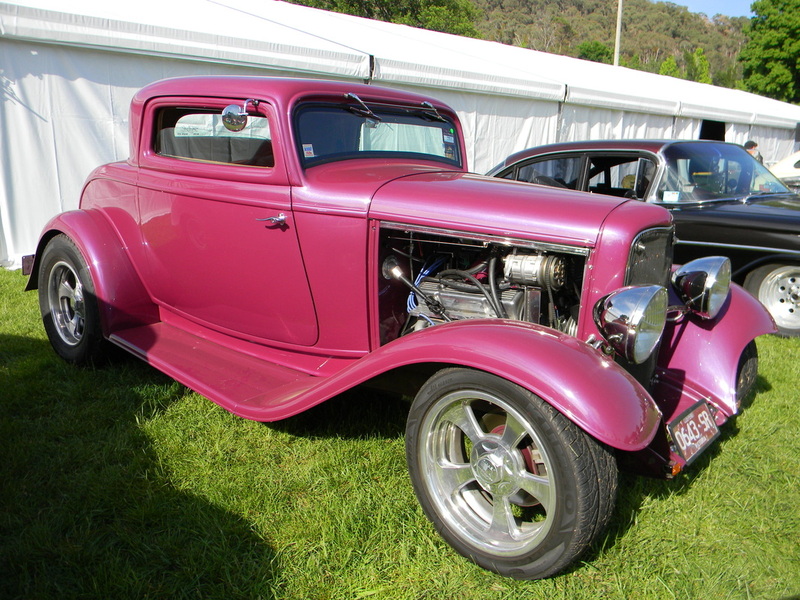 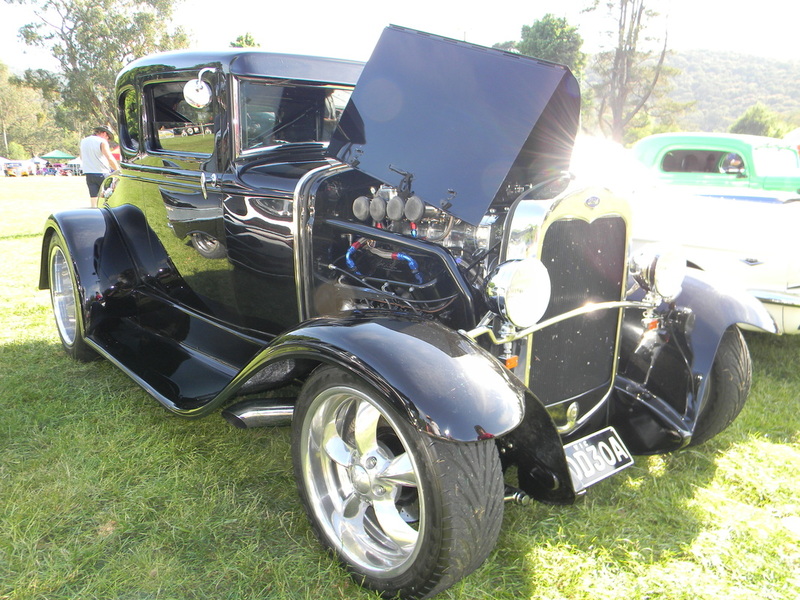 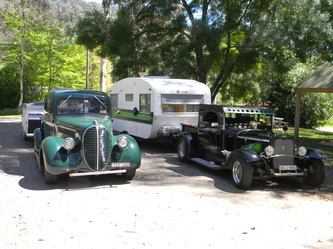 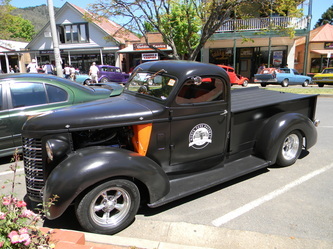 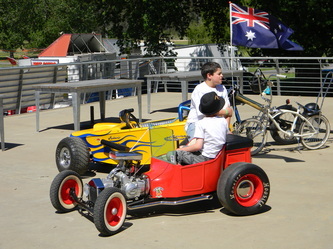 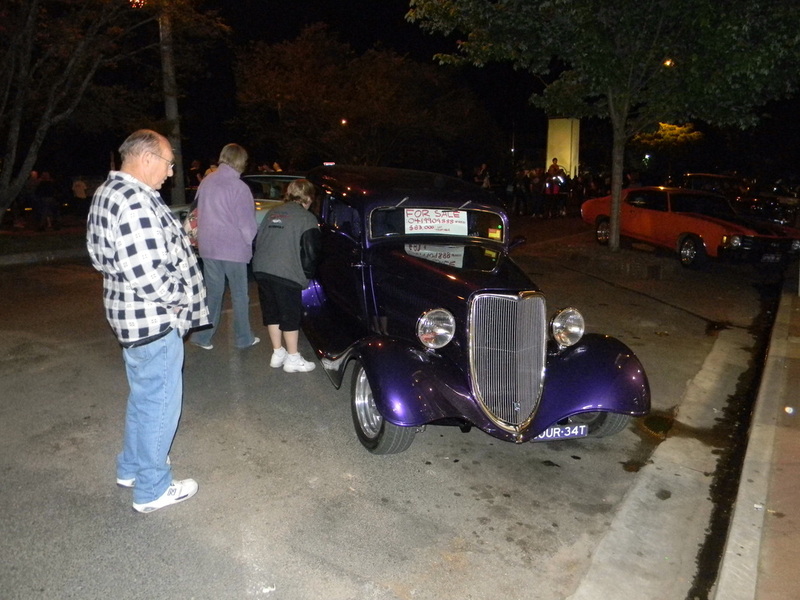 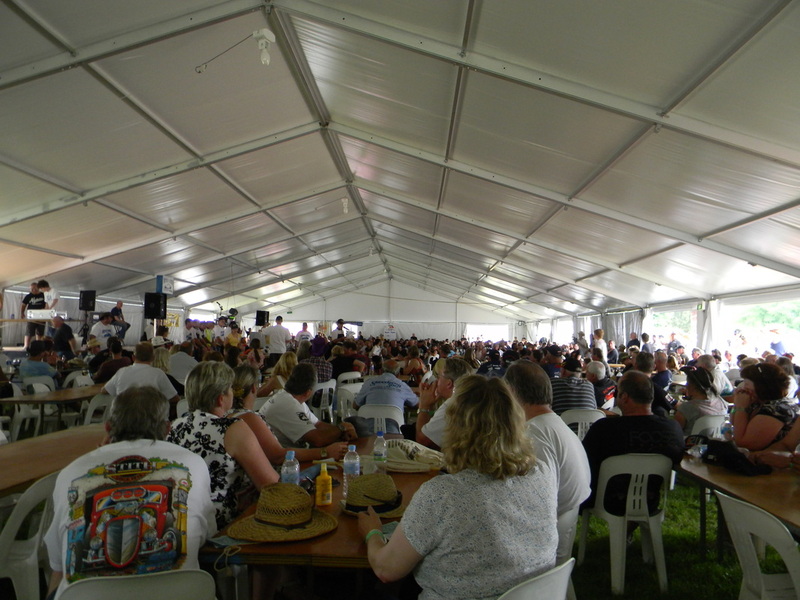 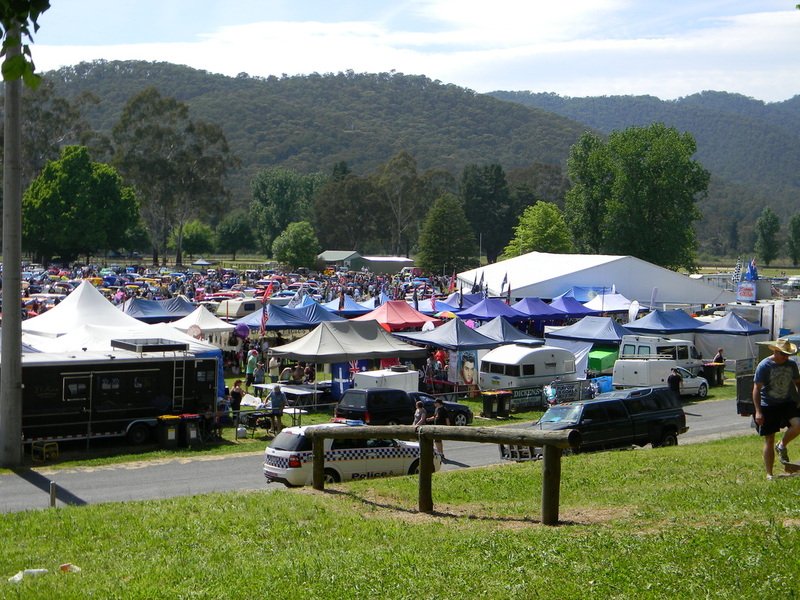 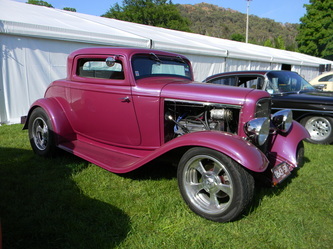 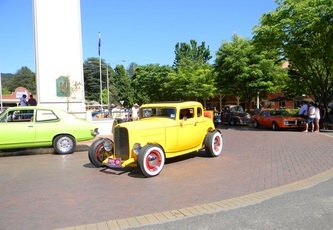 Those registered in the gold catagory enjoyed a BBQ on Friday night after registration and a spit roast Saturday night with Breakfast on Sunday morning while all entrants had the opportunity to do a poker run or winnery run on the Saturday. The poker run was 105 kms and took in some wonderful scenery along the way. 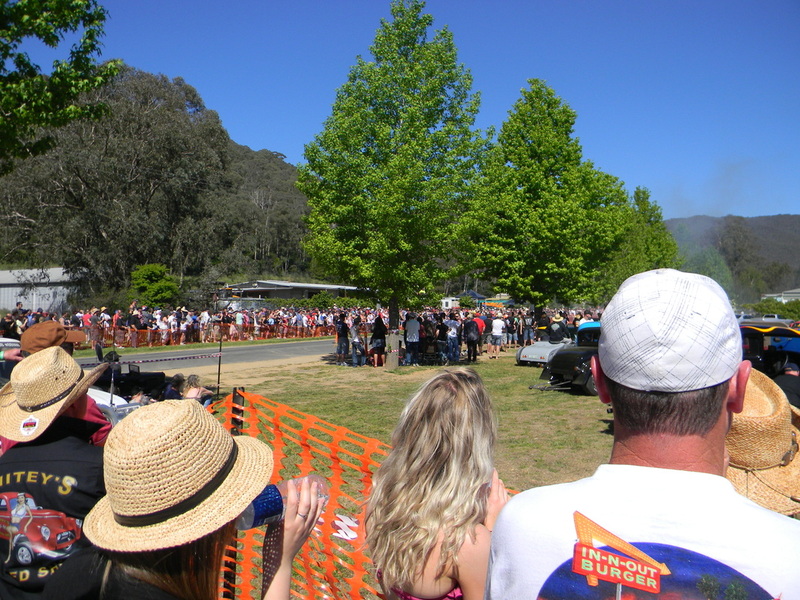 The go to whoa on Saturday afternoon was packed with spectators and it was hard to get a look at the action. 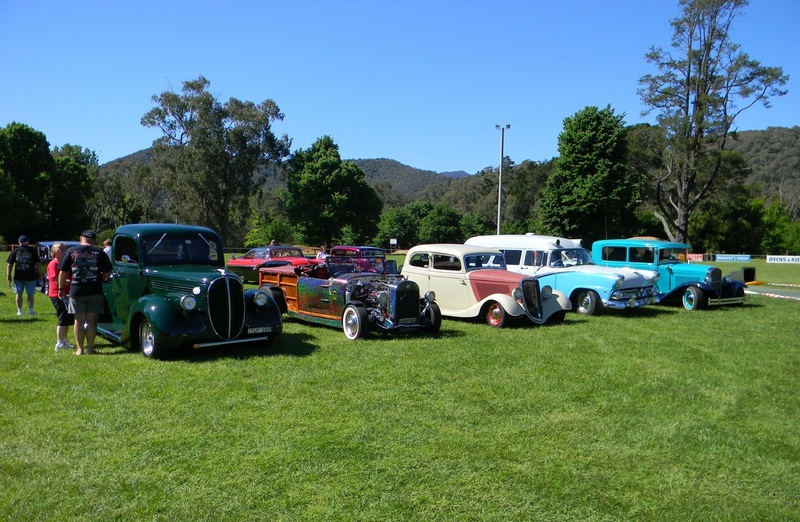 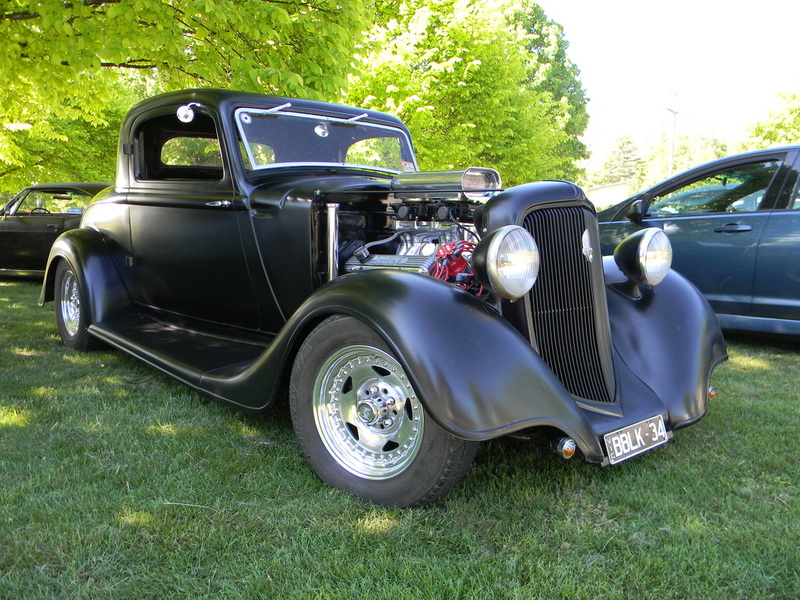 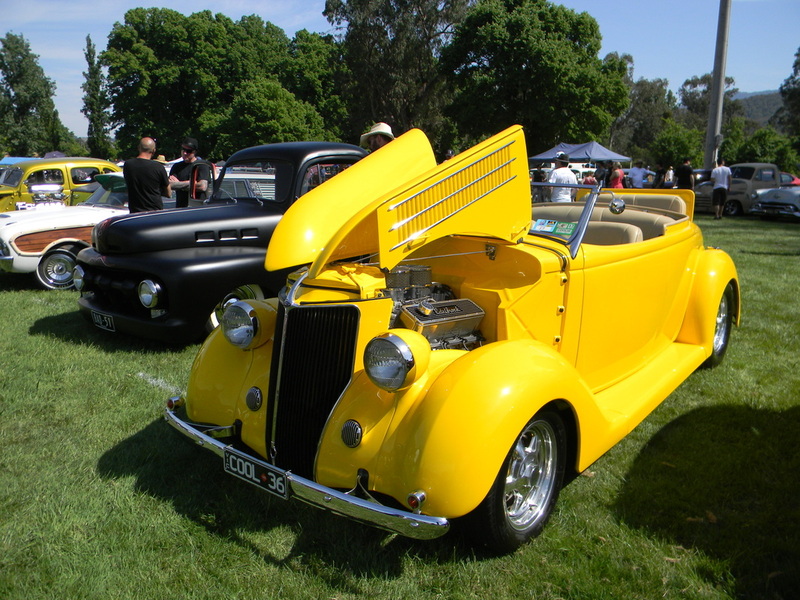 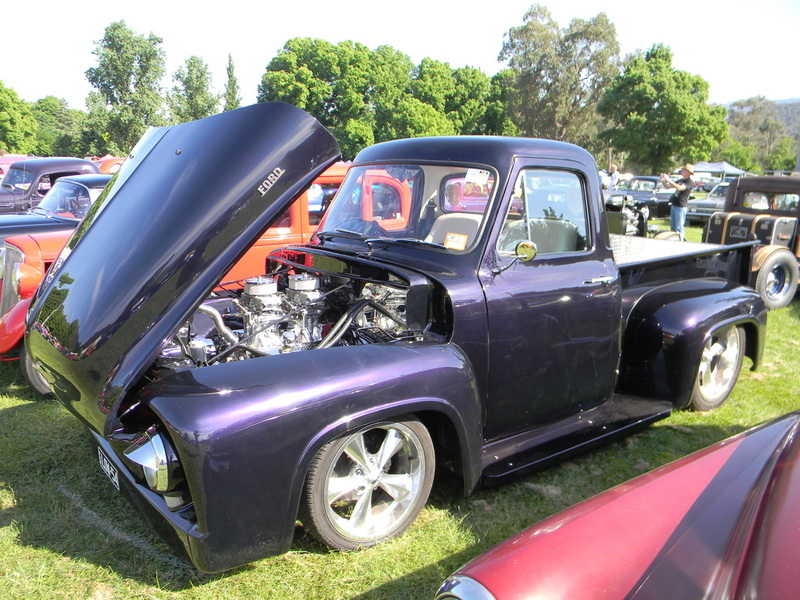 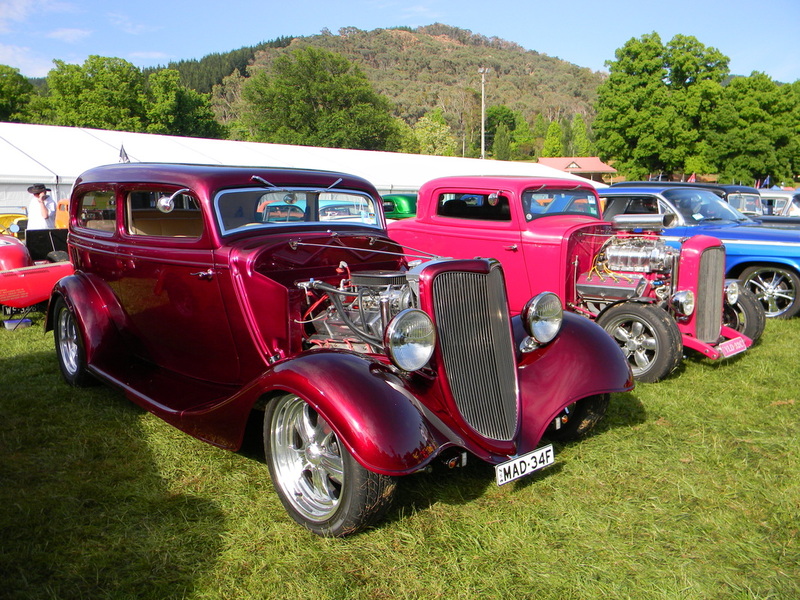 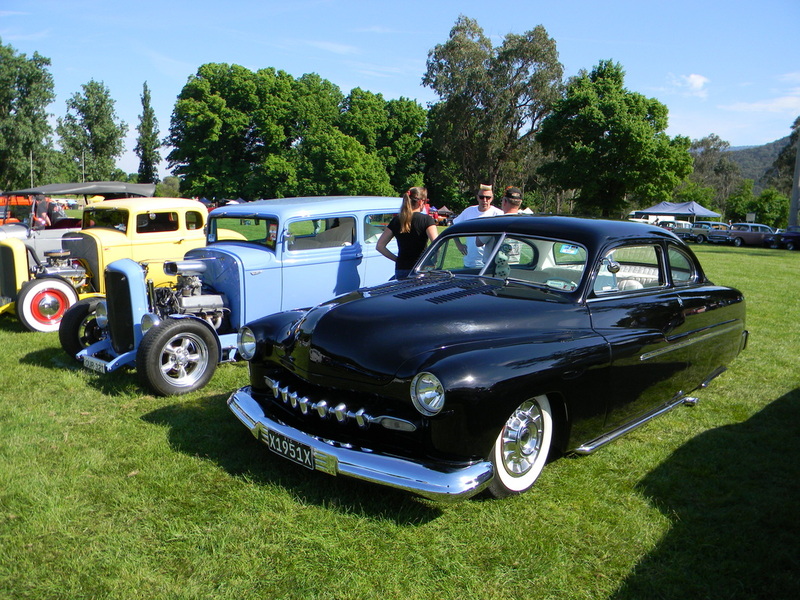 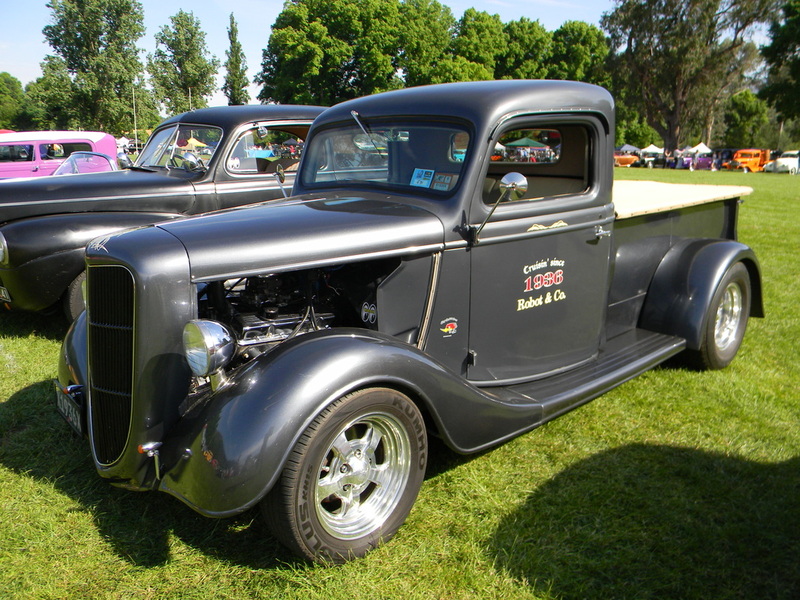 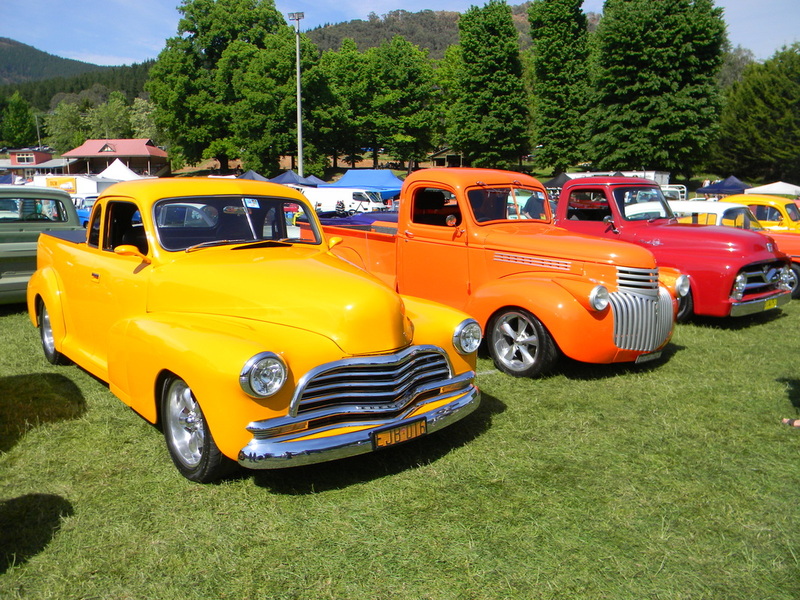 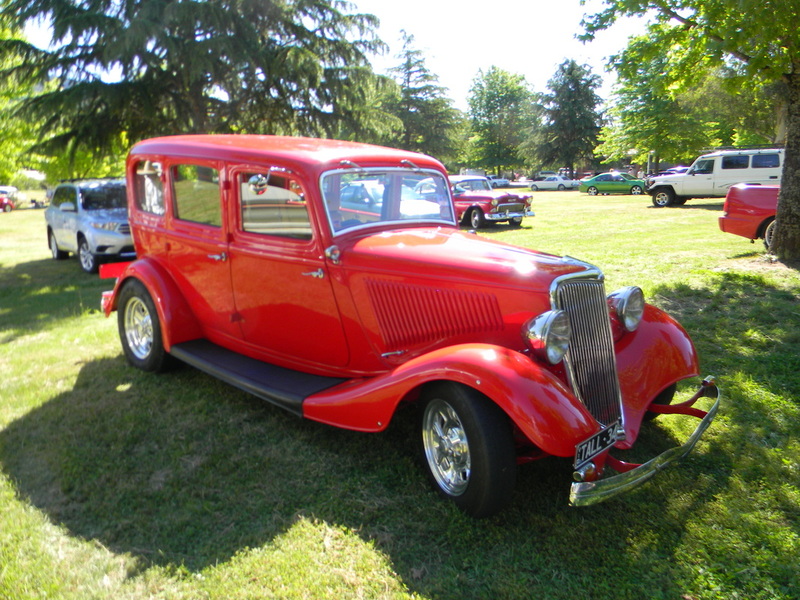 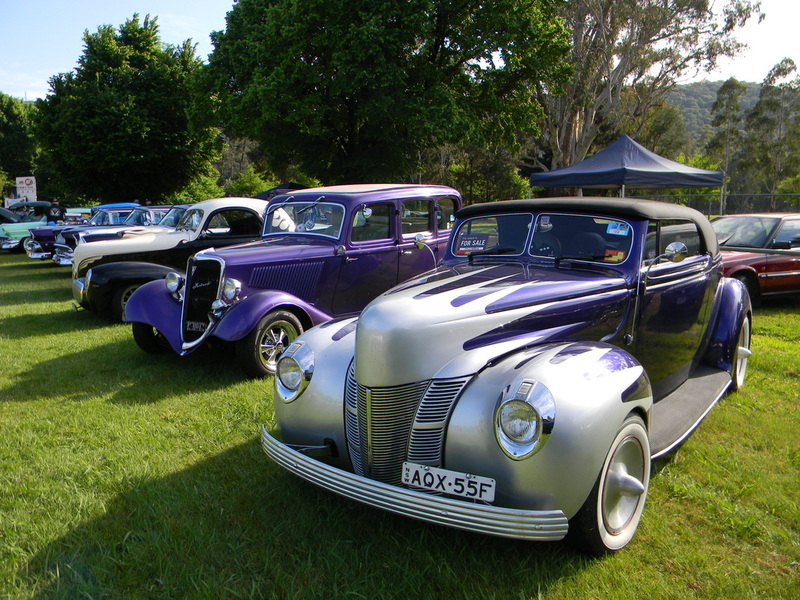 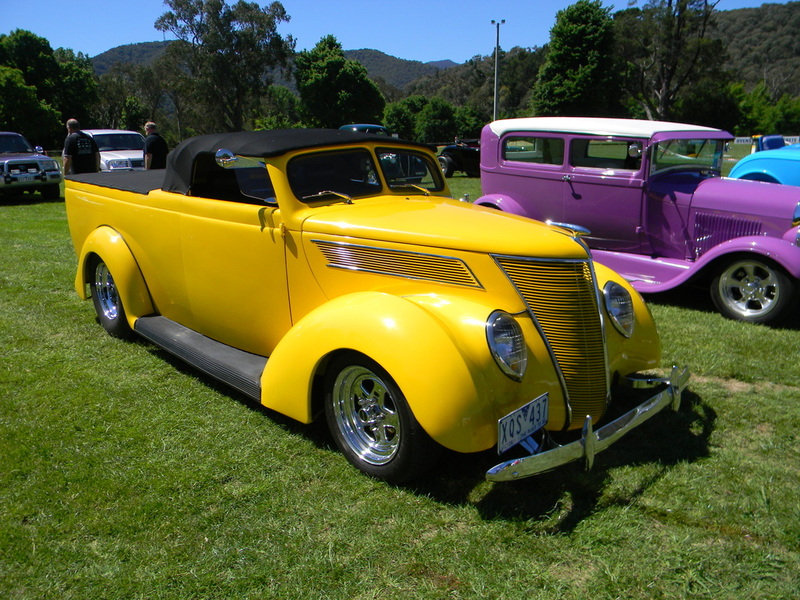 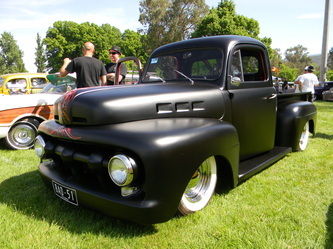 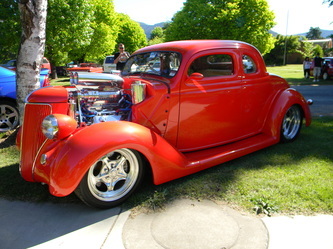 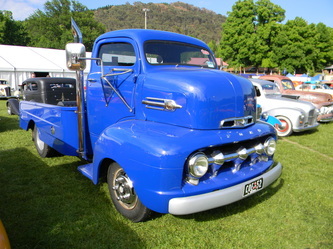 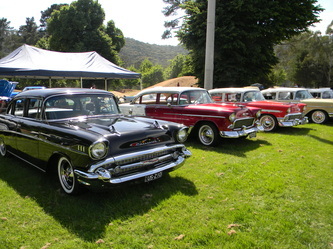 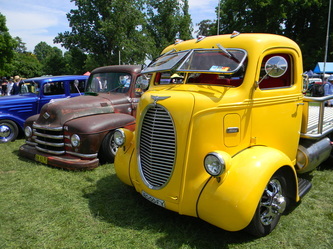 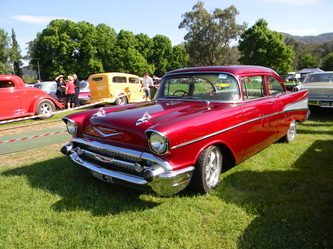 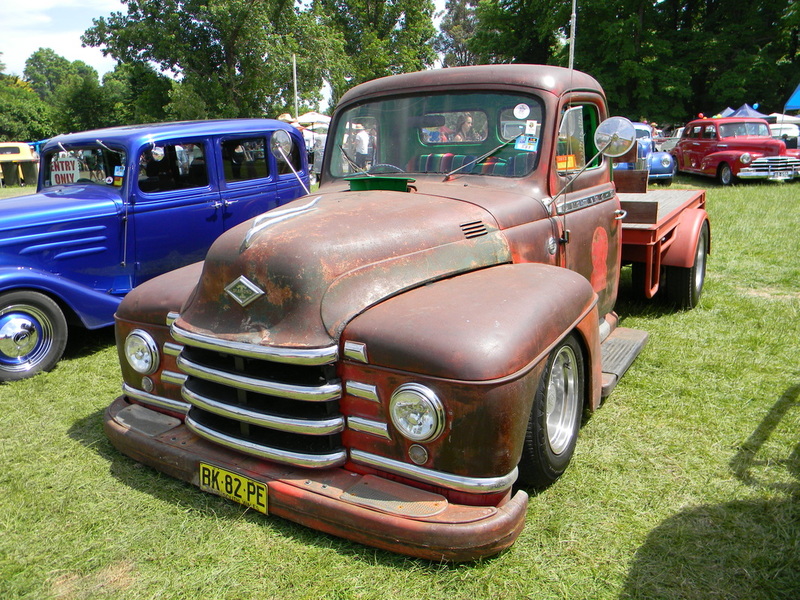 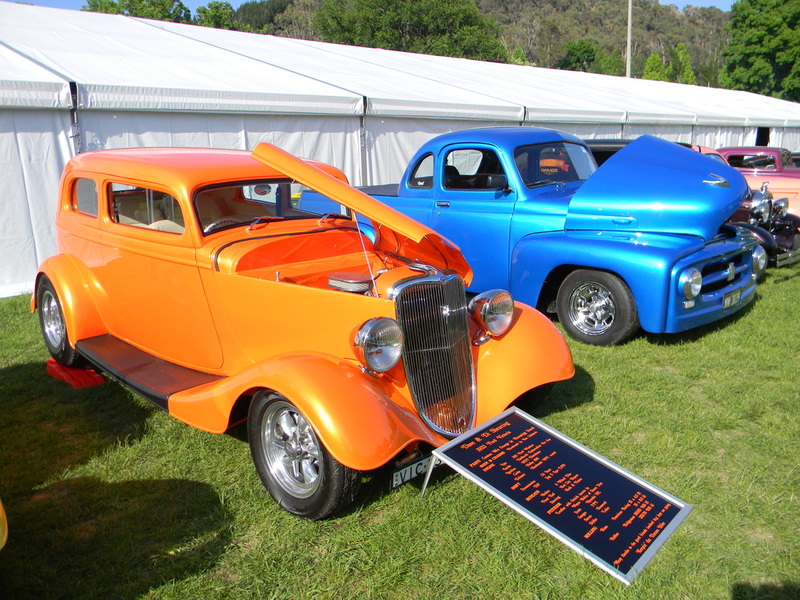 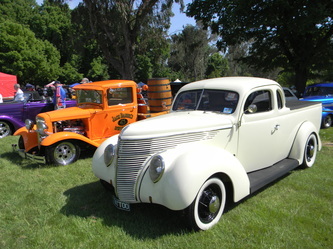 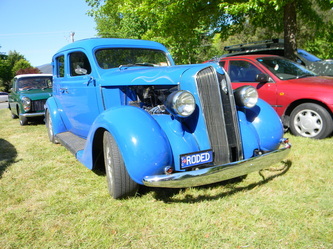 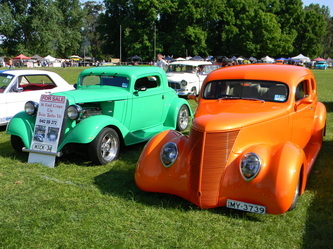 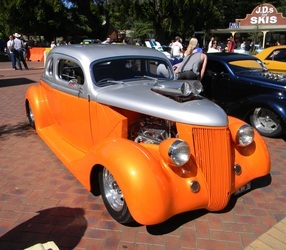 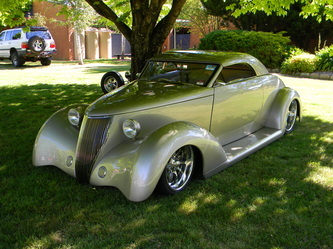 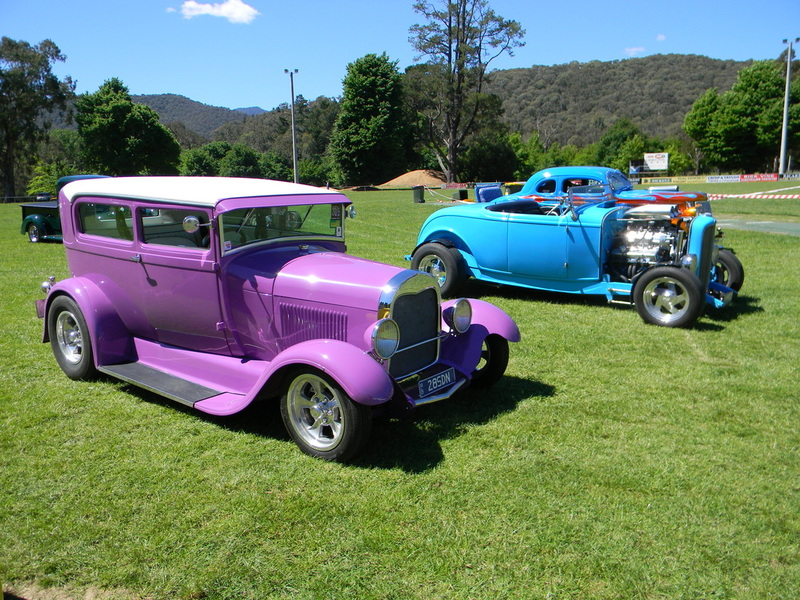 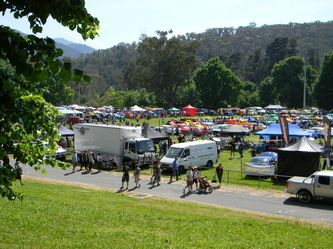 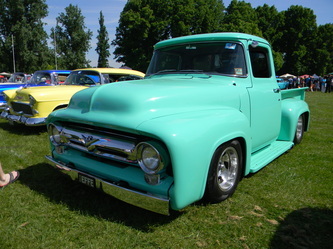 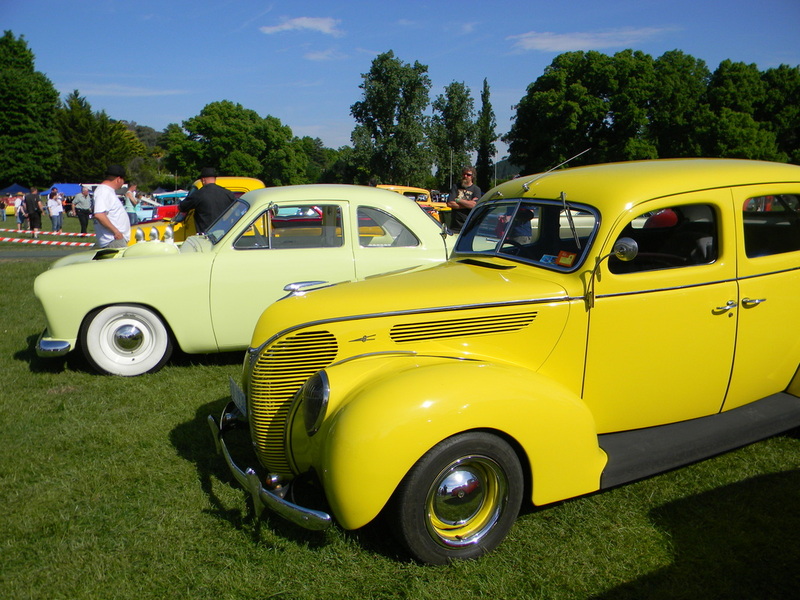 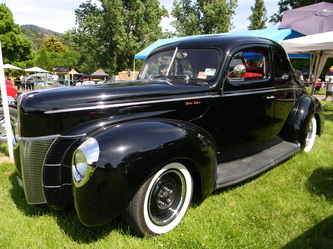 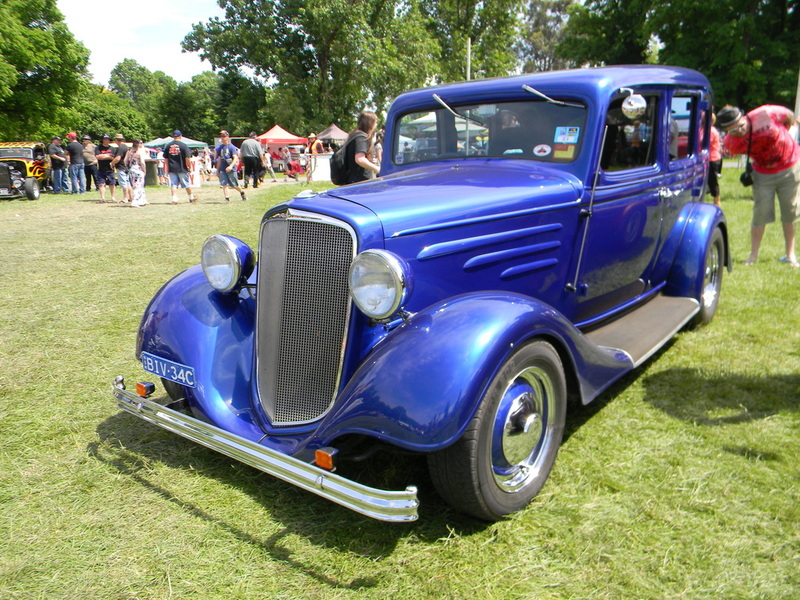 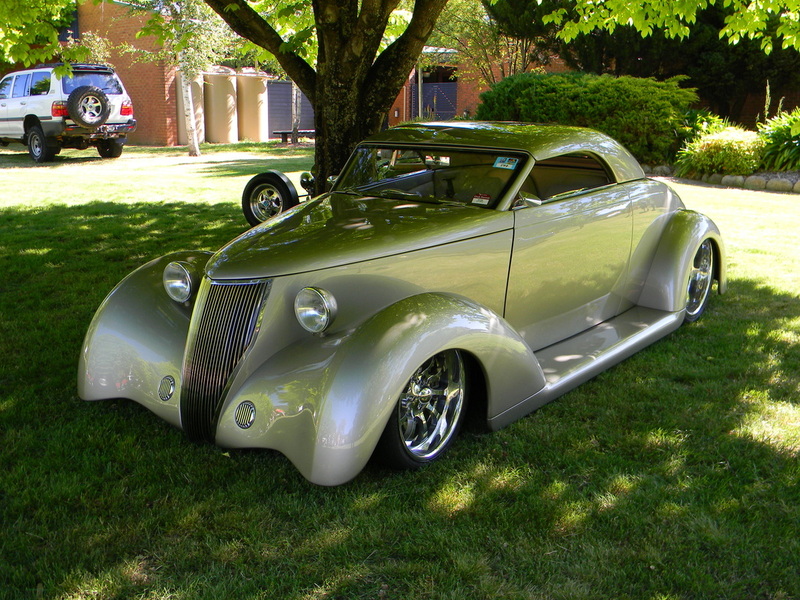 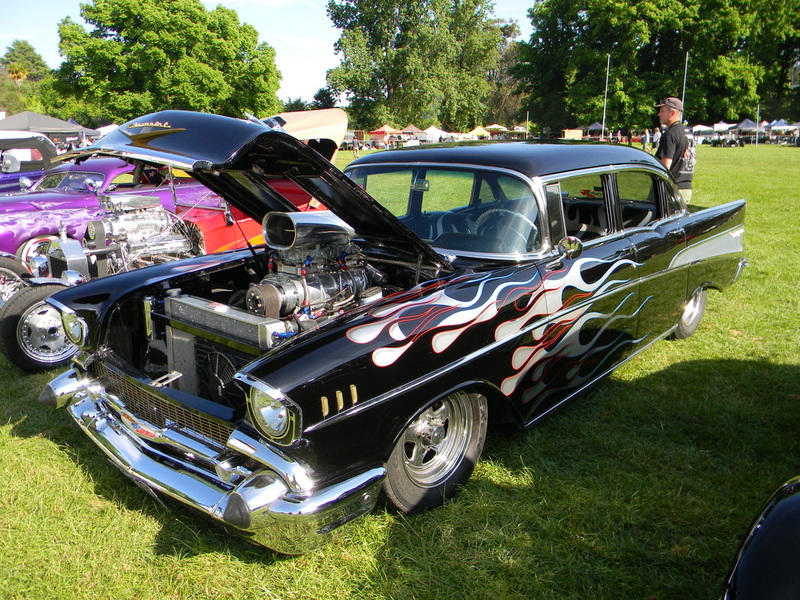 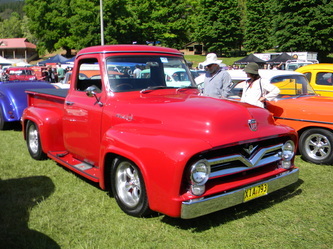 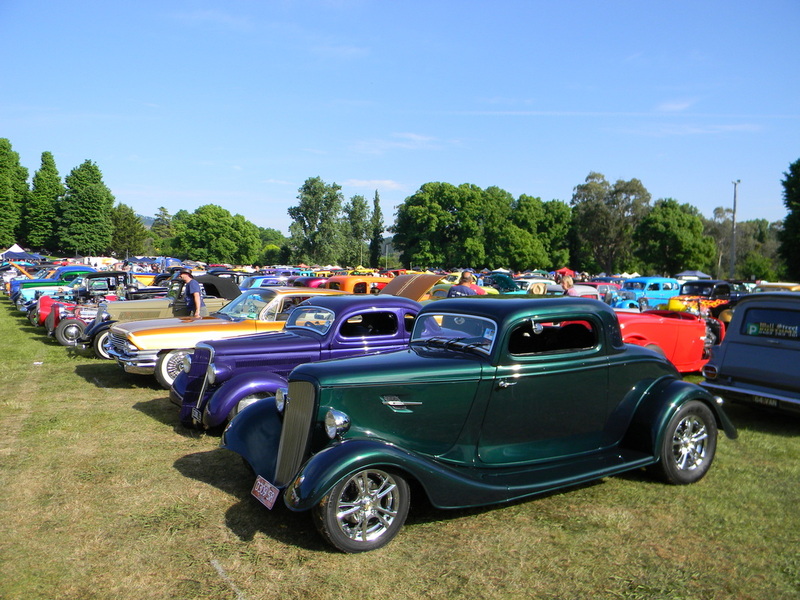 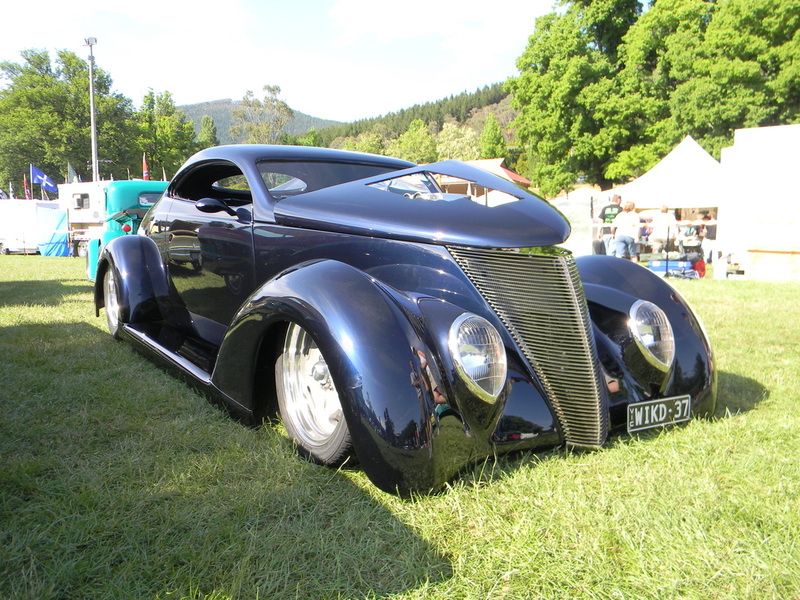 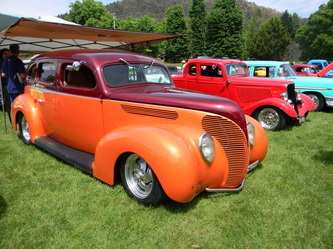 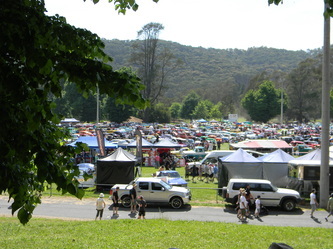 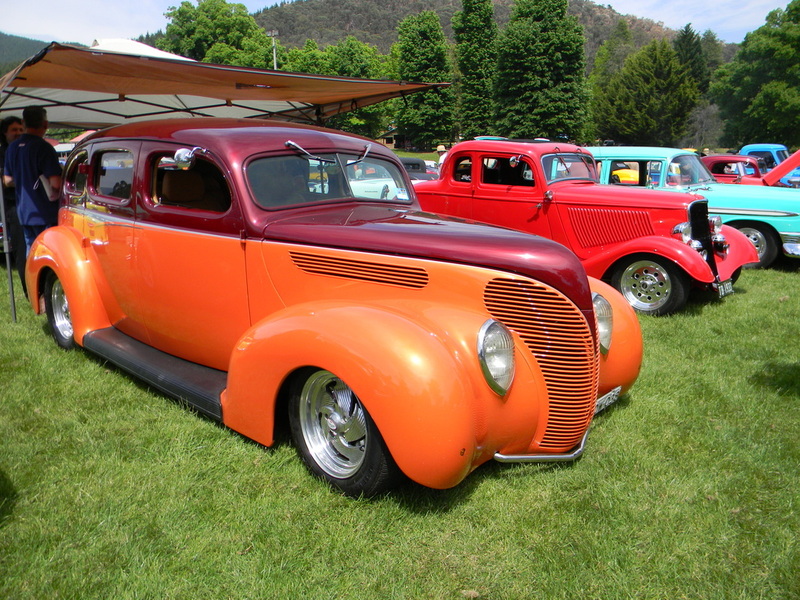 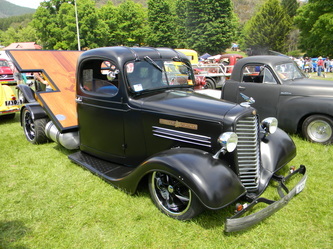 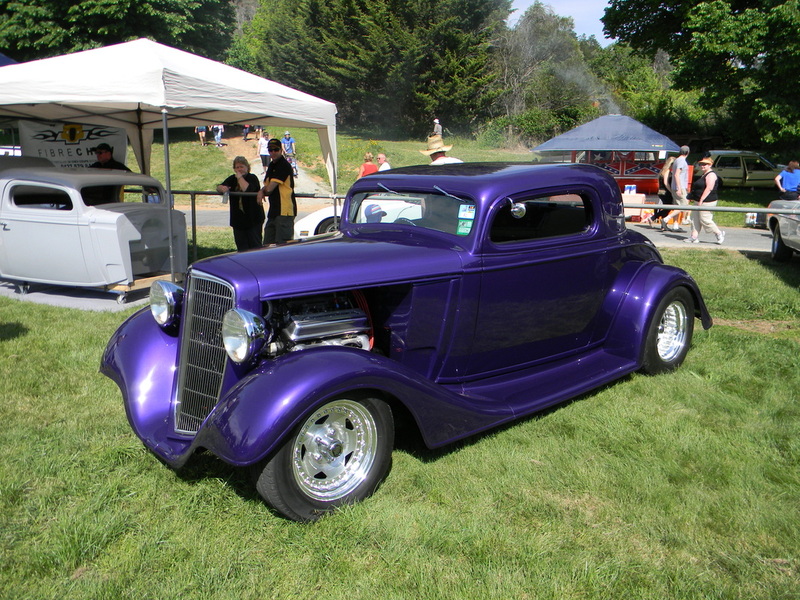 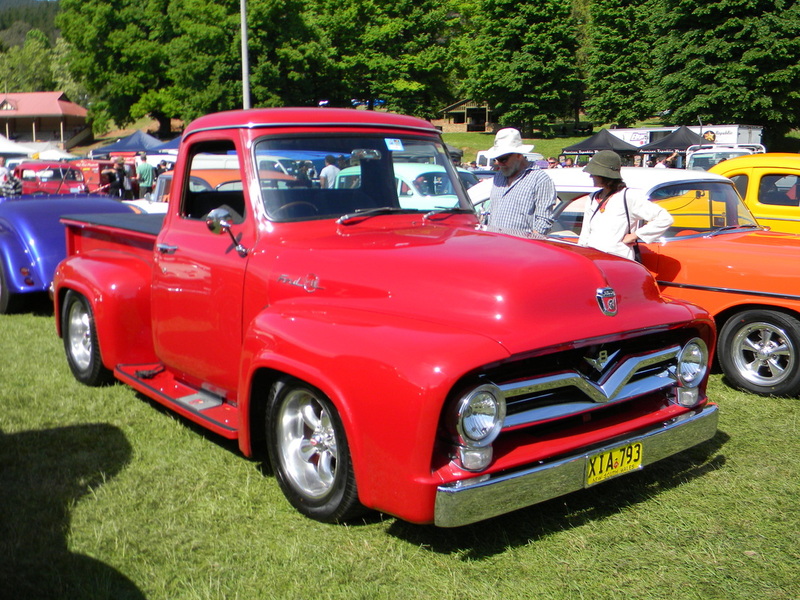 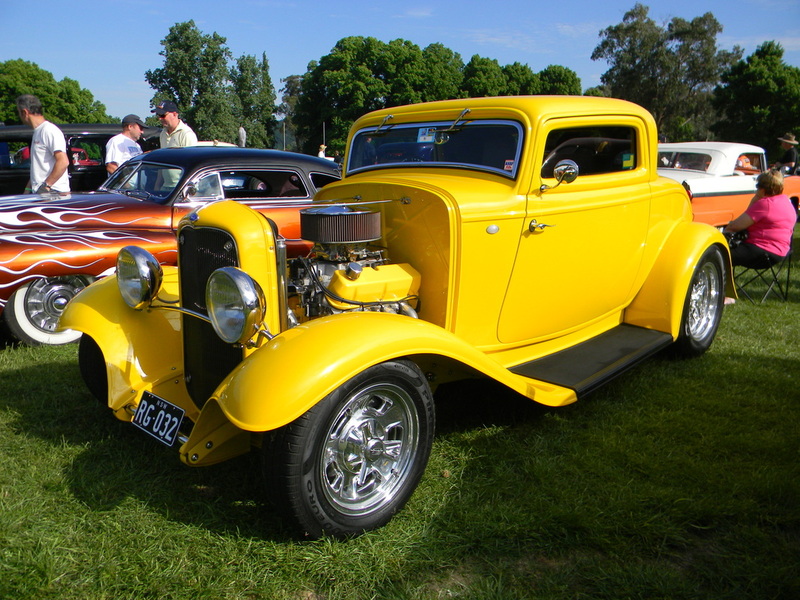 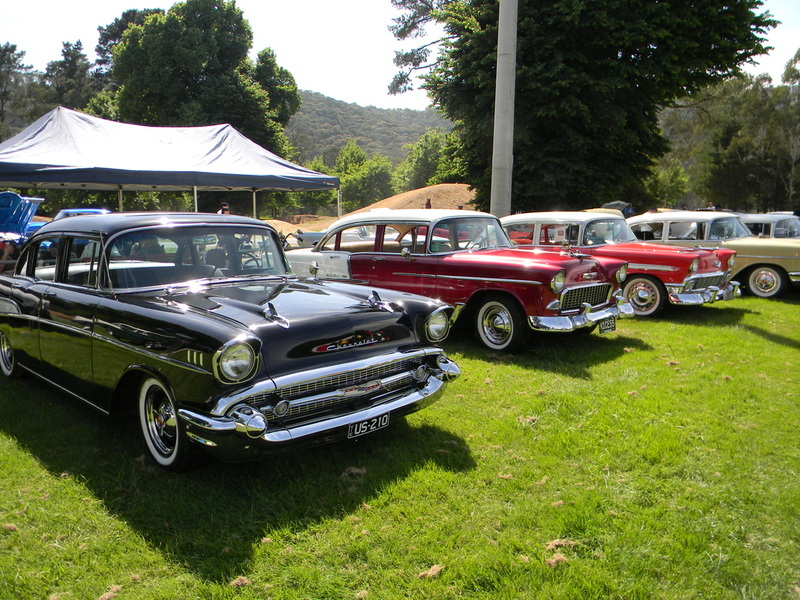 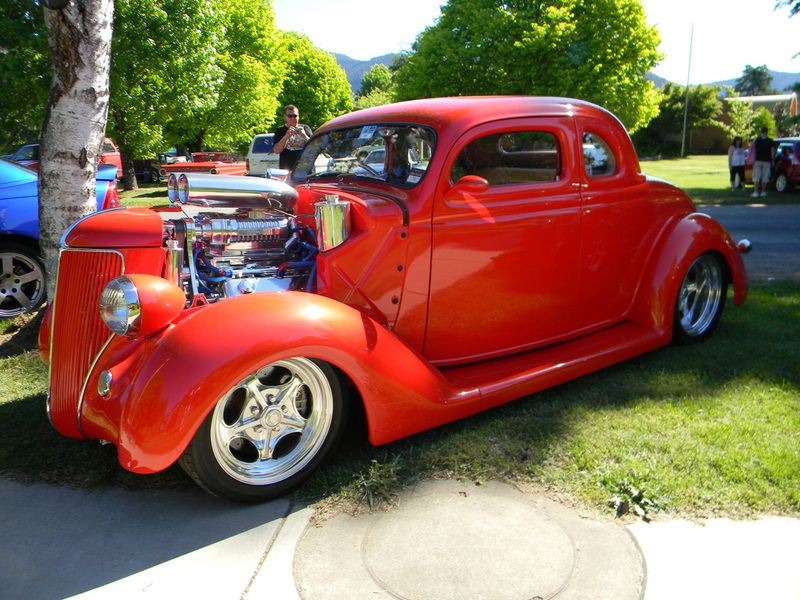 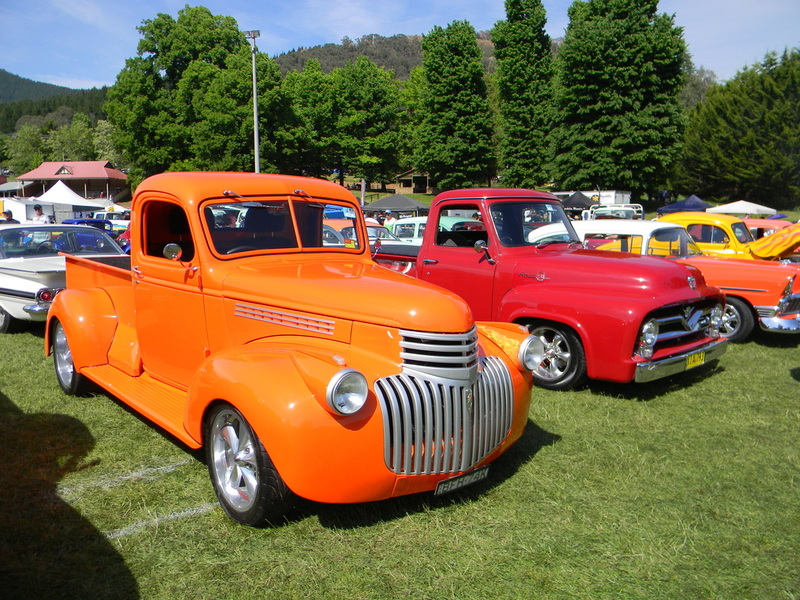 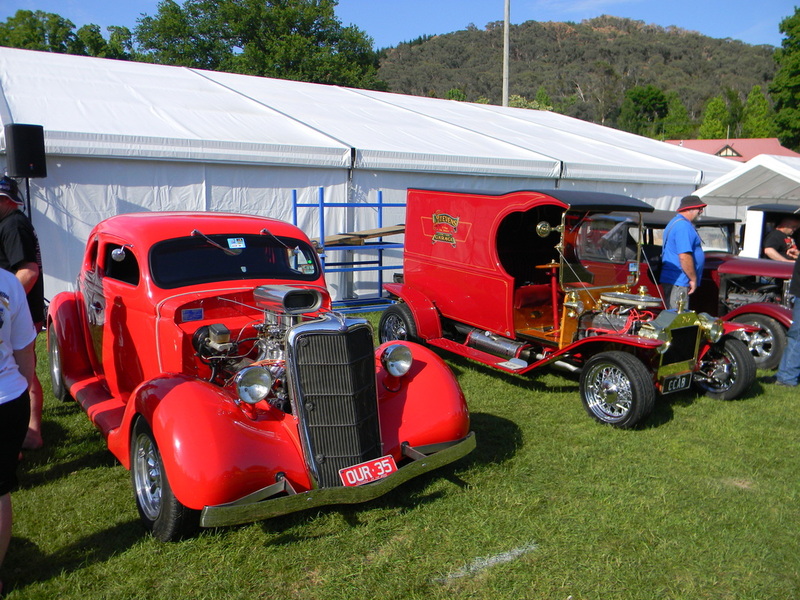 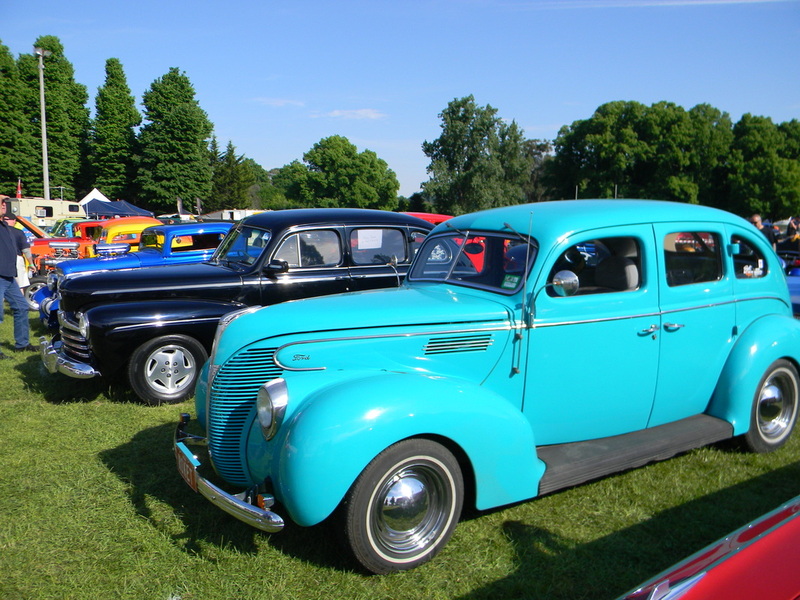 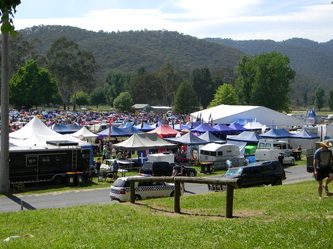 On Sunday the Show and Shine had the oval full of rods and along with the trade stands and markets everyone who attended was kept occupied. For those of us who were tiring a cool spot was found under the trees with a view of everything that was happening.